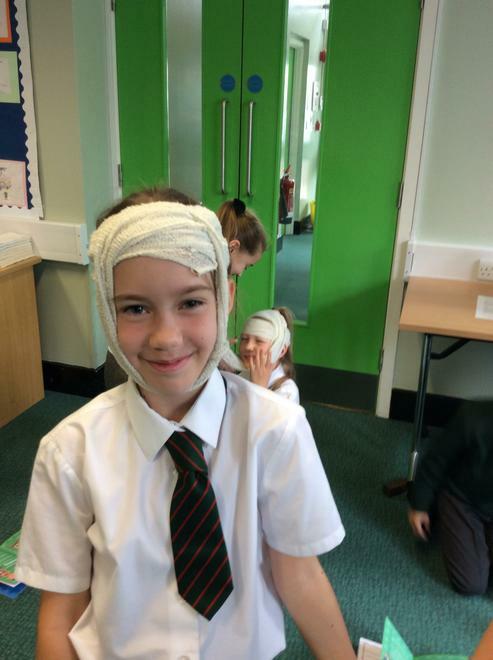 Welcome to Palm's Class Page! 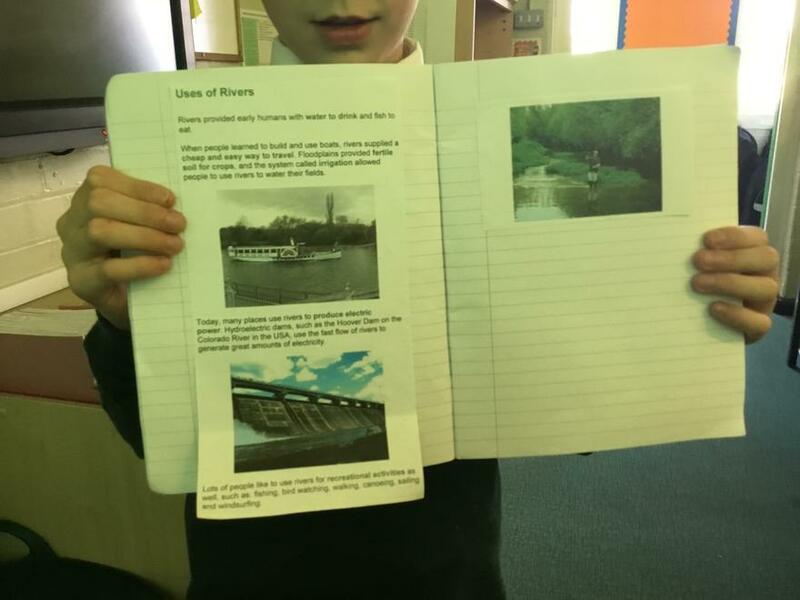 Over the year, I will be filling this page with exciting class news, pictures of things we’ve done and more. 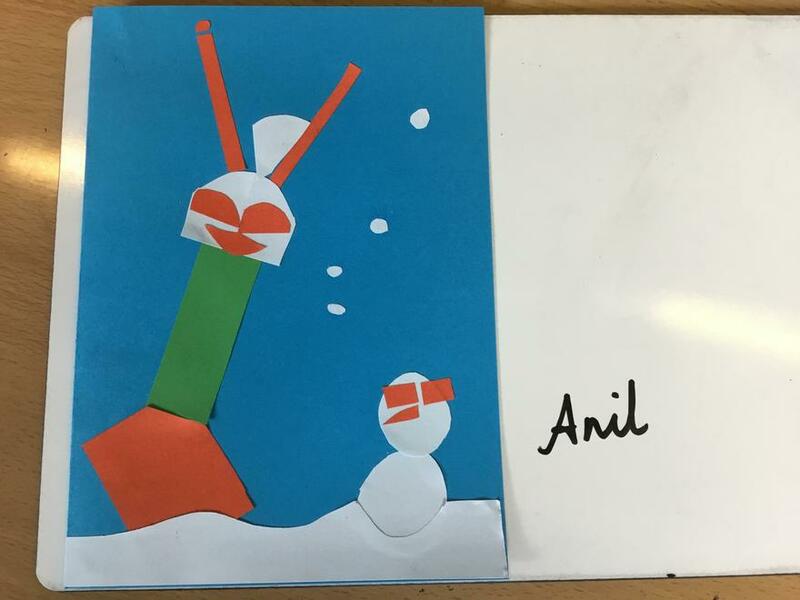 Looking forward to an excellent year. 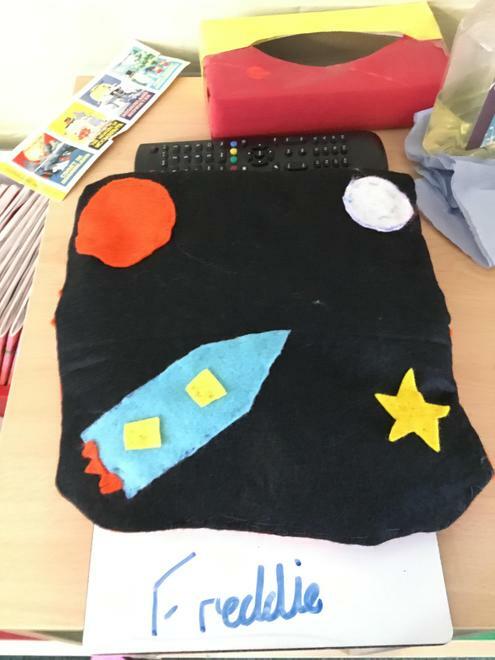 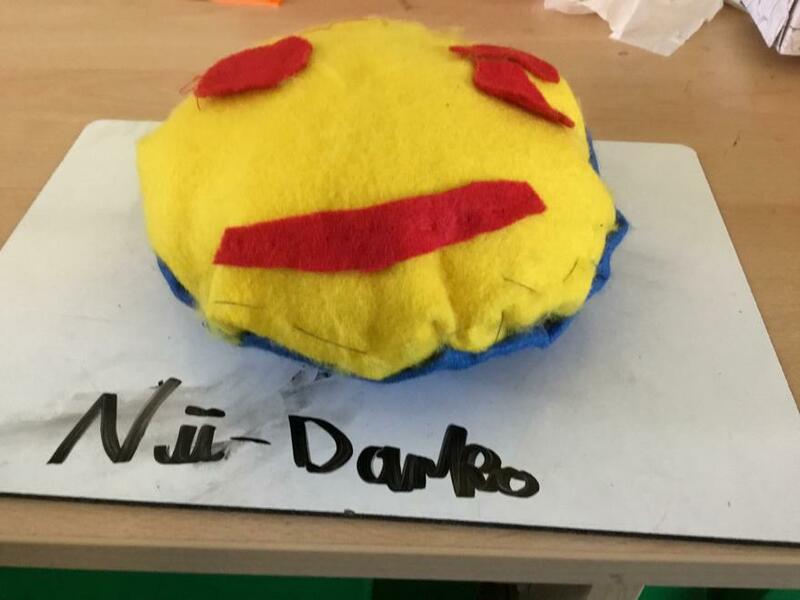 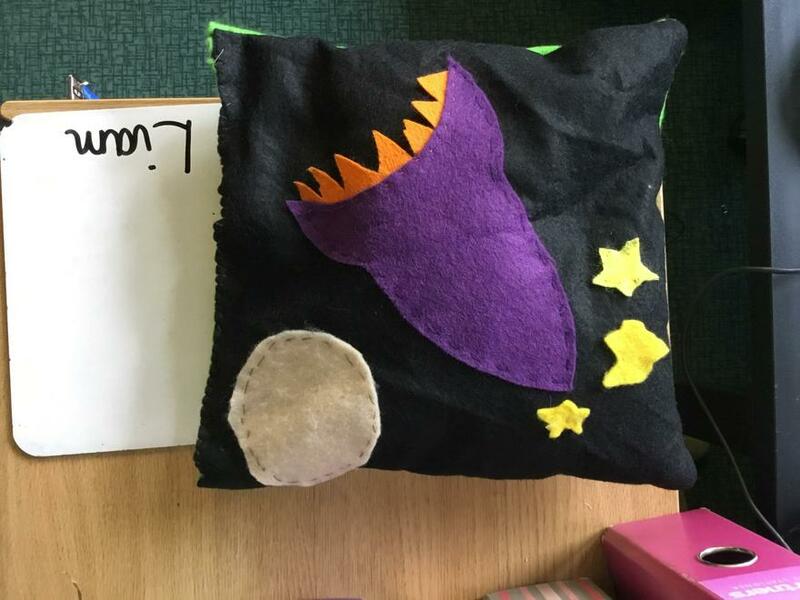 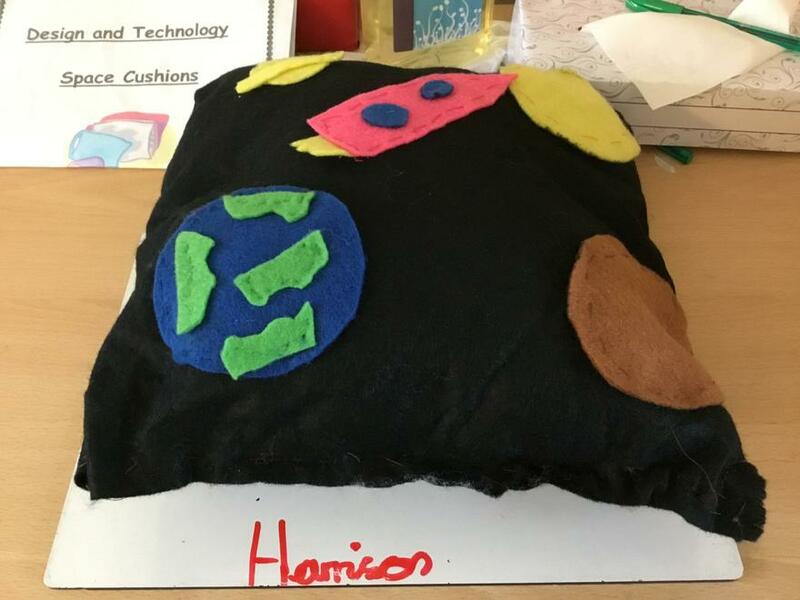 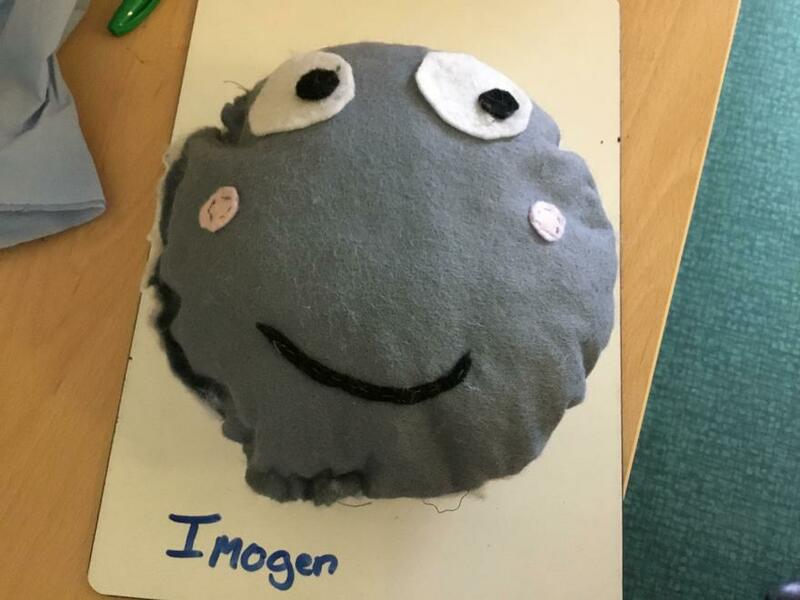 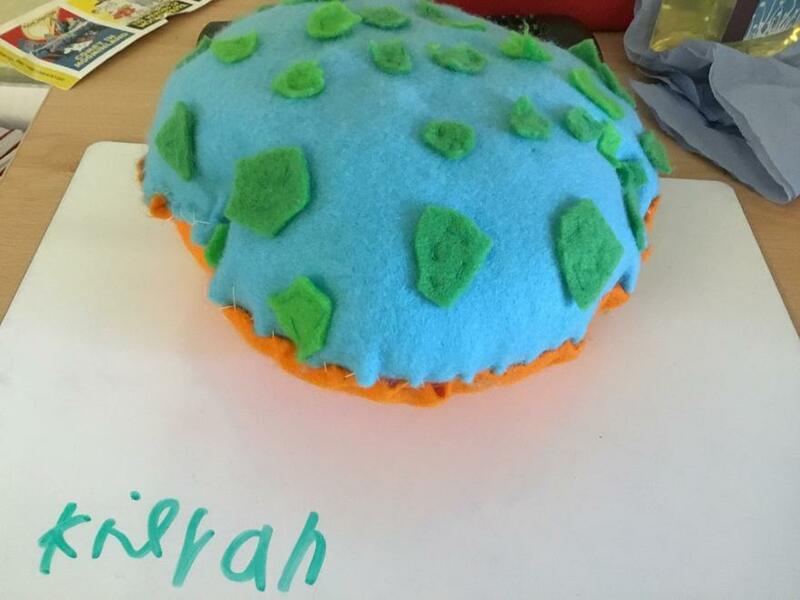 The children have worked incredibly hard over the last half term to create these fantastic space themed cushions. 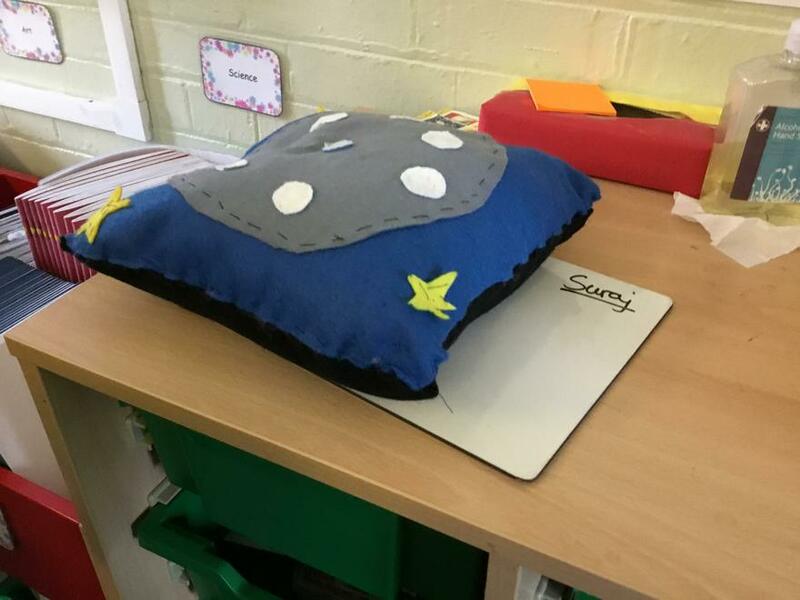 They were all given a design specification to meet, planned and designed their own cushions and (mostly) did the sewing all by themselves! 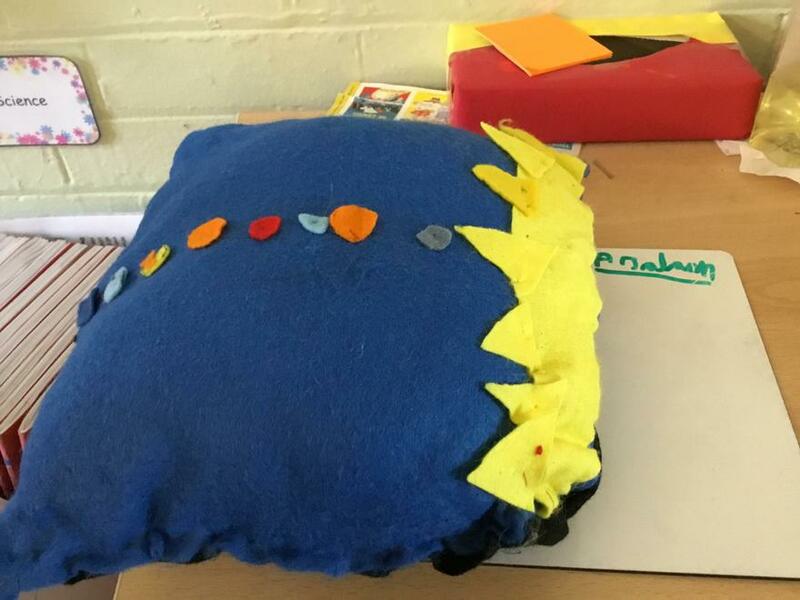 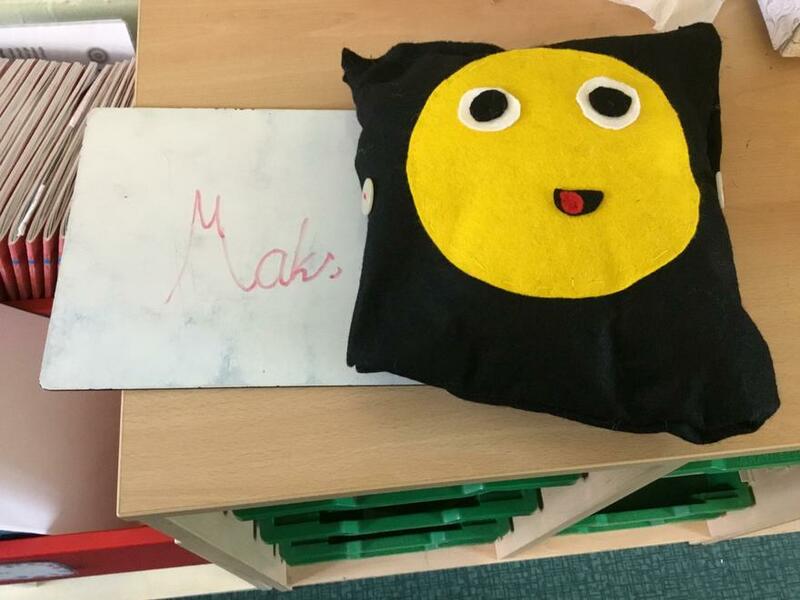 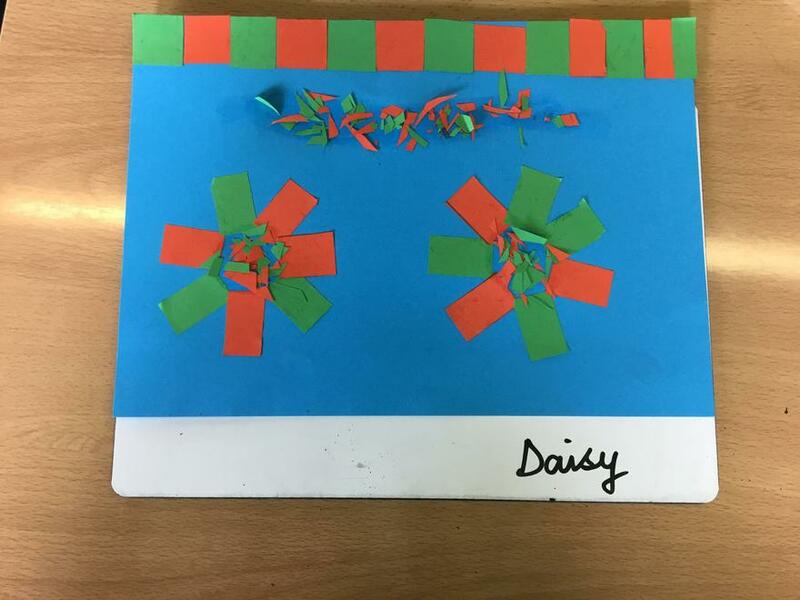 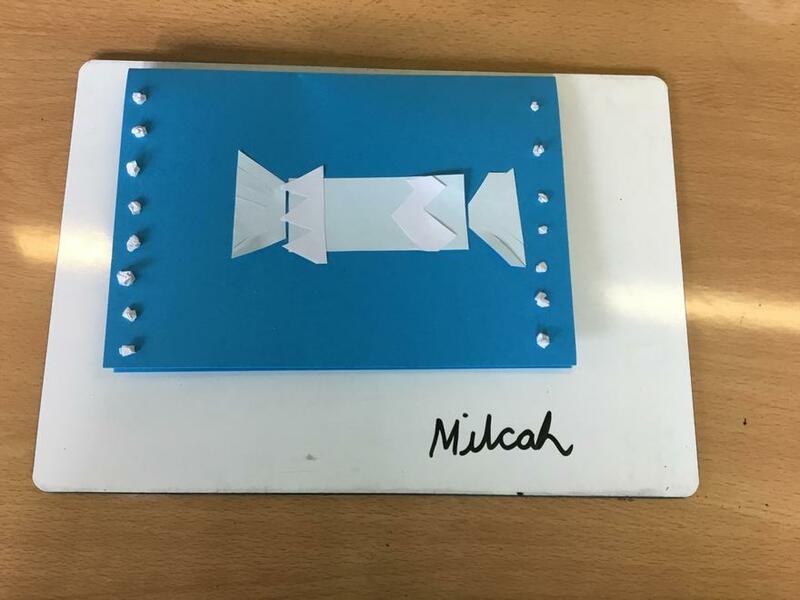 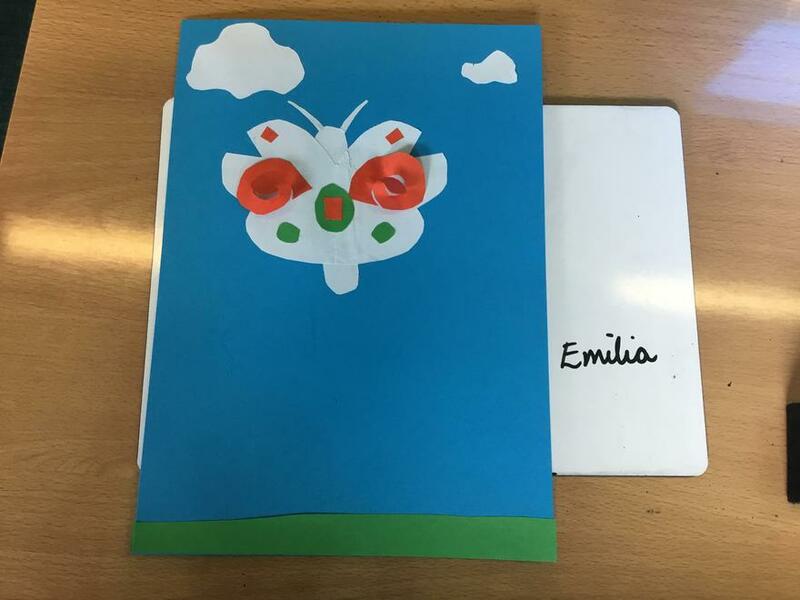 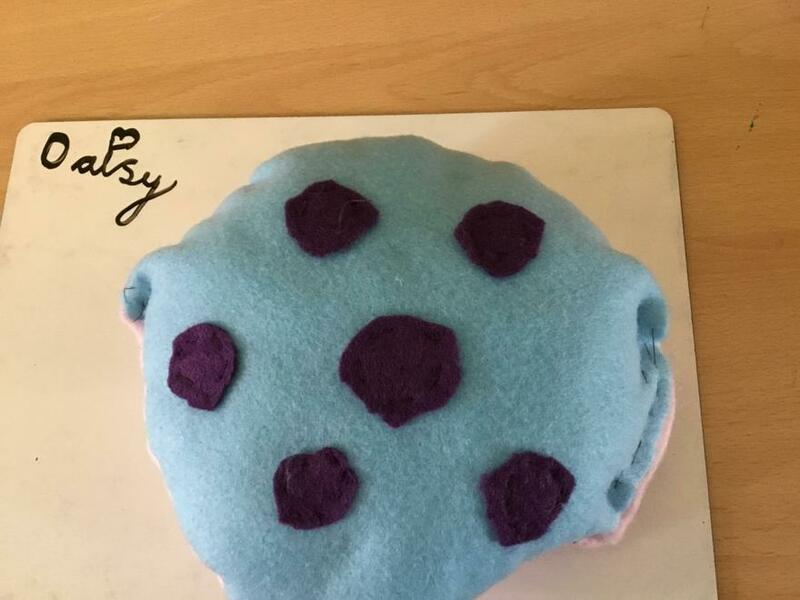 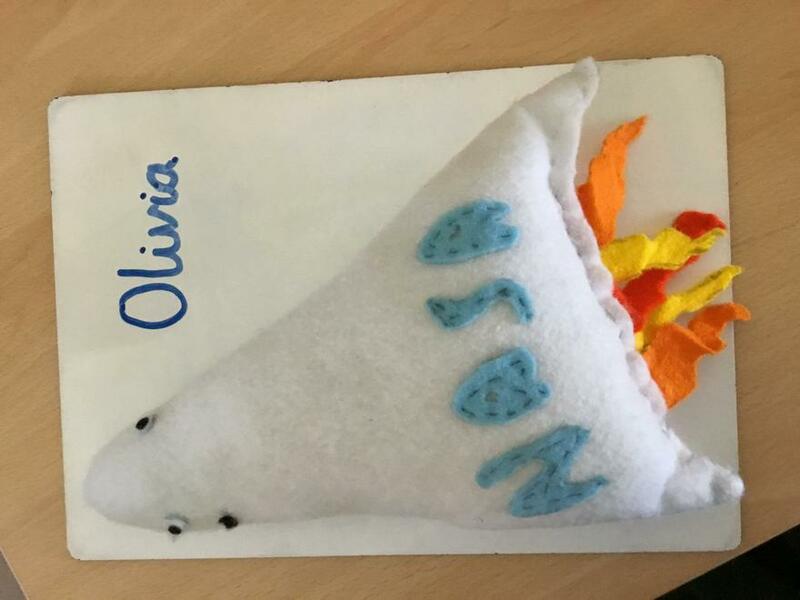 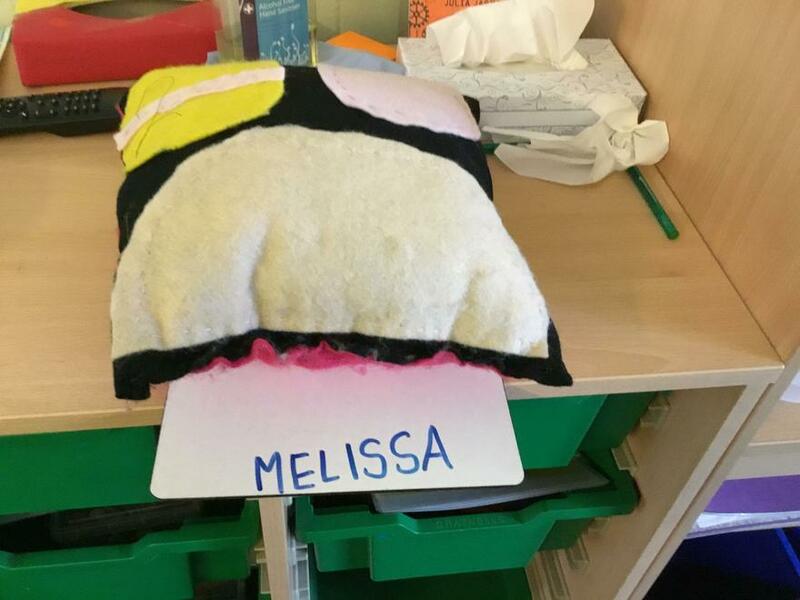 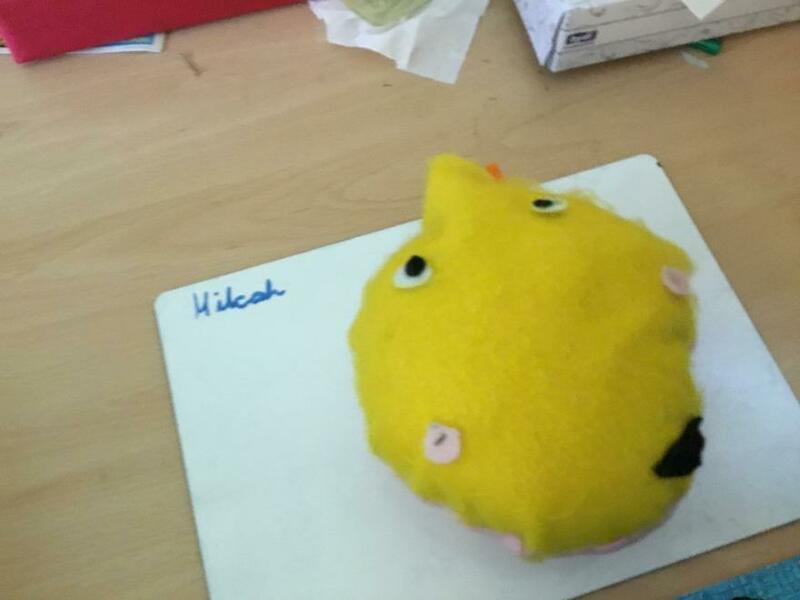 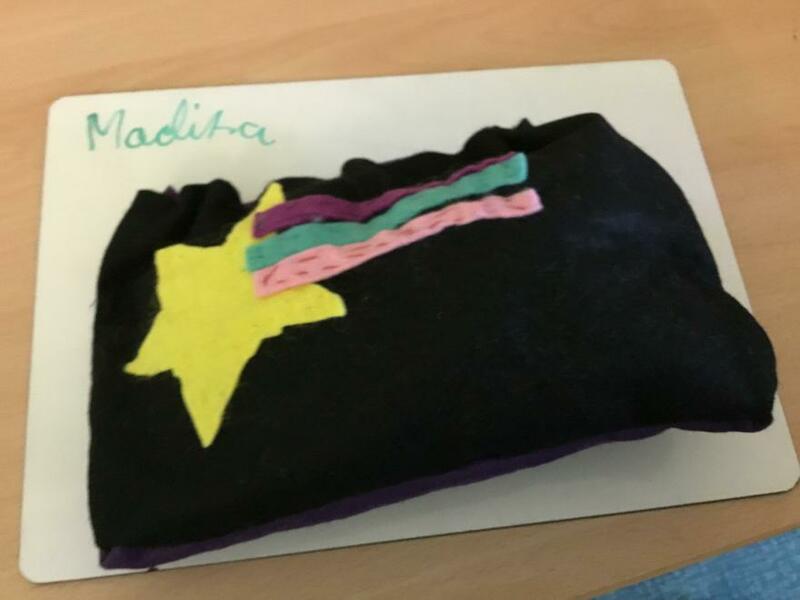 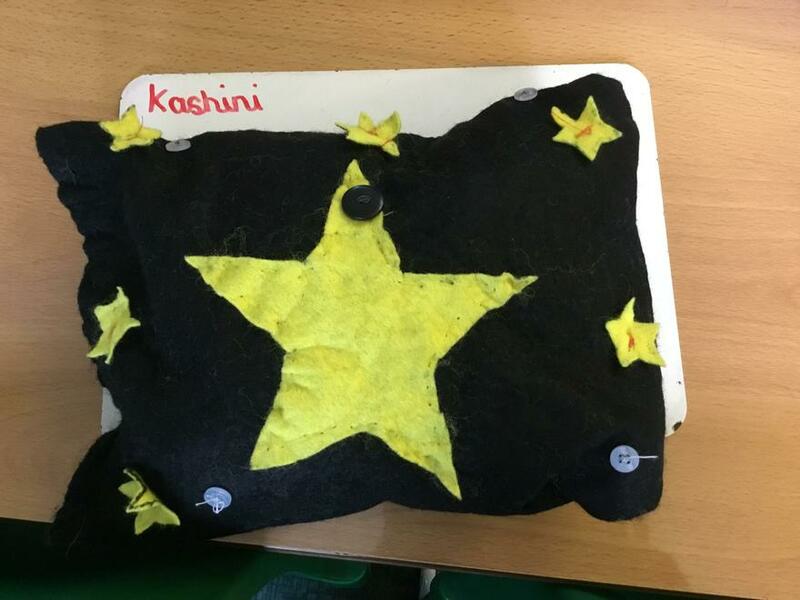 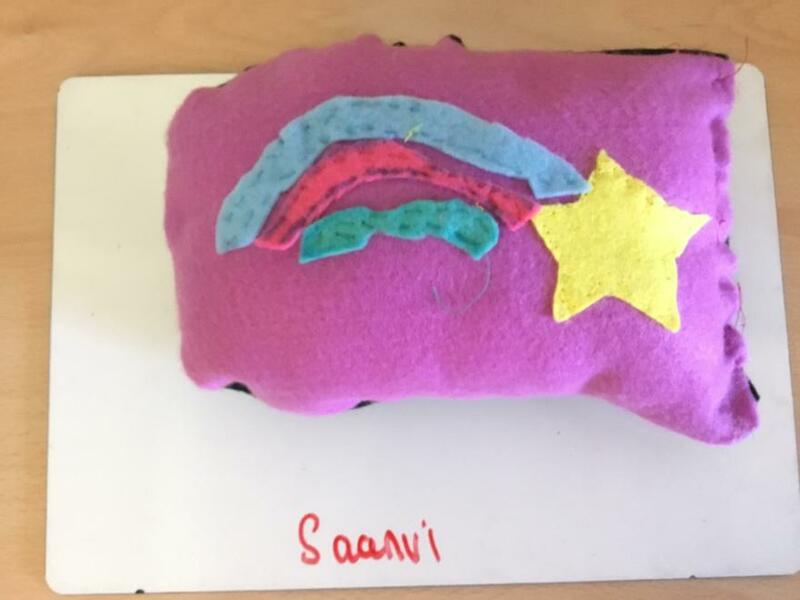 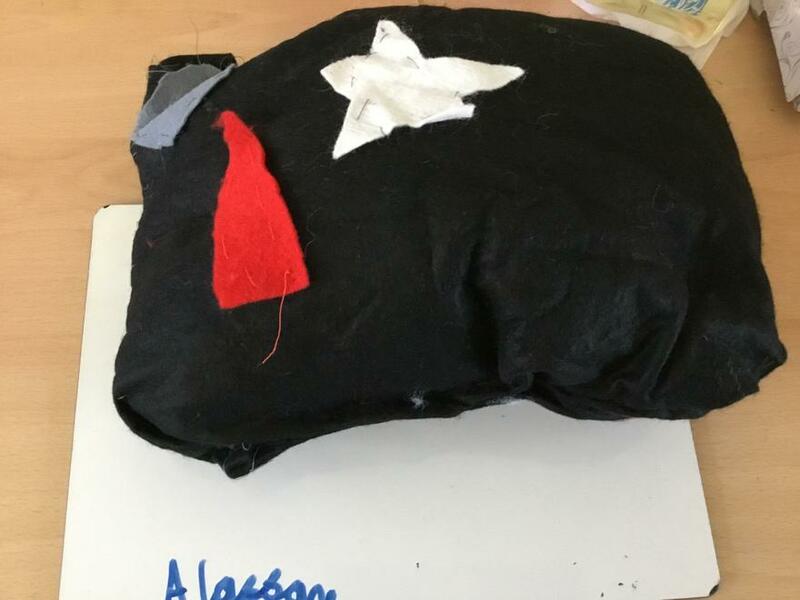 It was fantastic to see the children's sewing skills develop through the process and hopefully this will be something they can continue to practise at home as the children really enjoyed the experience. 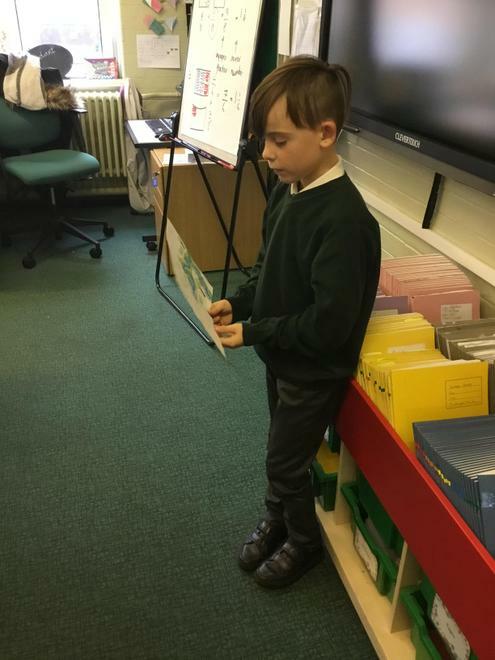 Palm have spent the afternoon in their pyjamas enjoying the simplicity of reading and being read to. 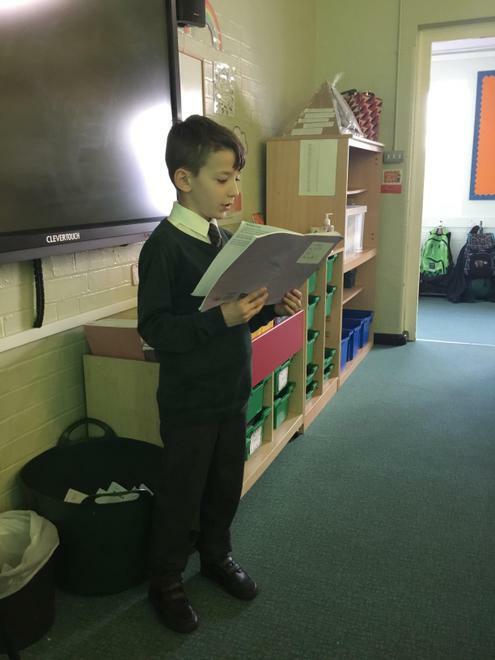 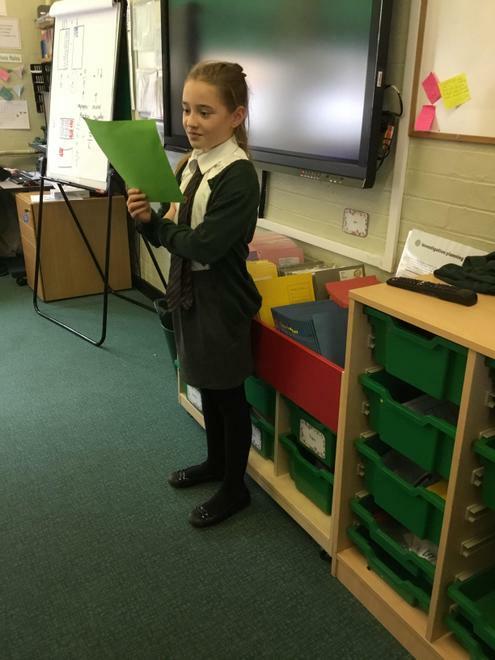 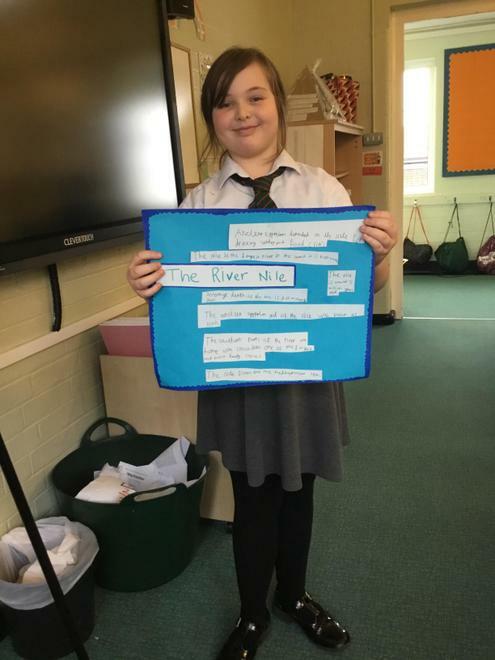 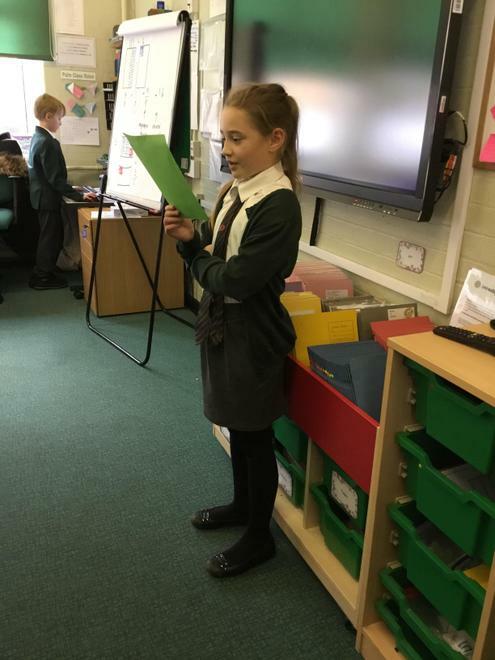 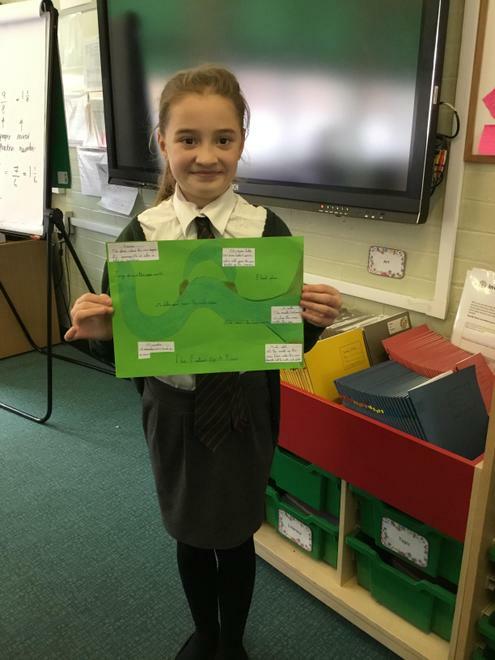 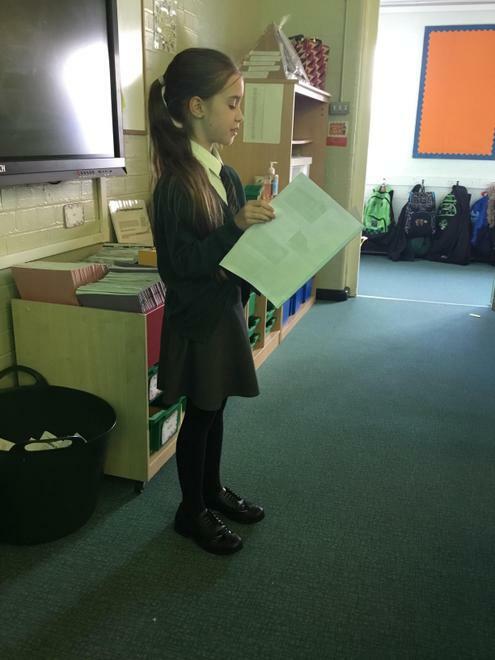 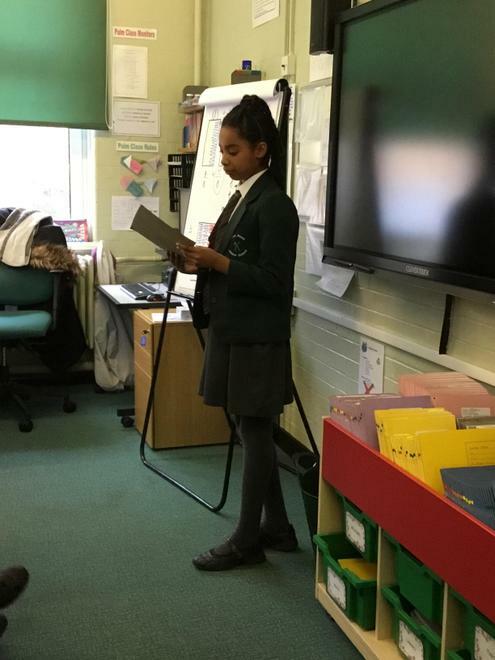 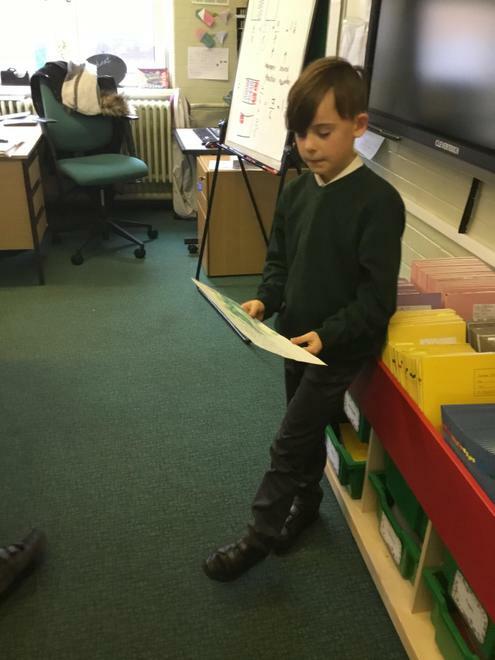 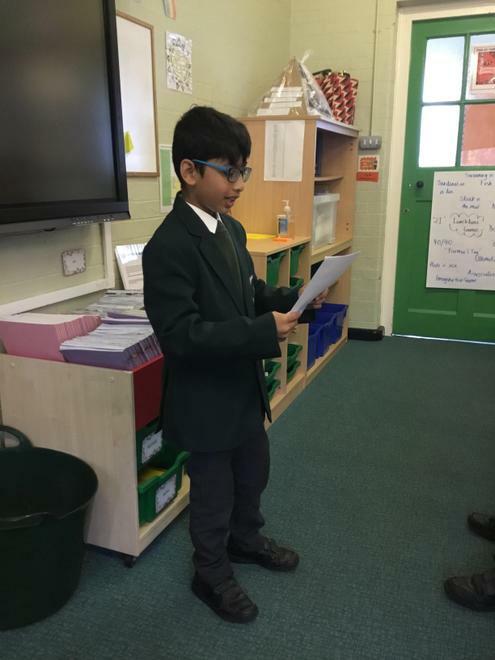 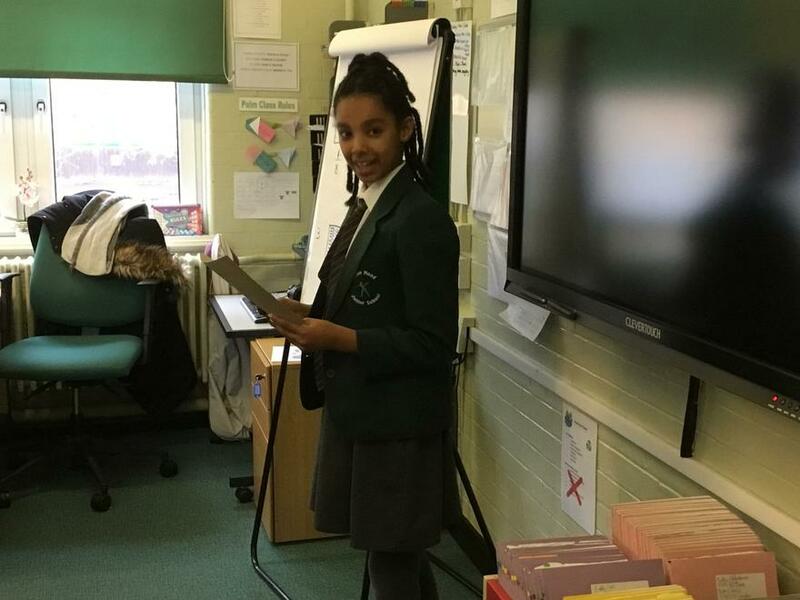 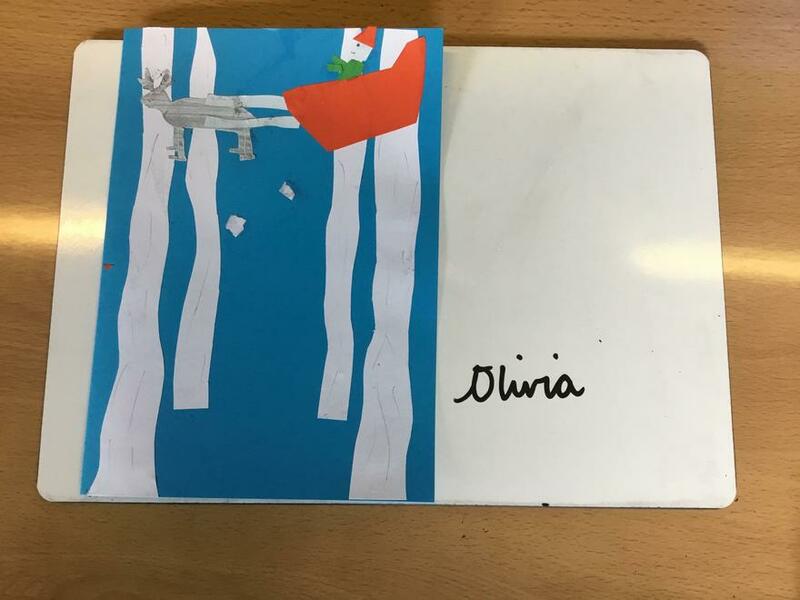 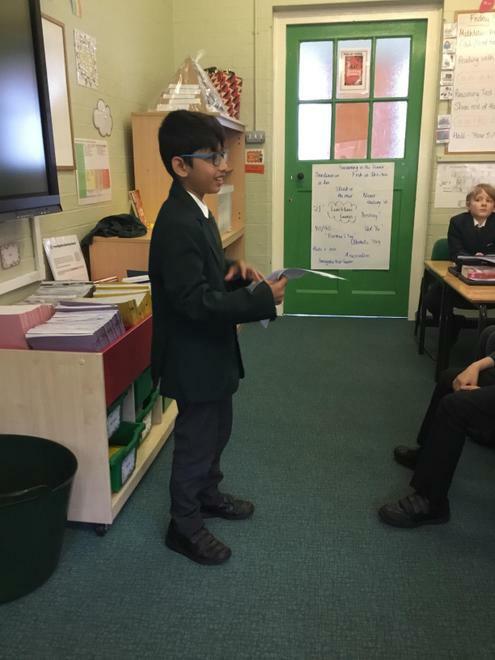 We chose to read the short version of Charles Dickens’ Nicholas Nickleby, one of David Walliams’ picture books and some poems by Joshua Seigal and Neal Zetter. 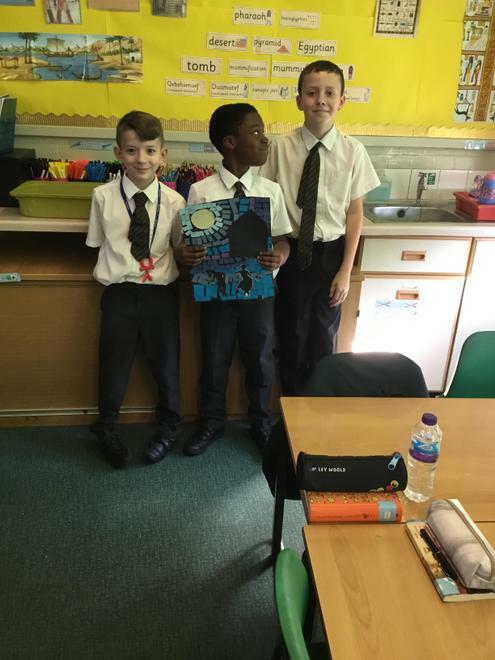 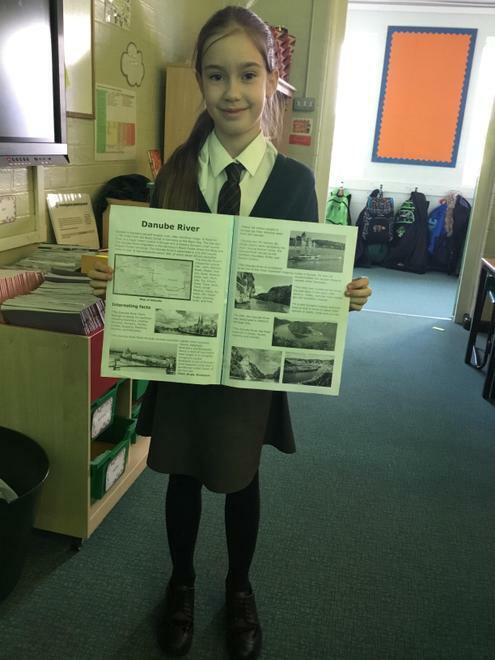 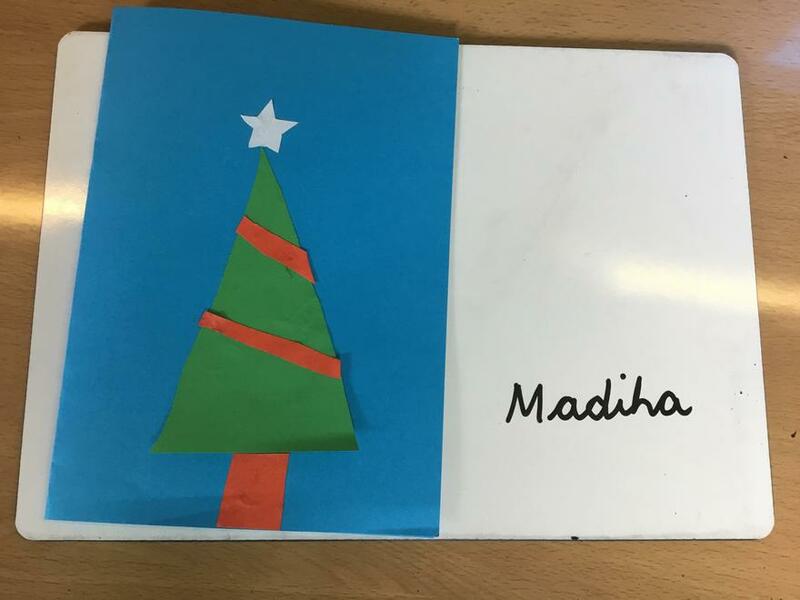 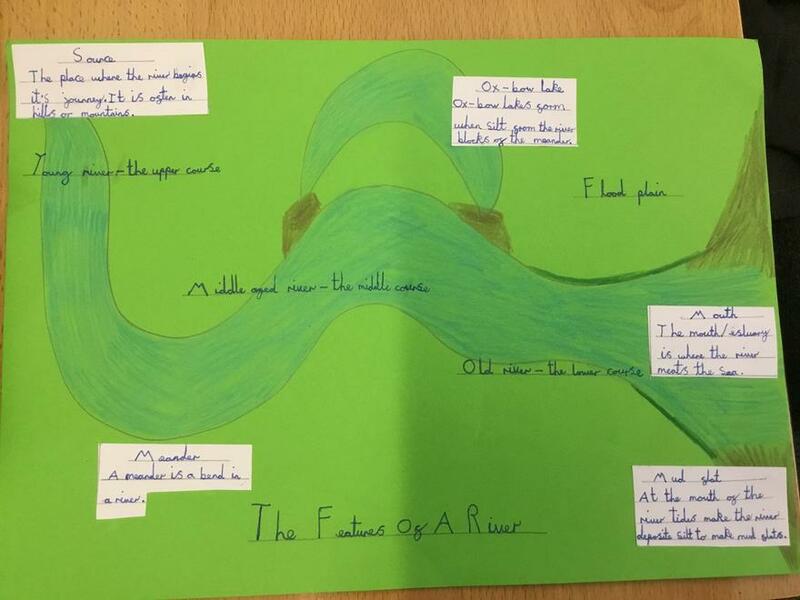 We have enjoyed it so much that Mrs Rix is going to read some more tomorrow! 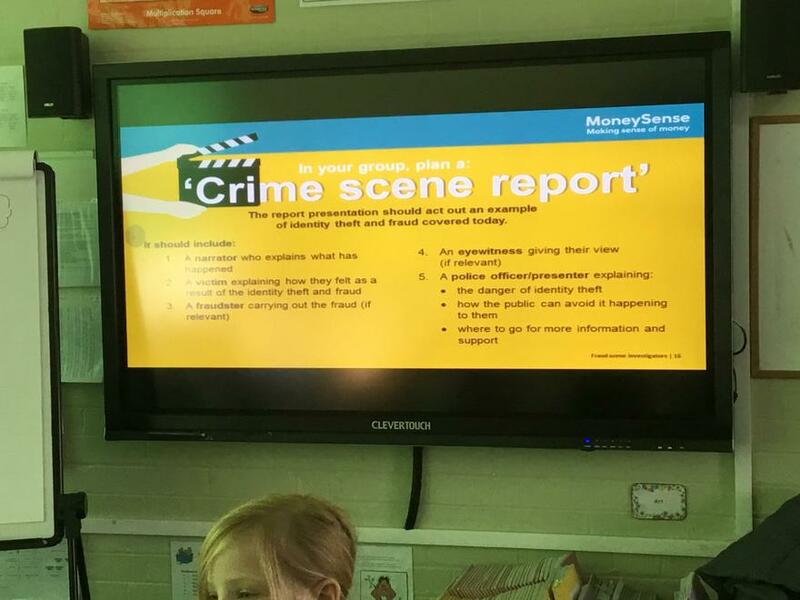 We were lucky enough to spend the morning trying so solve crime! 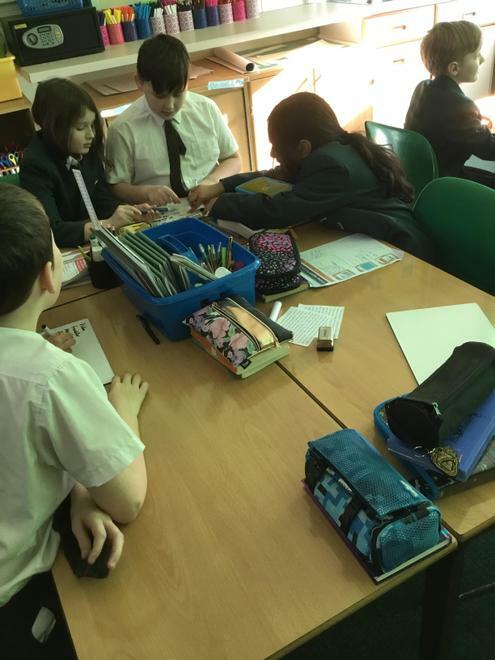 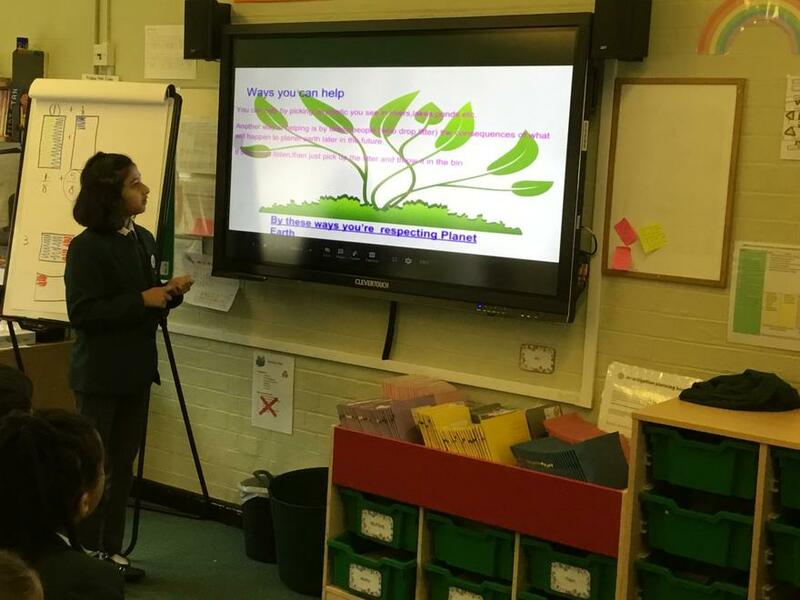 Volunteers from the NatWest Money Sense programme came into our lesson to help develop our financial knowledge. 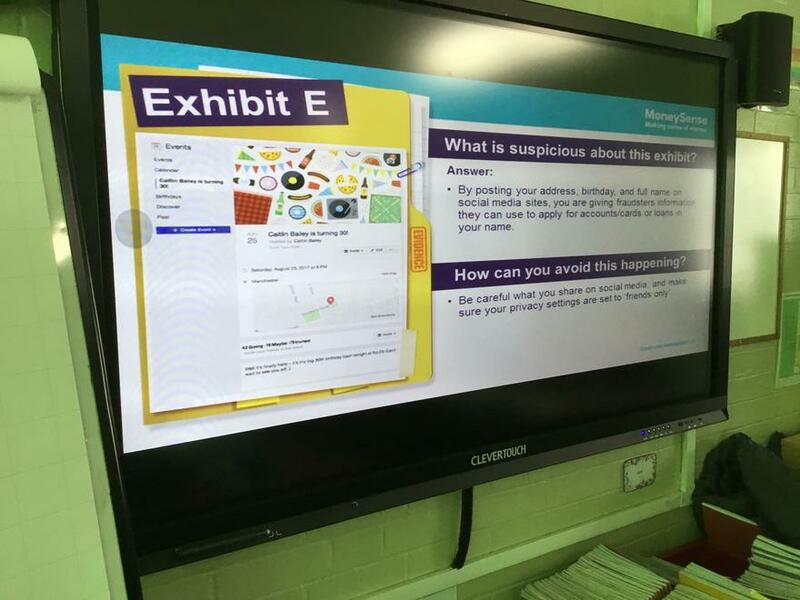 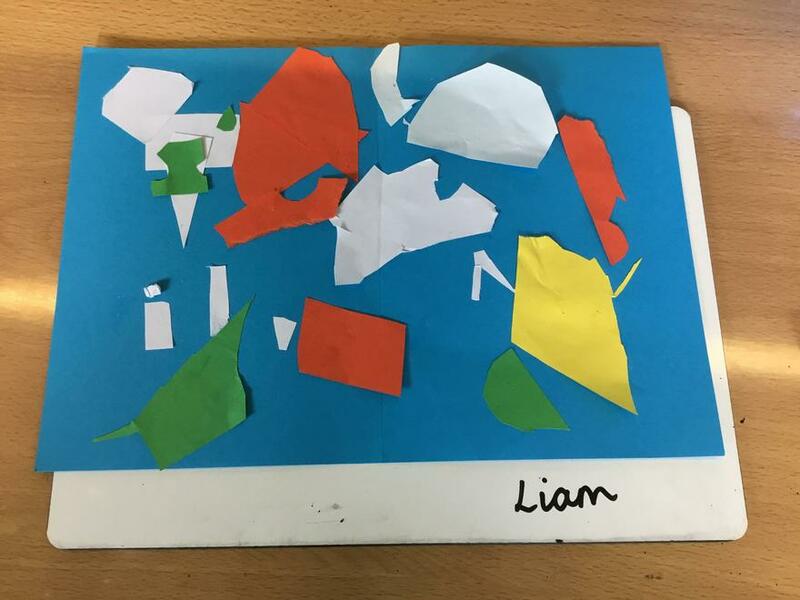 The children had to look at multiple pieces of evidence to help discover how somebody had managed to take our a loan of £25,000 in her name! 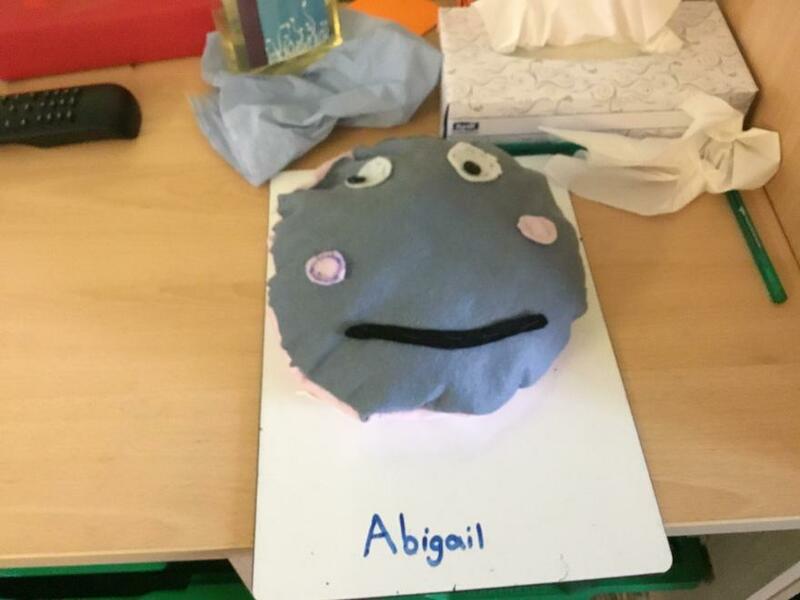 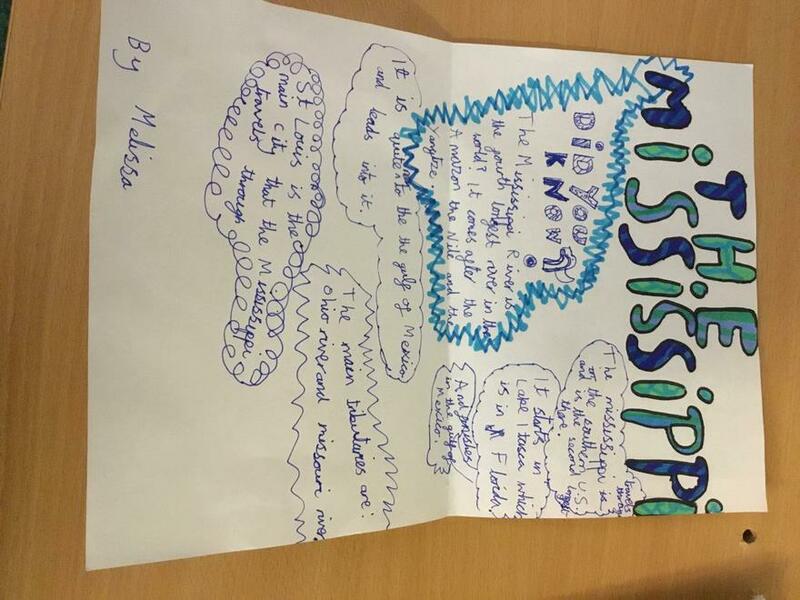 Ask your our child what her mistake was and what they discovered! 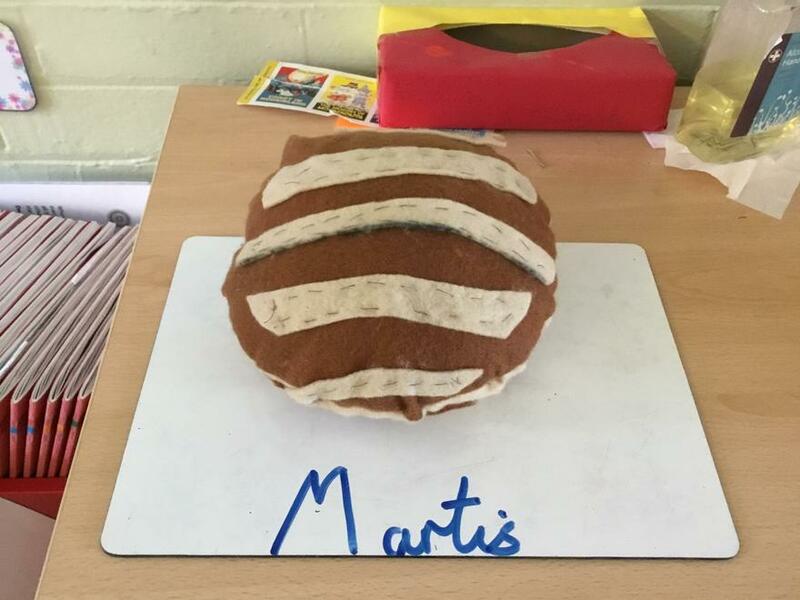 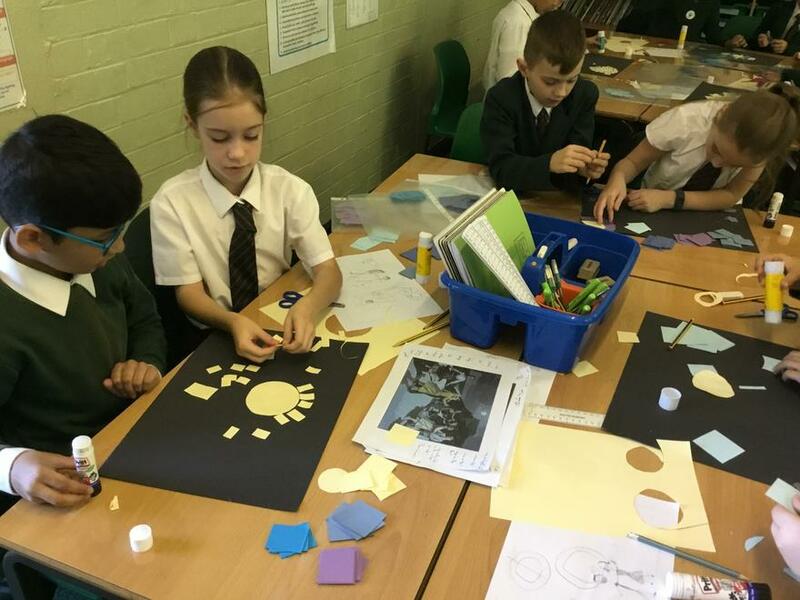 In Science, the children have been learning all about the solar system and the planets. 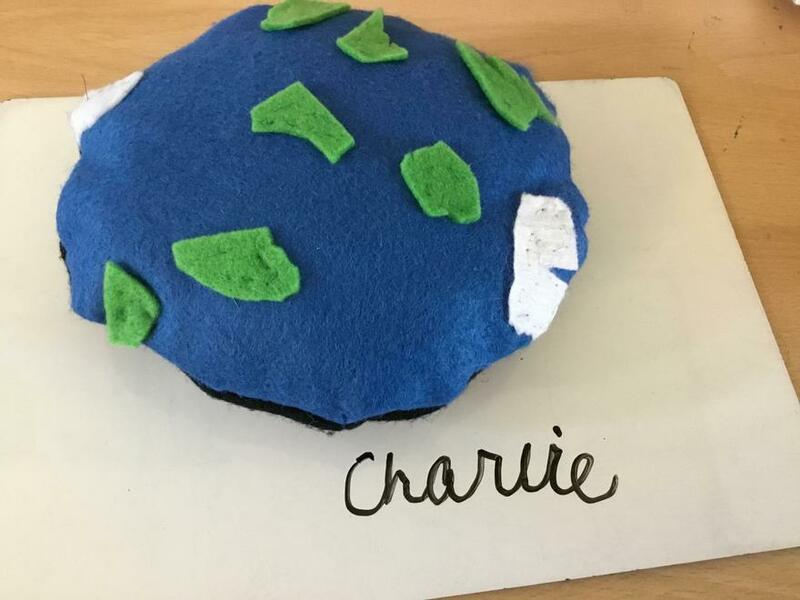 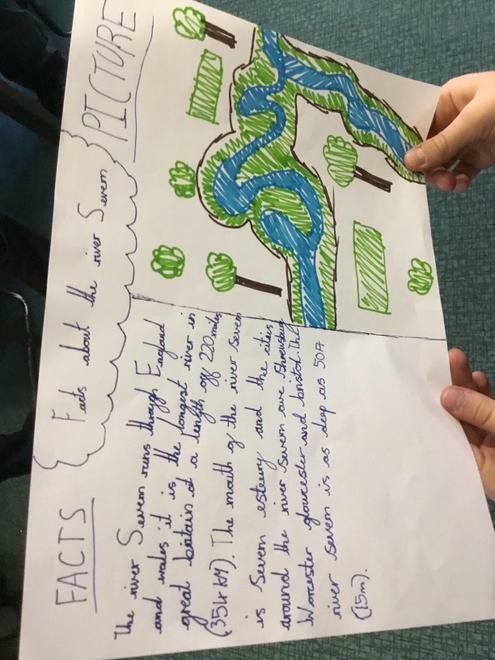 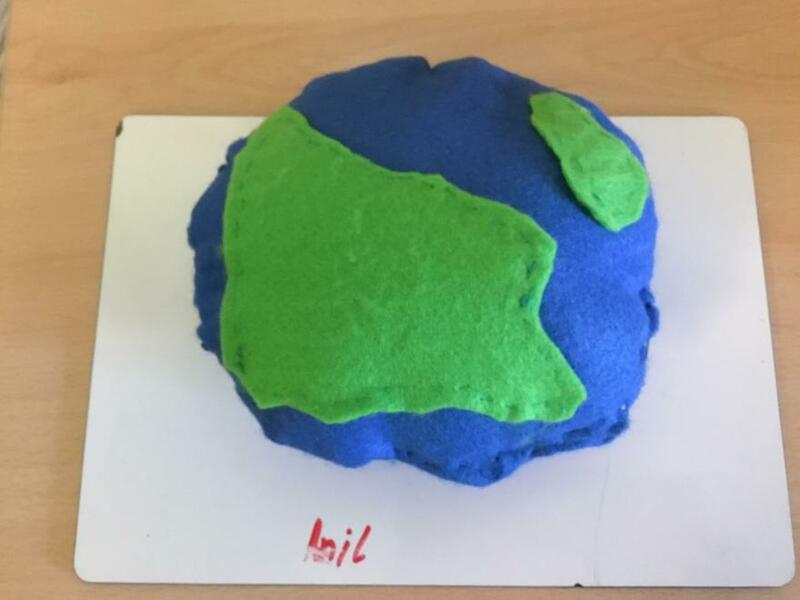 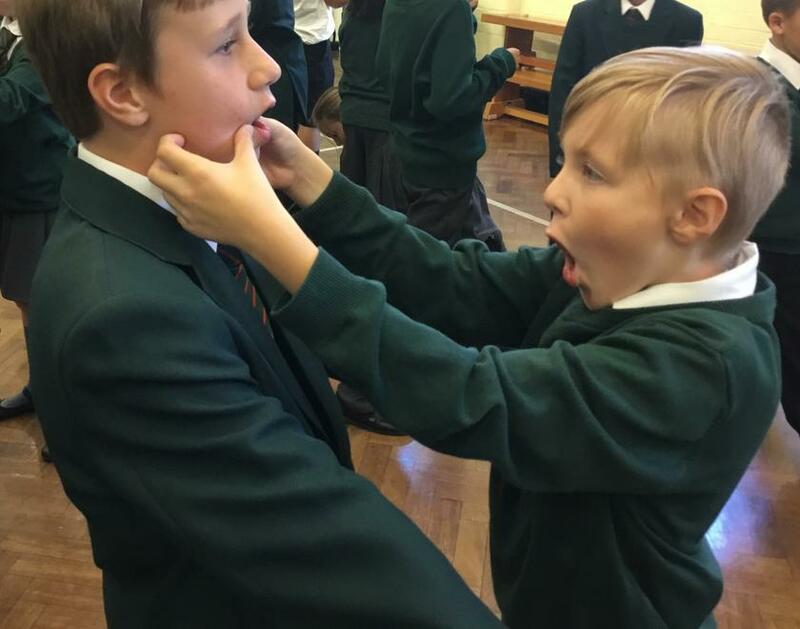 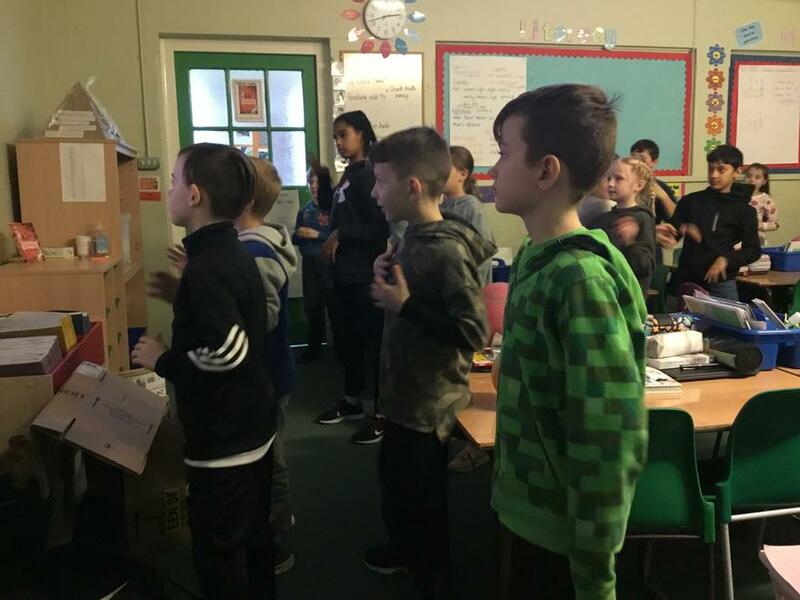 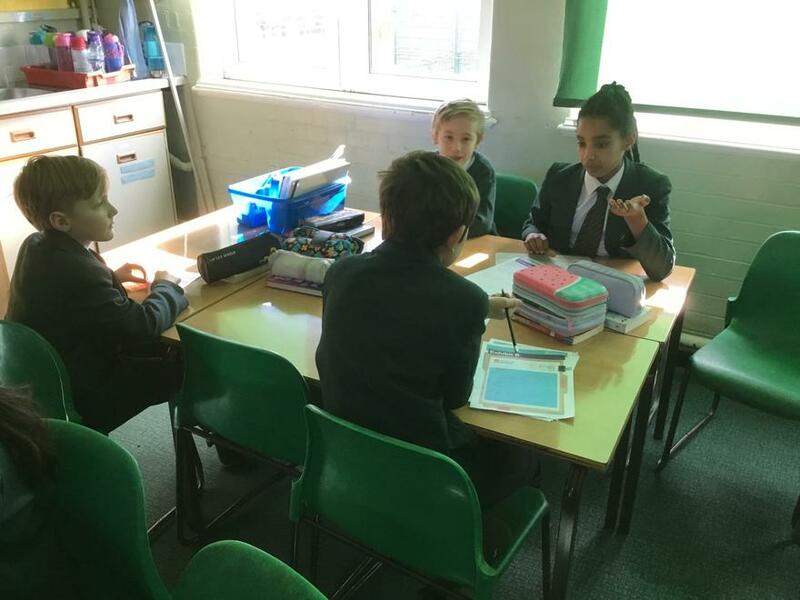 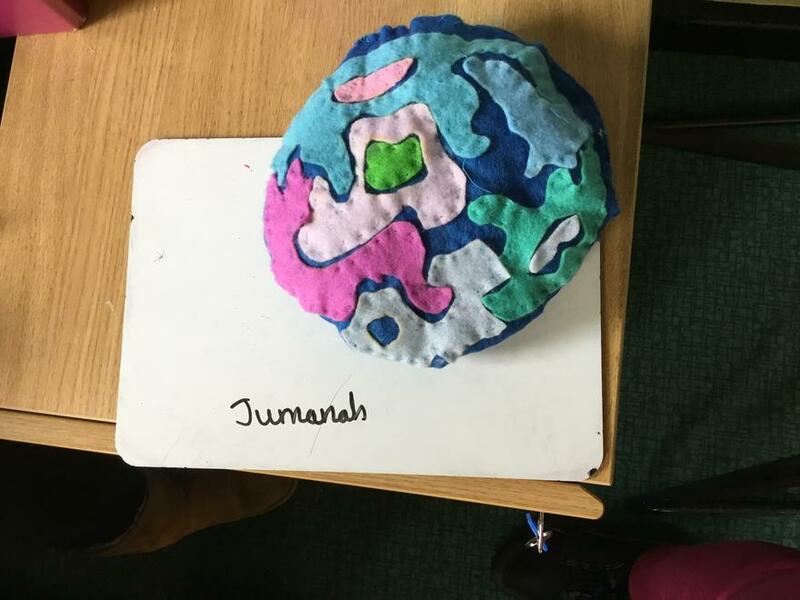 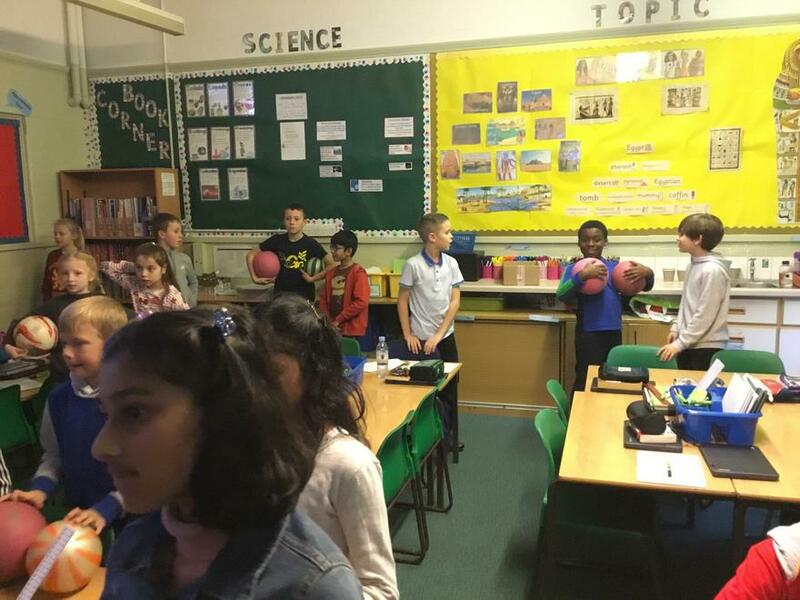 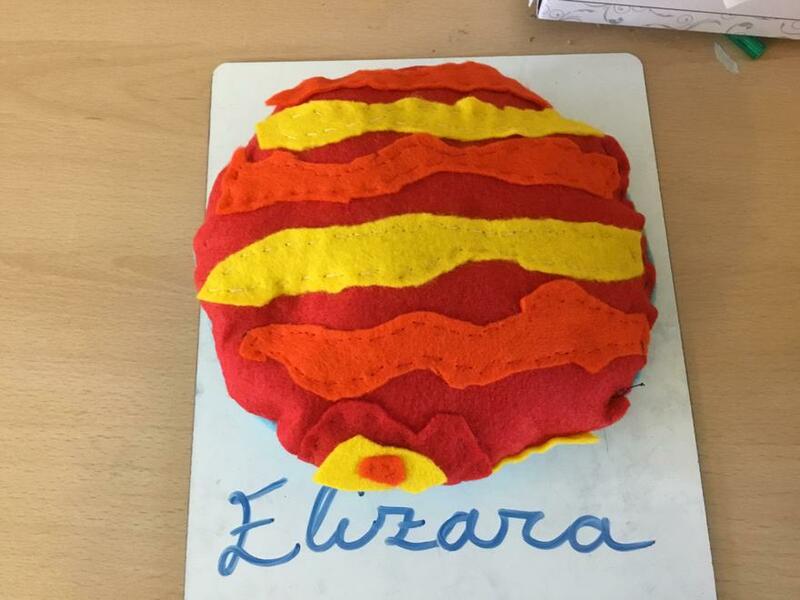 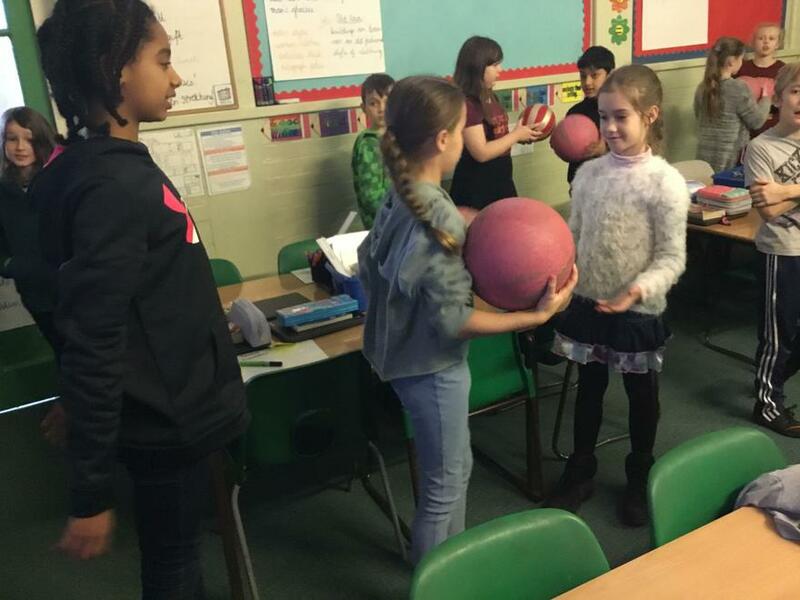 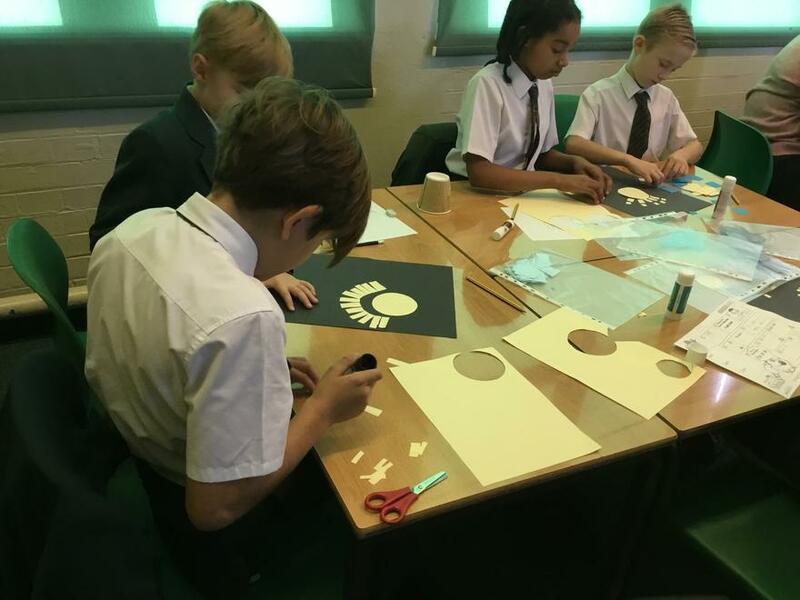 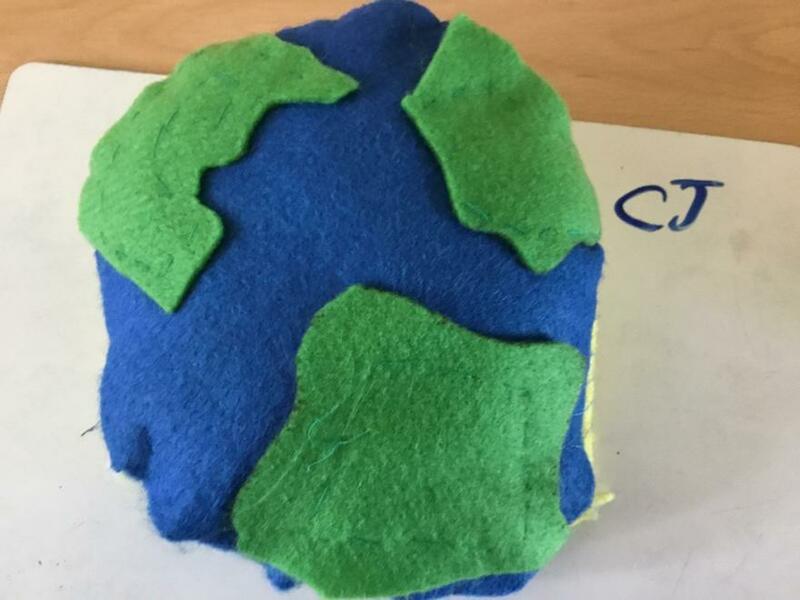 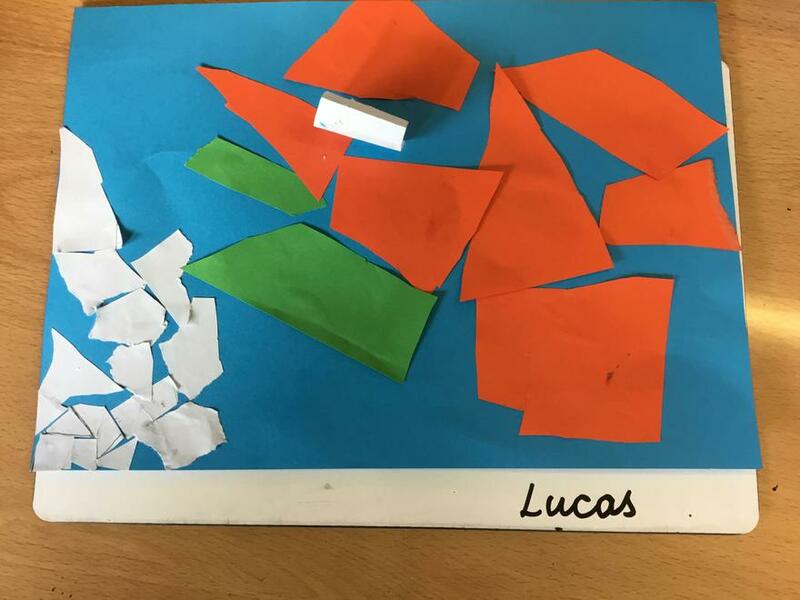 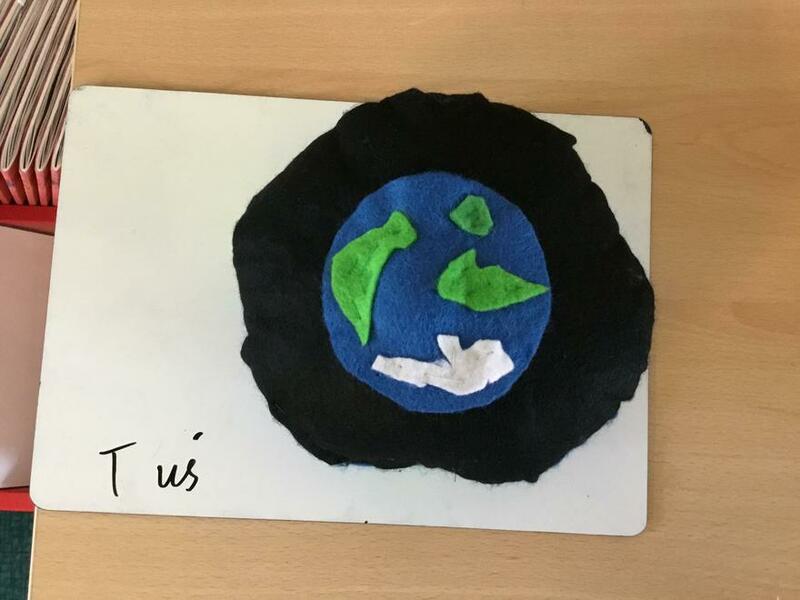 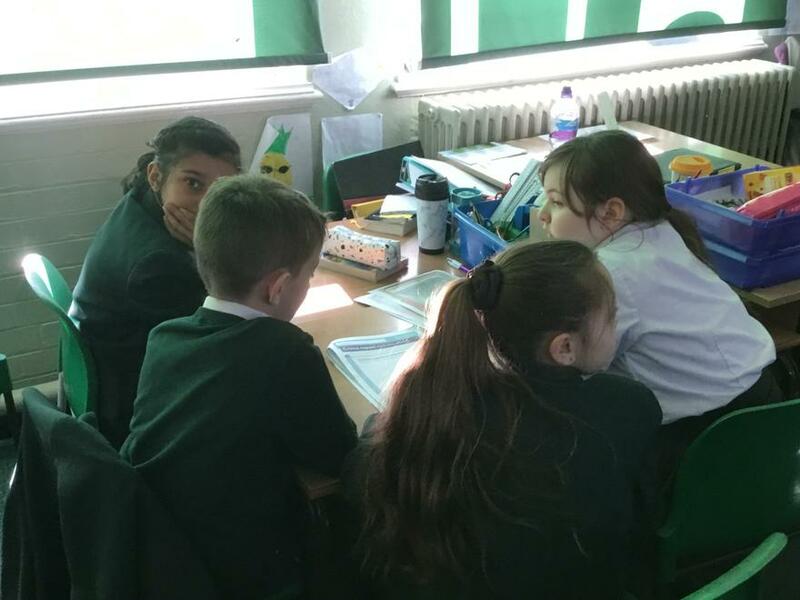 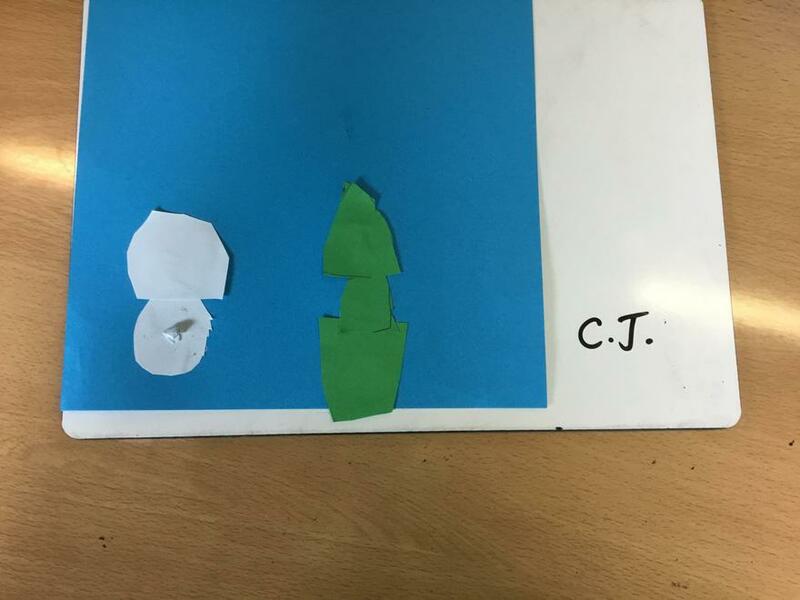 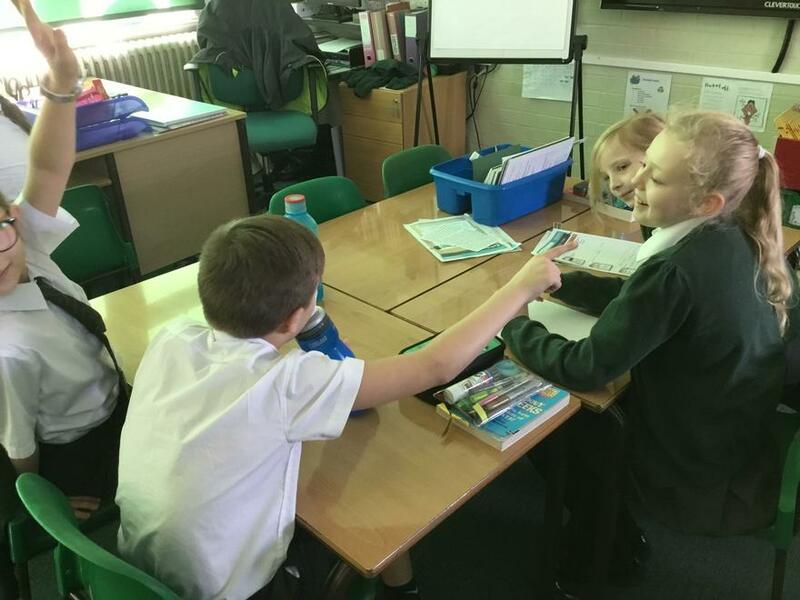 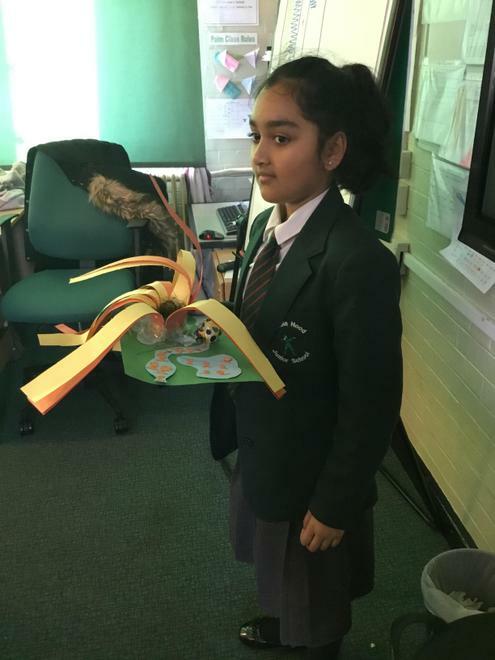 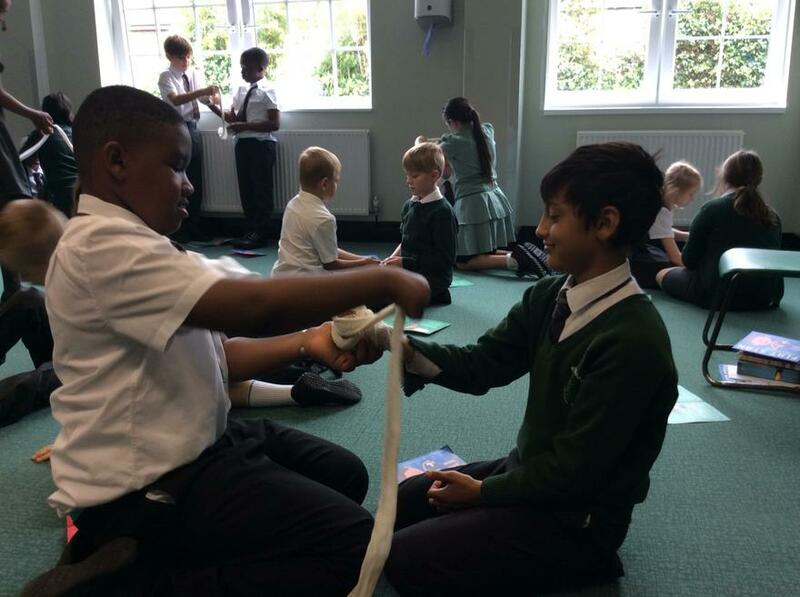 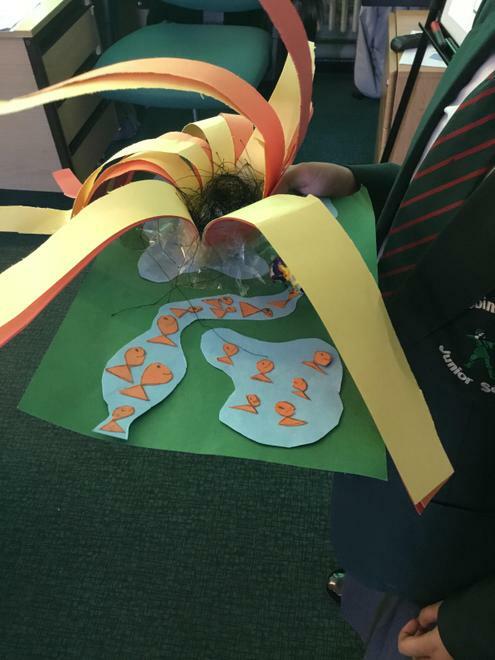 In this lesson they acted as different planets in order to understand the movement of the Earth and other planets, relative to the Sun in the solar system. 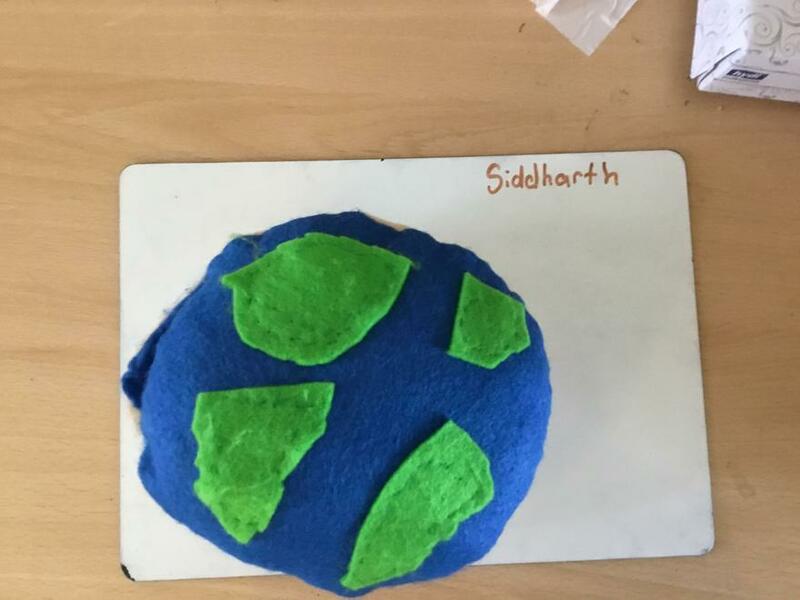 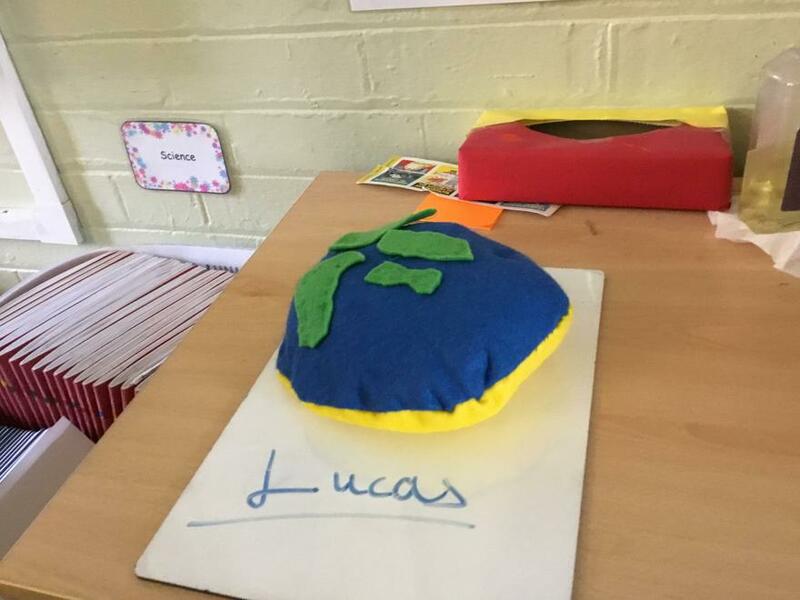 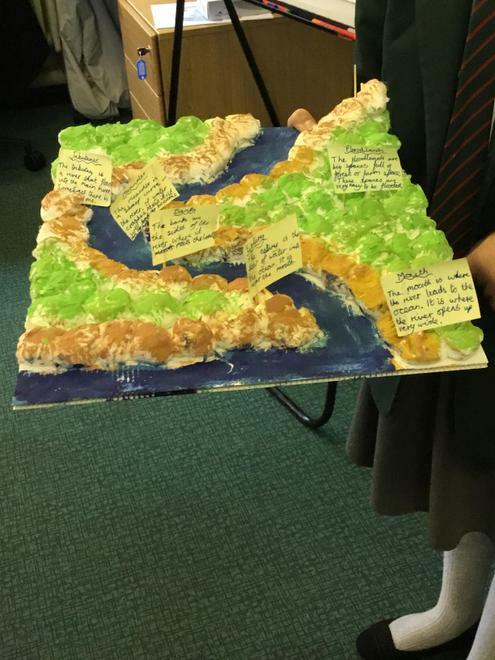 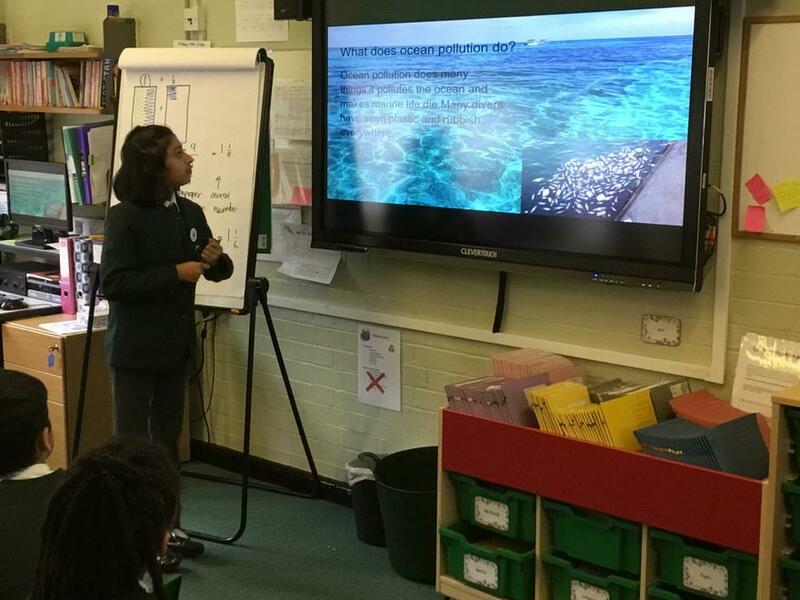 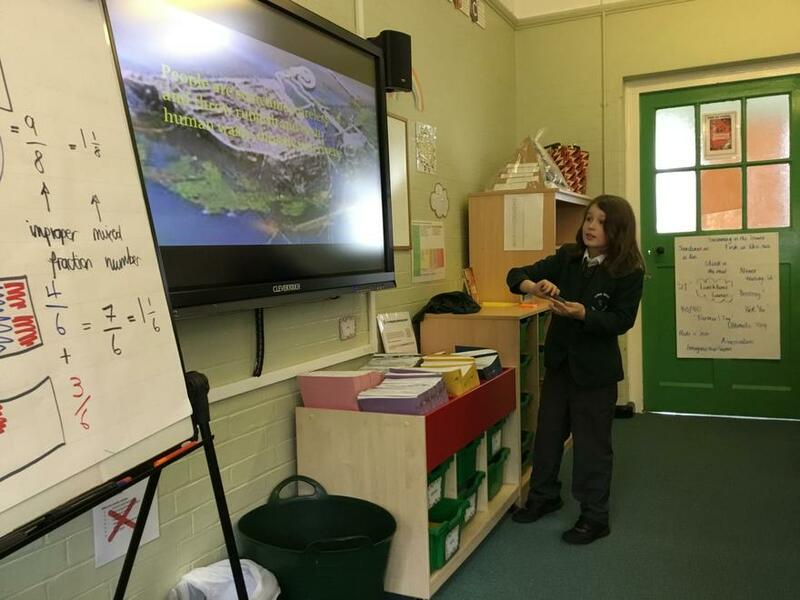 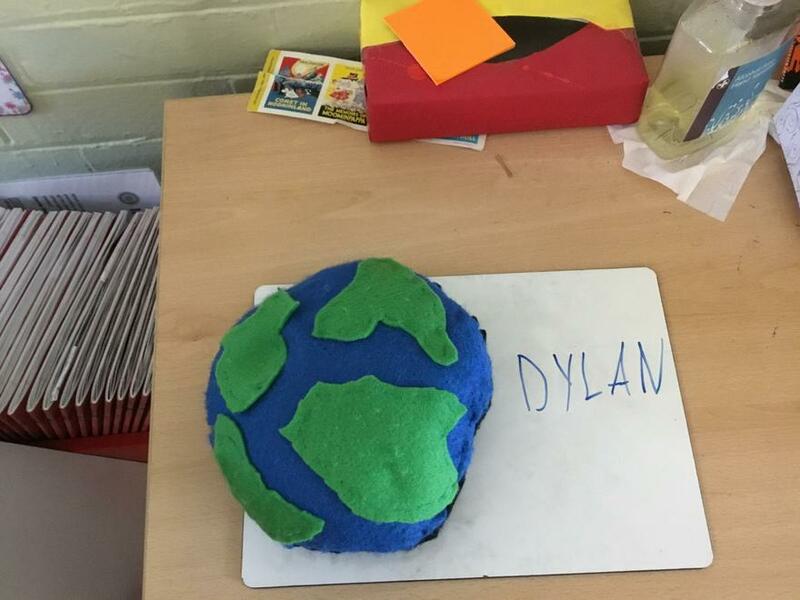 The children were also able to describe the key force that is responsible of the planet's spherical shape. 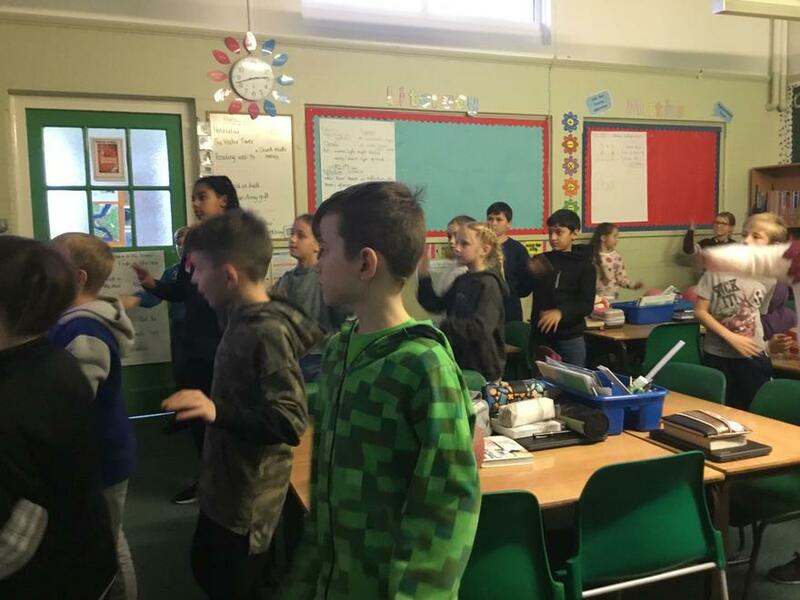 This half term in PE, Palm have been looking at mirroring. 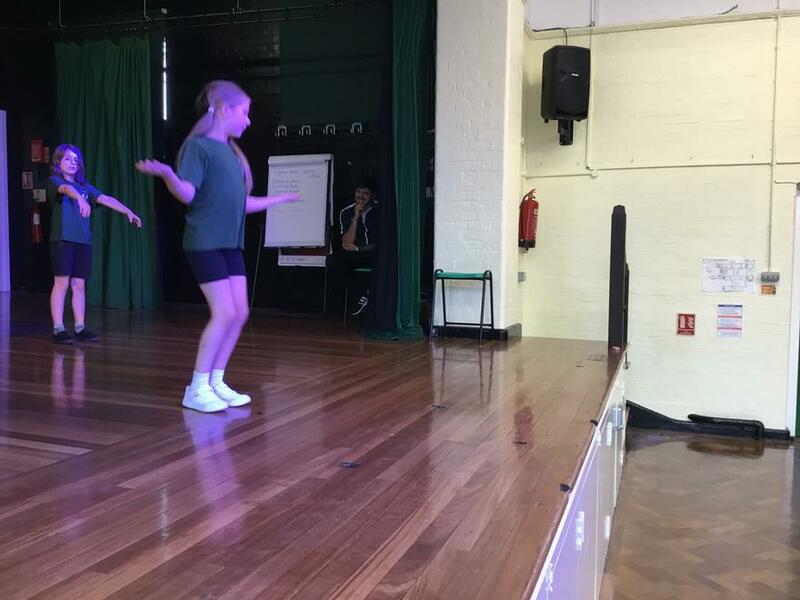 This involves mirroring gym sequences, jumps and creating their own routine. 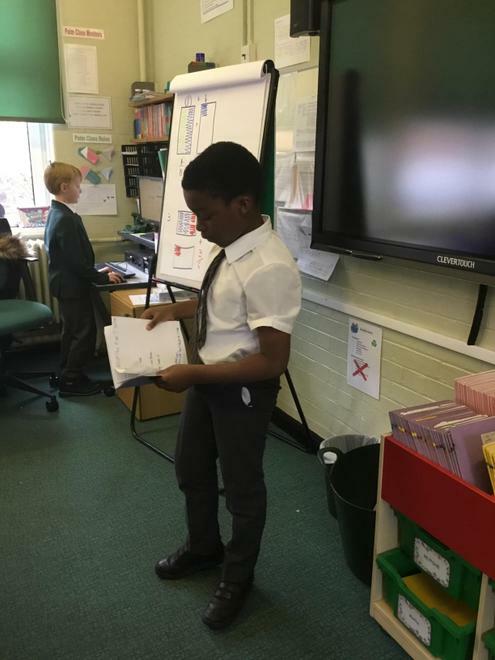 In the upcoming weeks the children will be looking at perfecting their routine before demonstrating it to the rest of the class. 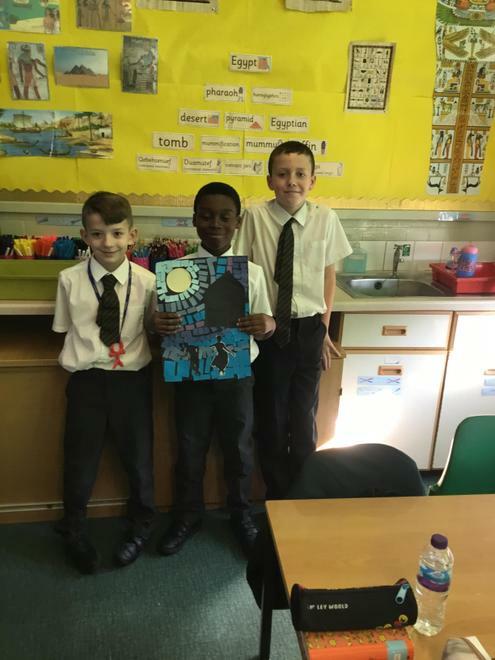 In outside PE, Palm have been learning about Tennis and the skills needed to be successful in this sport. 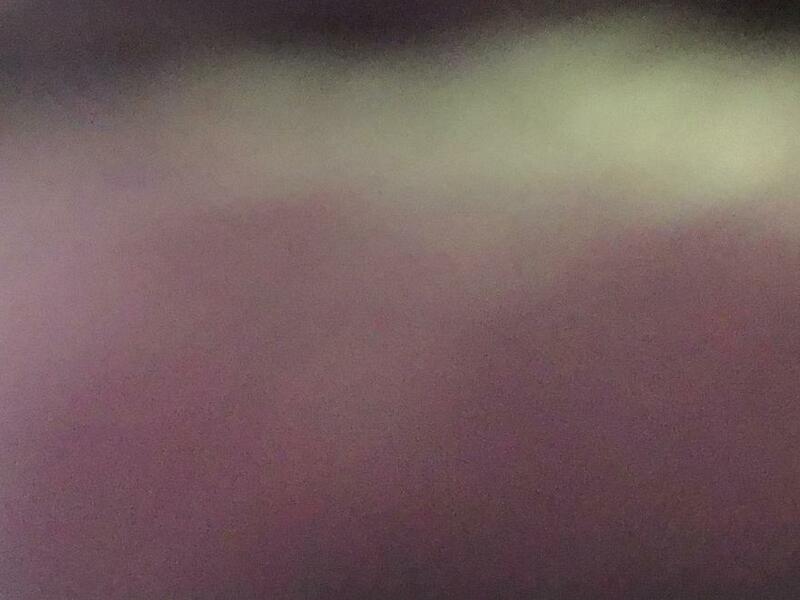 This has included forehand, backhand and rallying. 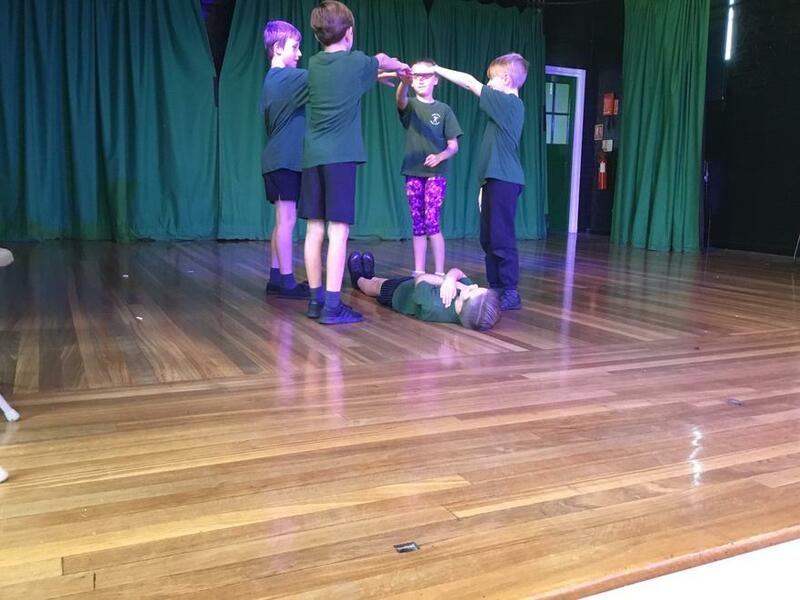 In the upcoming weeks they will look at volleying and applying all these skills in a match scenario. 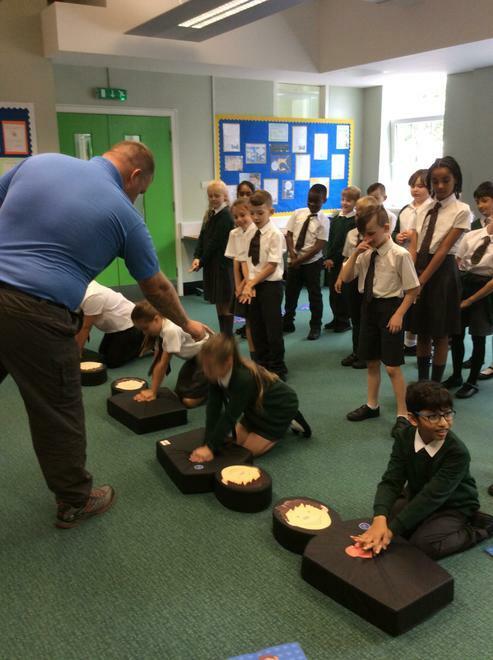 Well done to Palm for an excellent start. 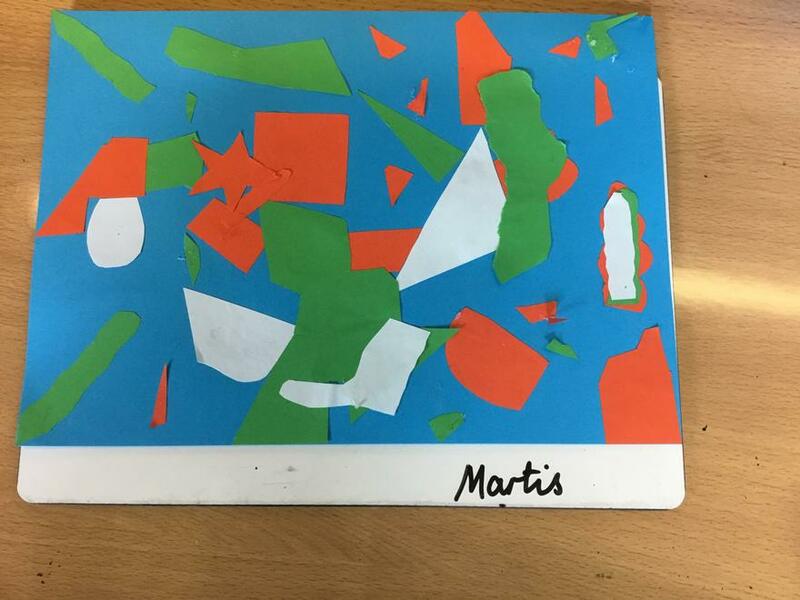 Henri Matisse was a French artist who is well known for creating large scale cut paper collages. 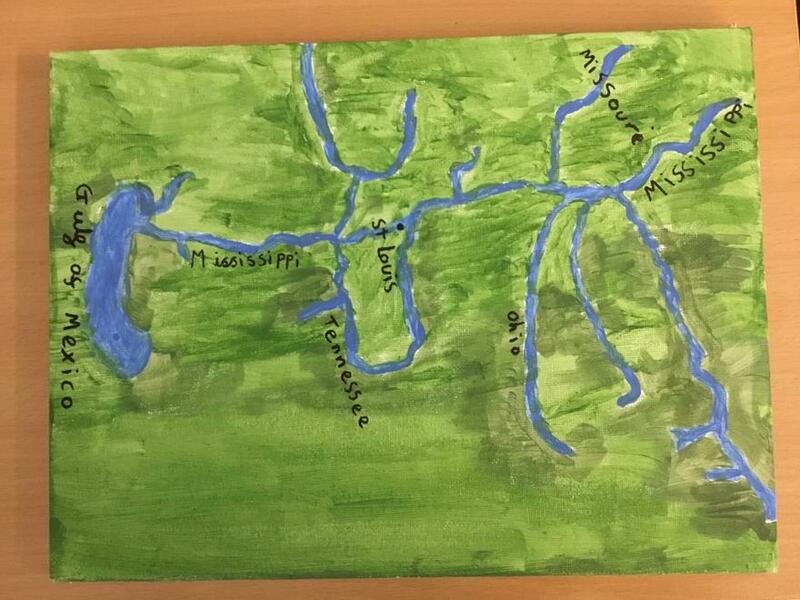 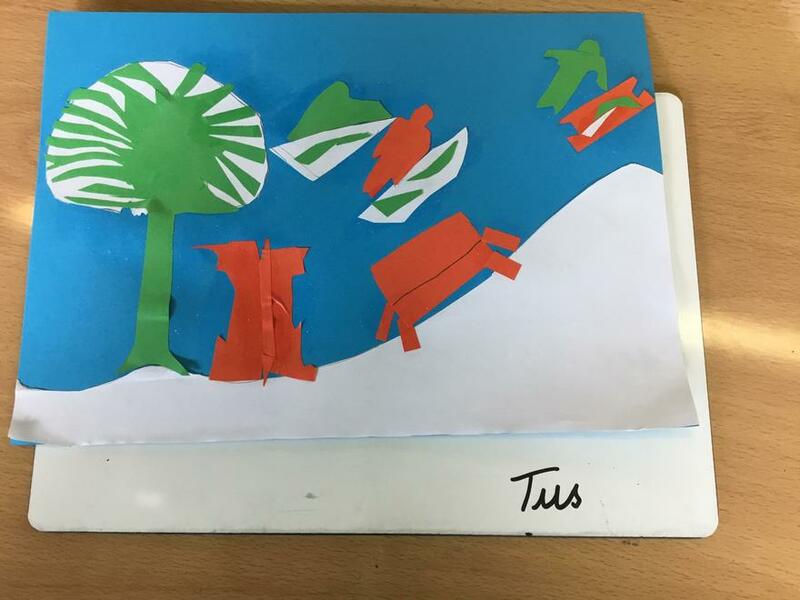 He called the technique ‘painting with scissors’. 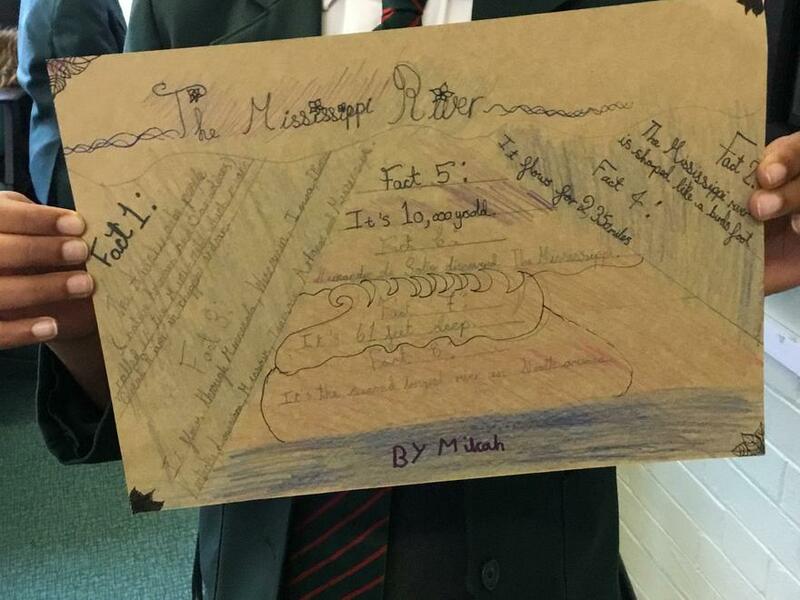 We produced our own 'Matisse inspired' art. 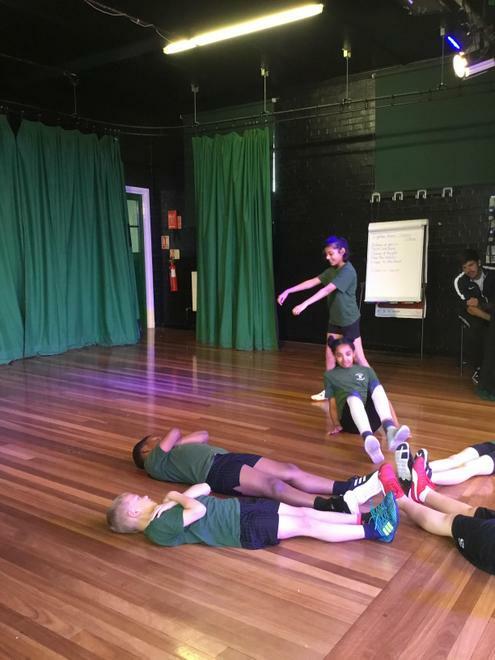 This half term in P.E, Palm class have been learning about gymnastics and the different types of balance, jumps and turns. 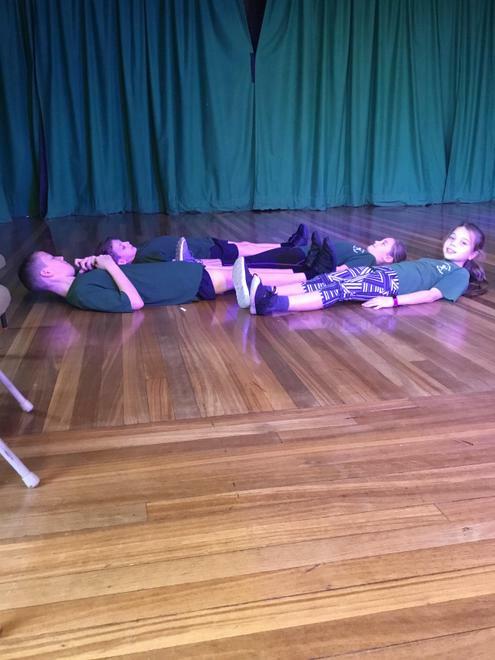 The children have started adding these different elements together to form a gymnastics routine. 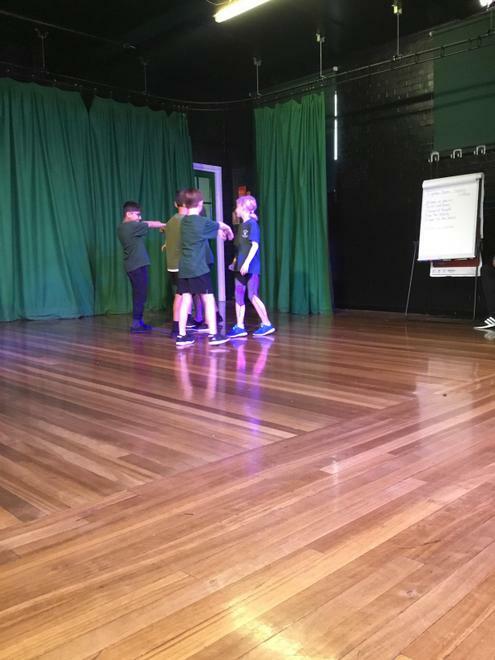 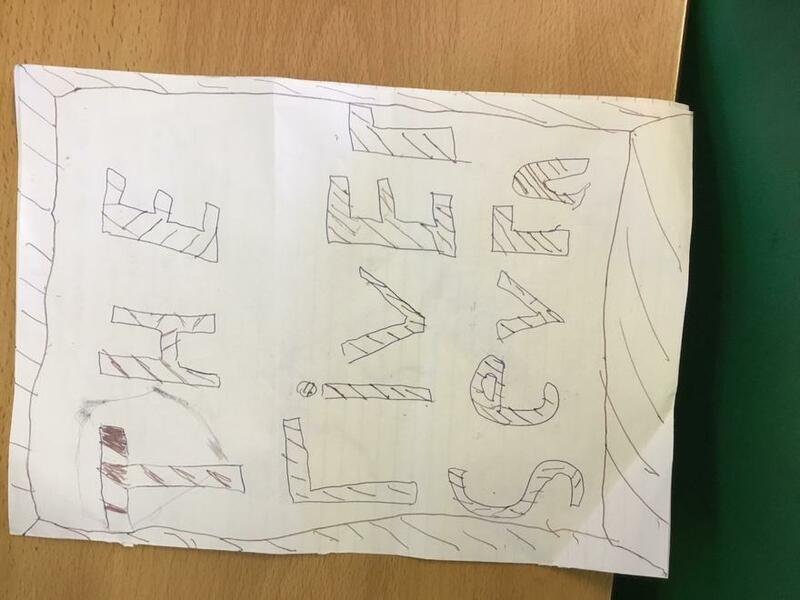 In their outdoor P.E, Palm class have been looking at invasion games. 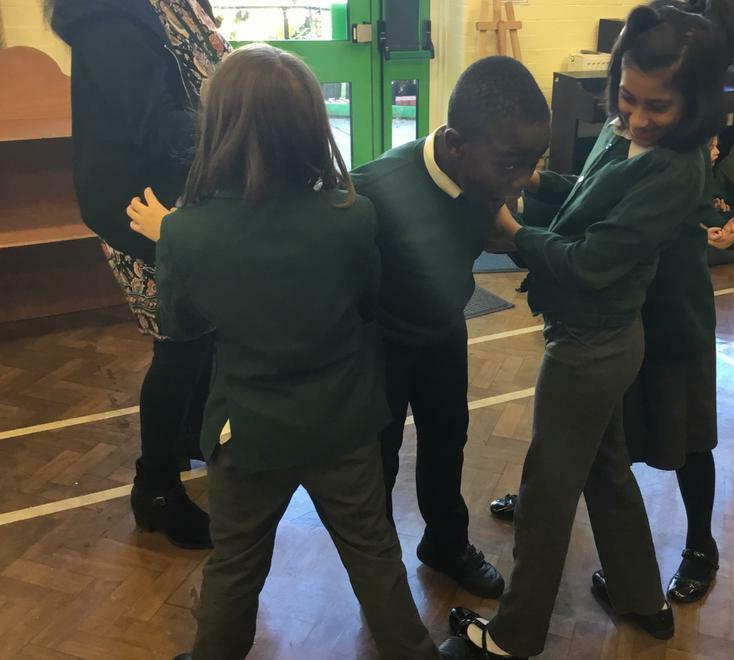 The skills they have learnt include attacking, defending and team work. 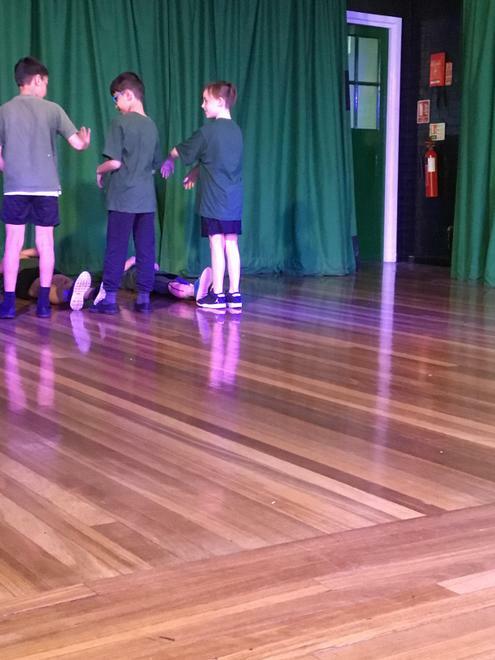 These skills will lead them to playing tag rugby matches. 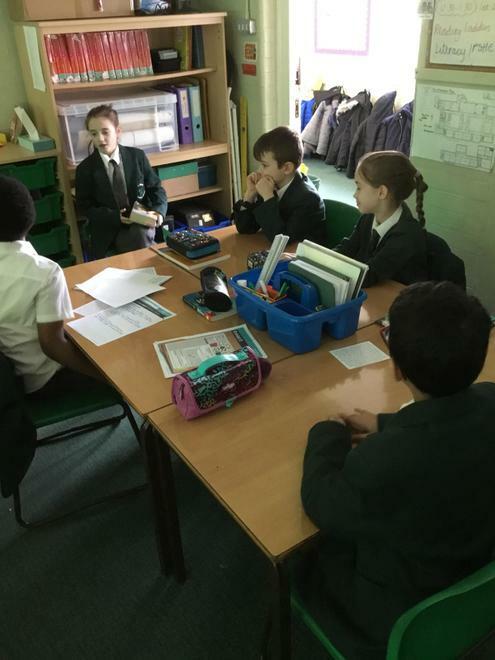 Well done to Palm for a superb start to these topics. 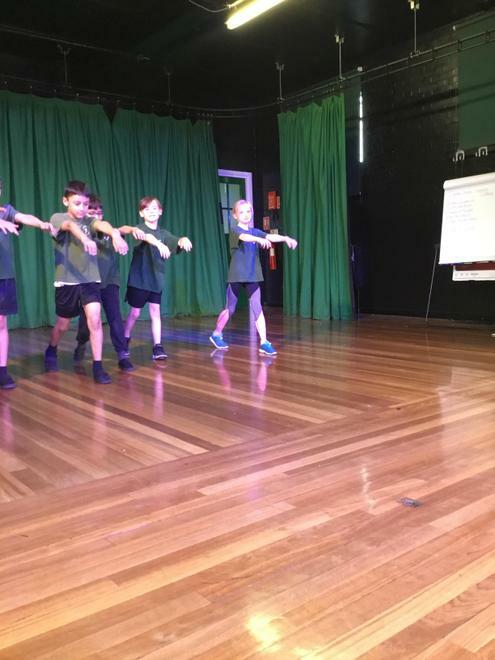 The children's inspiration for Art Day was ‘The Dance’ – Dame Paula Rego. 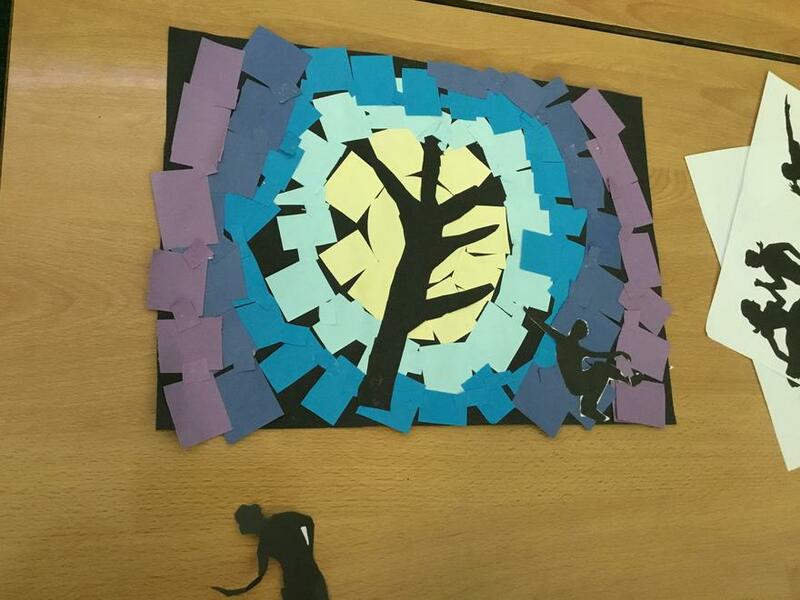 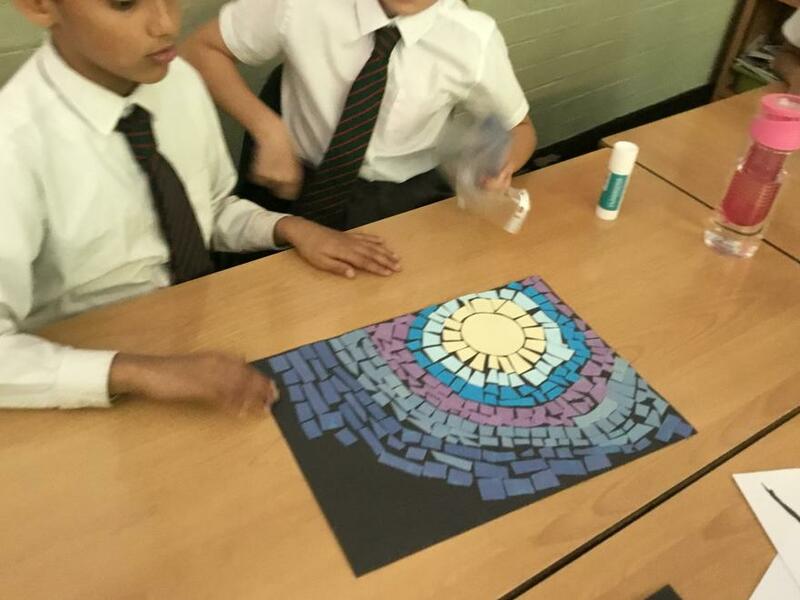 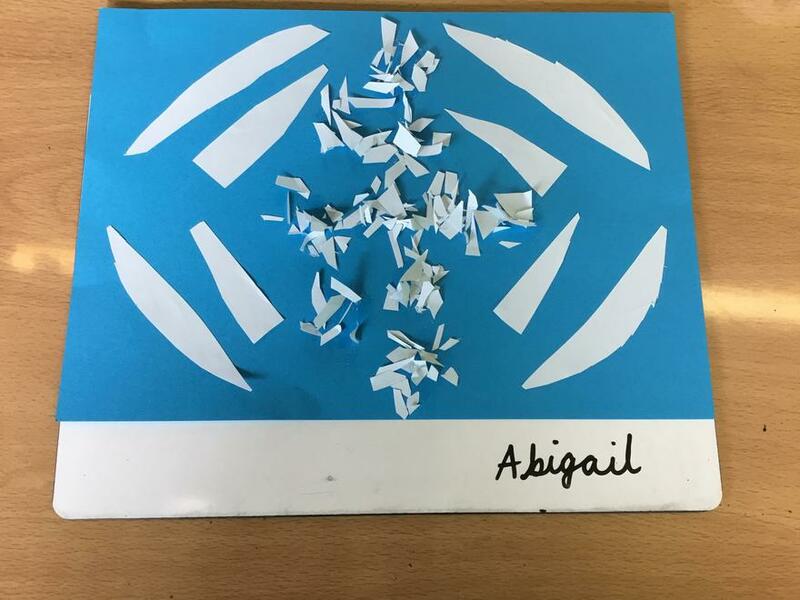 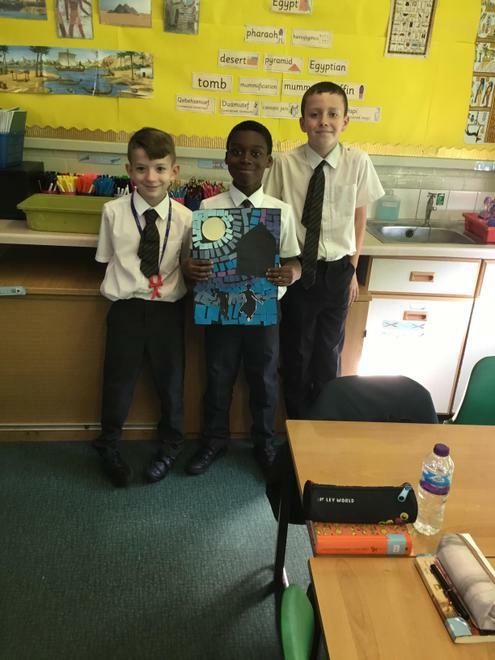 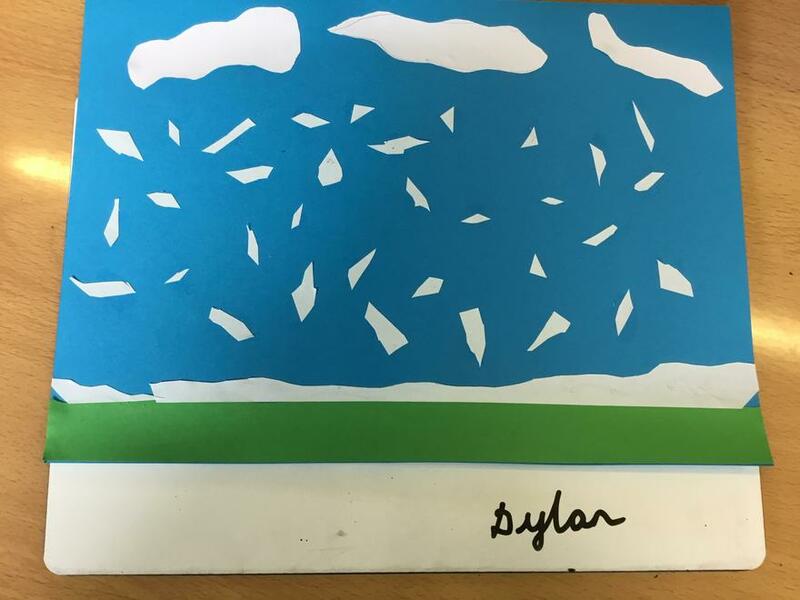 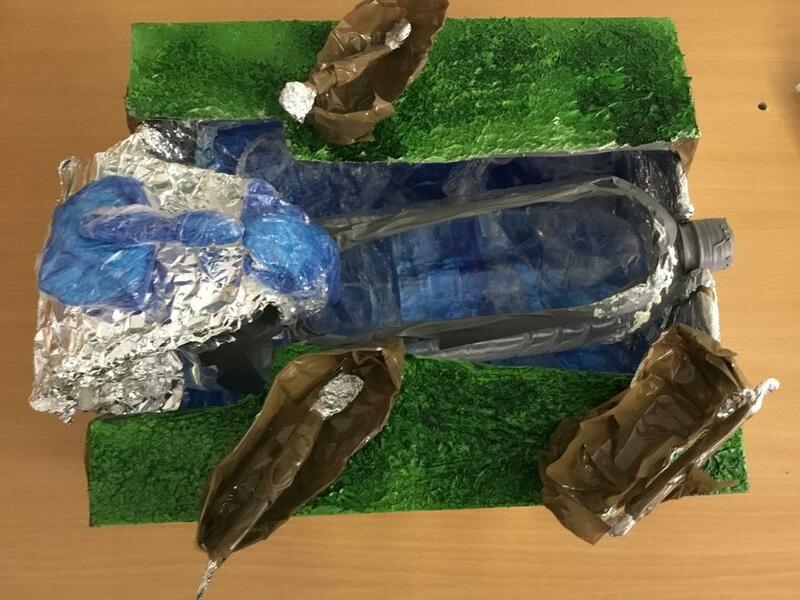 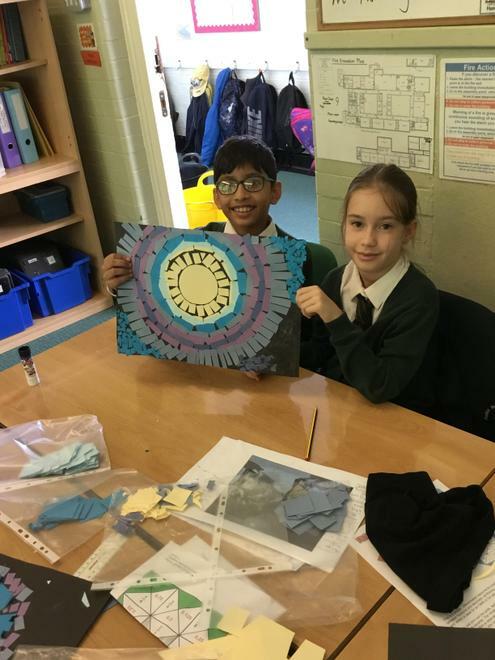 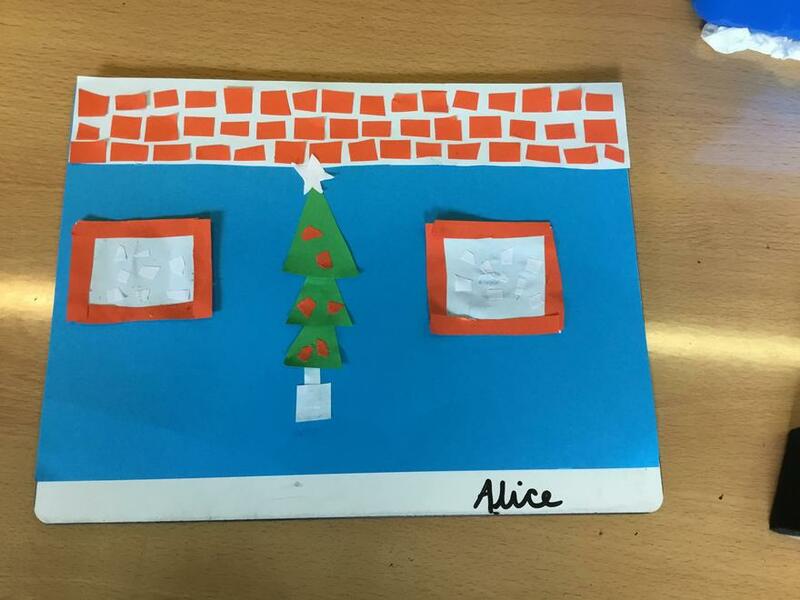 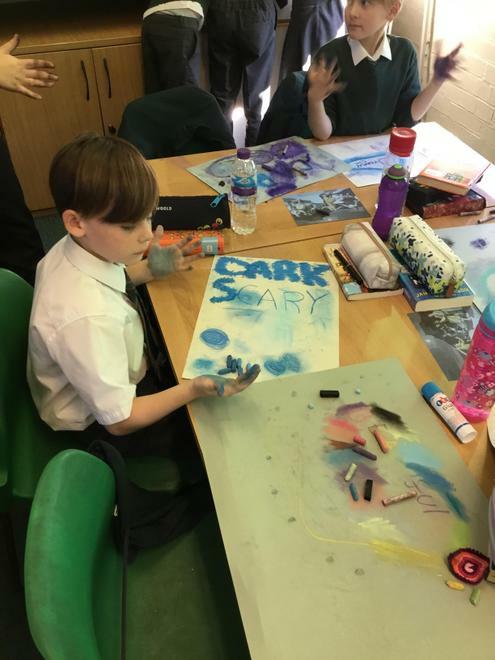 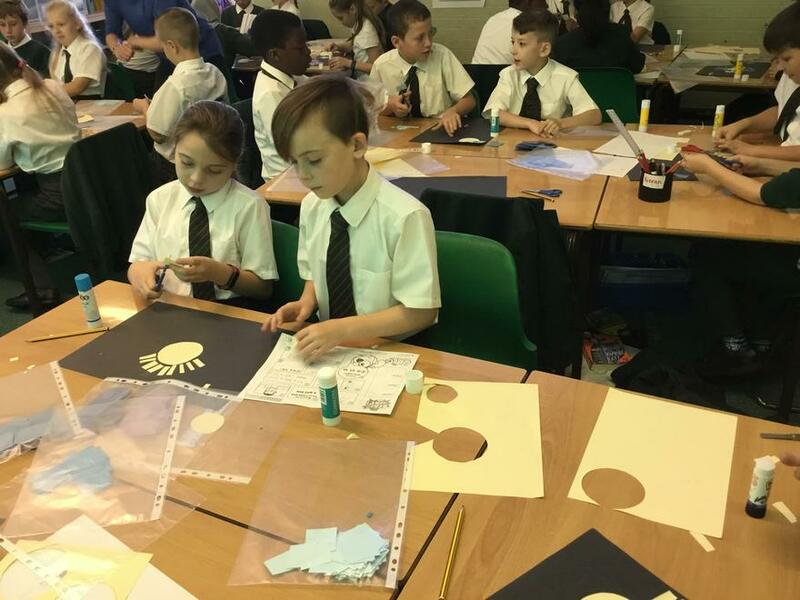 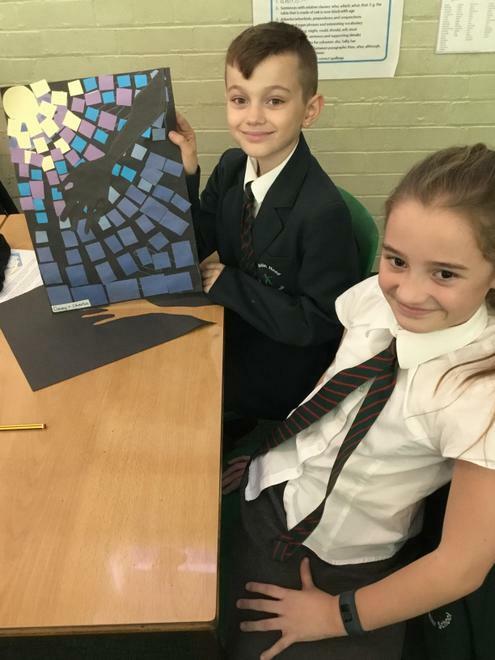 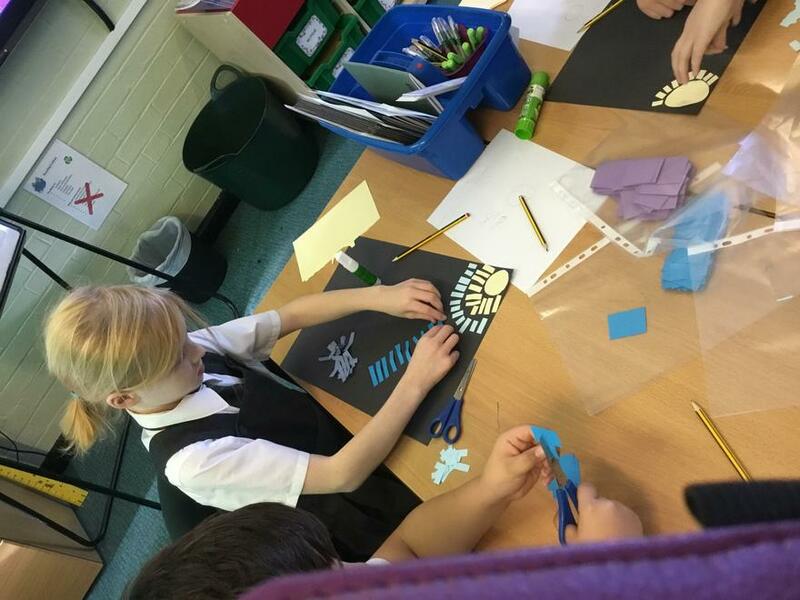 The children created mosaics focusing on the blue tones of the moonlight, adding shadows over the top. 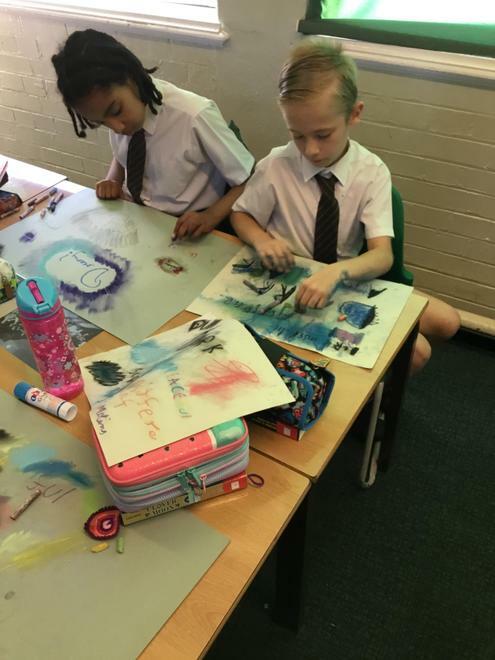 The results were amazing and the children enjoyed studying the picture and sharing their own interpretations about what was happening. 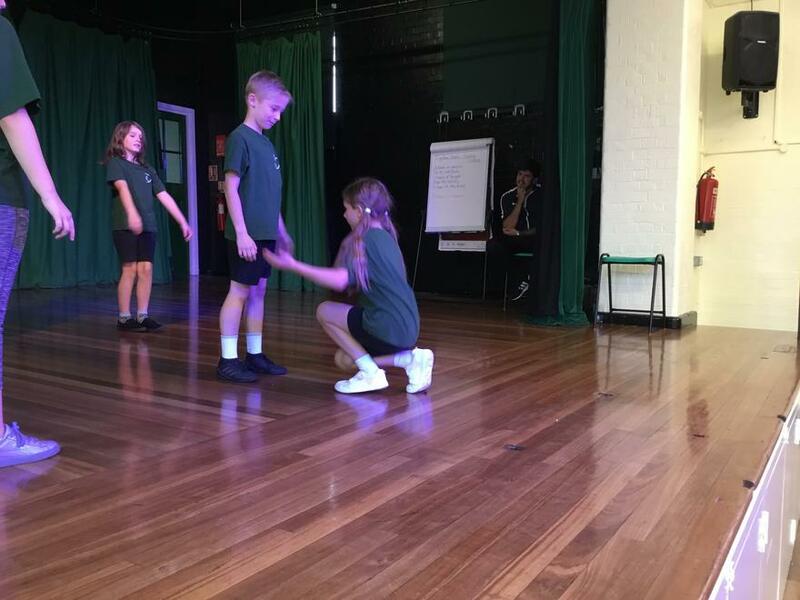 This half term in P.E, Palm class have been learning about Egyptian dance. 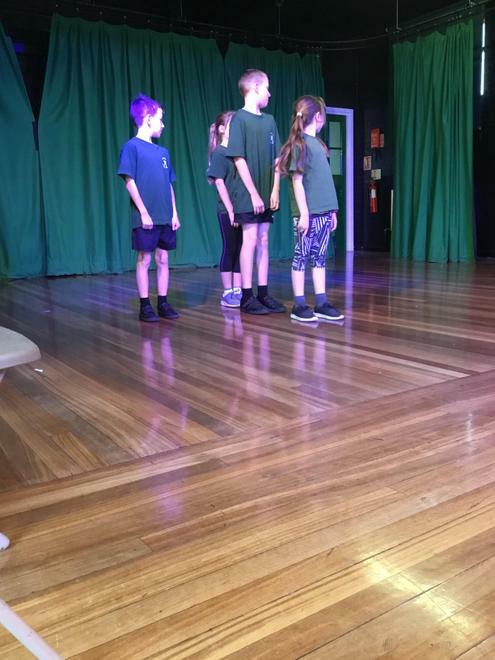 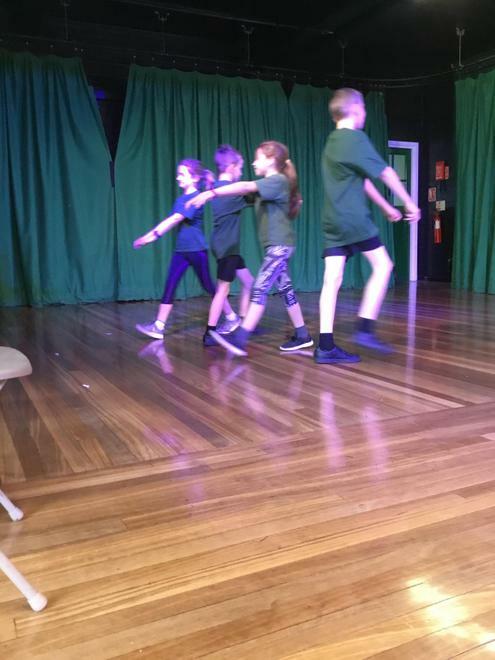 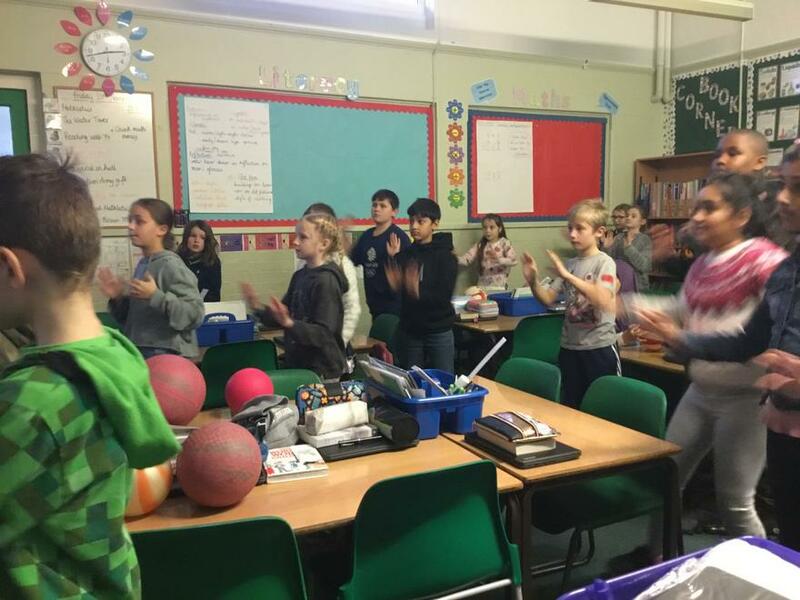 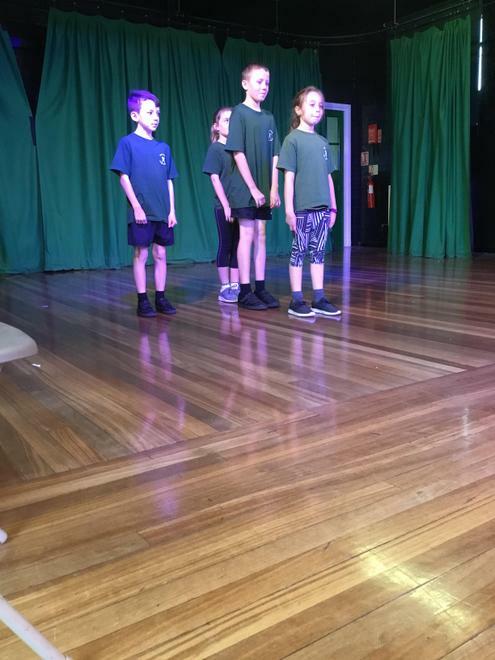 In their lessons they have listened to a piece of music and they have created a dance routine of what life was like in ancient Egypt. 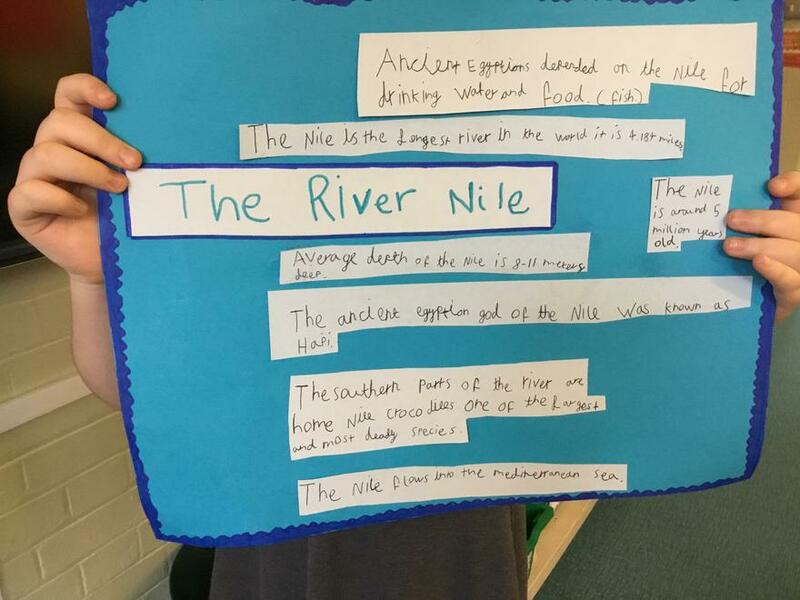 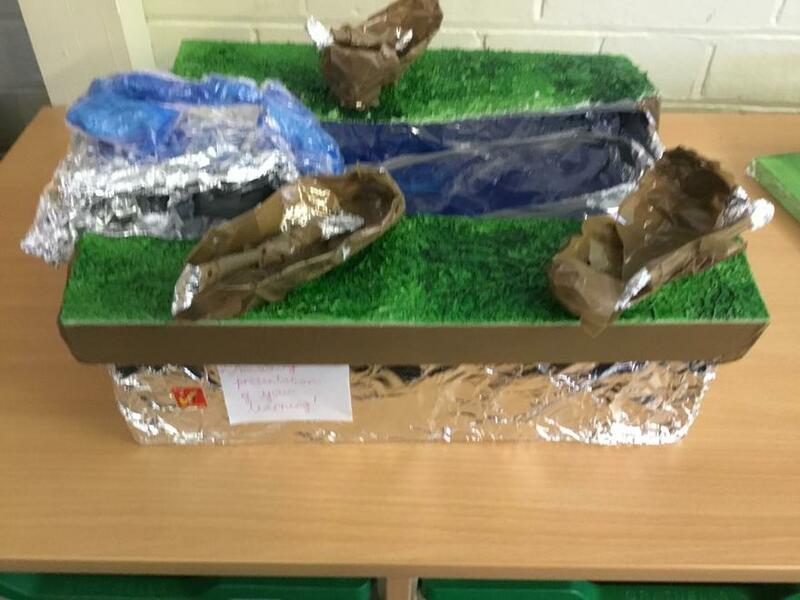 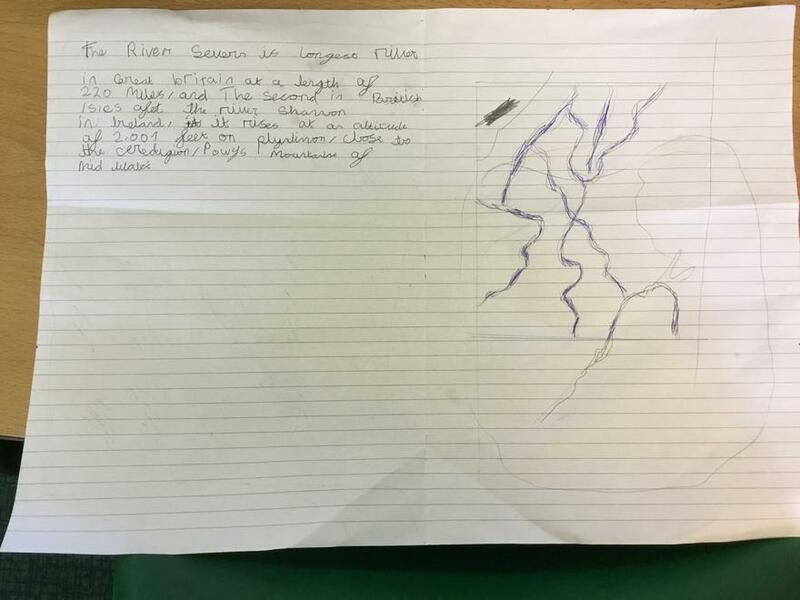 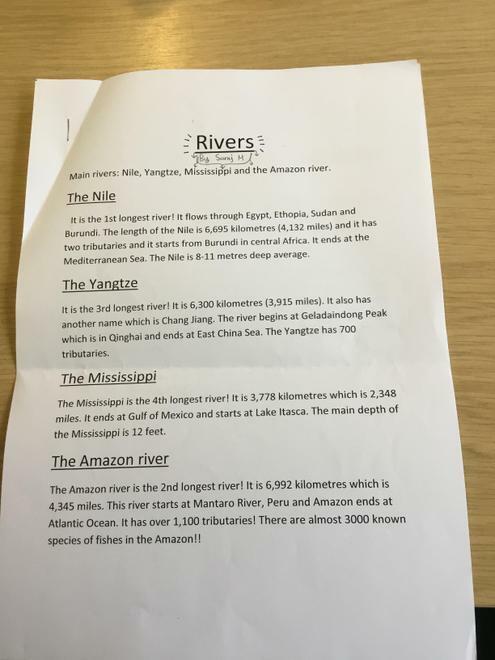 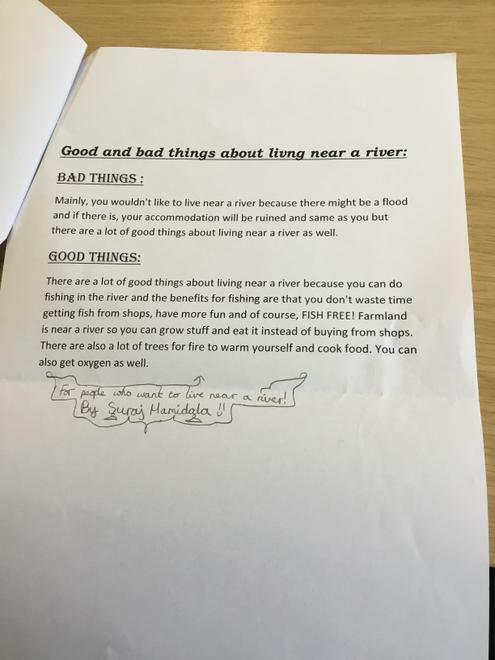 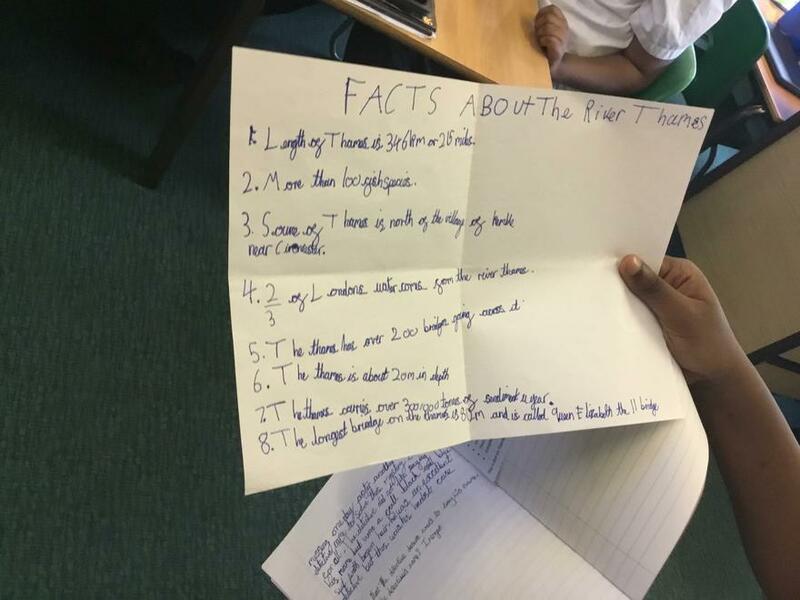 Palm have been miming how the slaves were building pyramids, working in the hot conditions and living by the river. 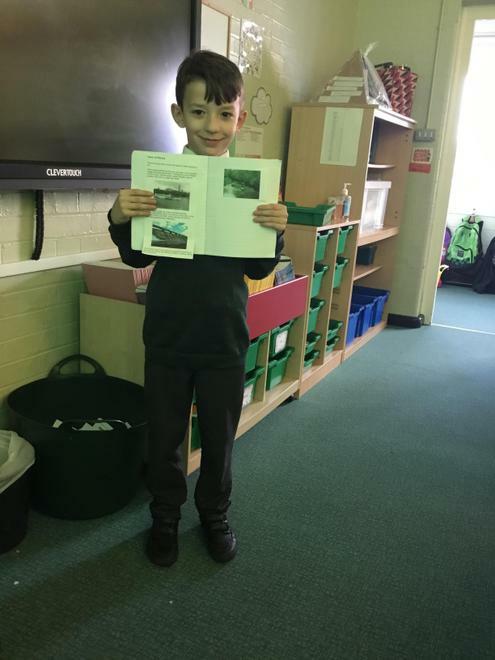 In their outdoor P.E lessons, Palm have been doing some orienteering and have learnt new skills such as compass reading. 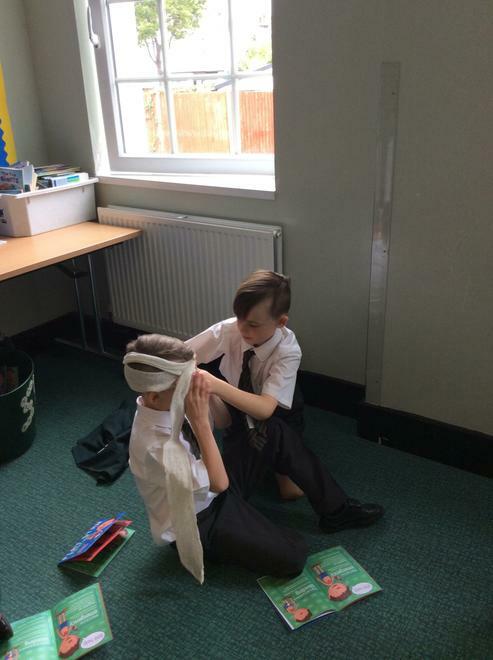 They also took part in an activity where they were blindfolded and had to trust their partner to guide them around an obstacle course. 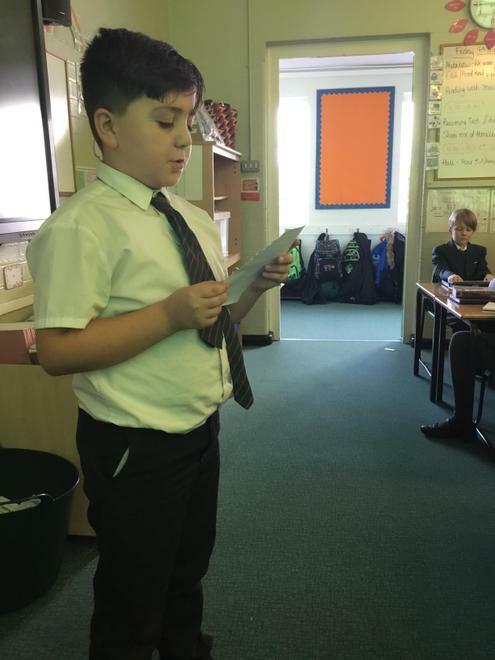 Well done to Palm for a fantastic start to these topics! 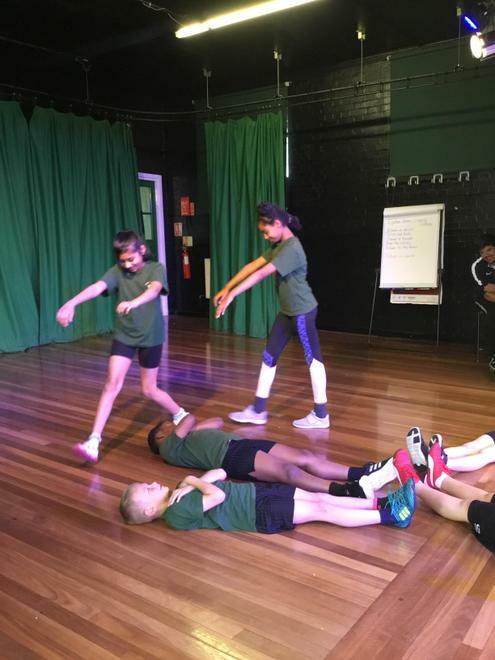 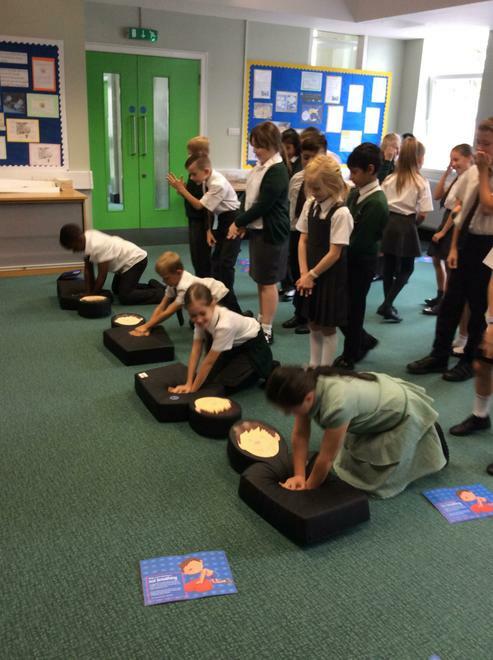 Our Indoor PE lessons this term have seen the children develop routines showing all the different aspects of life in Ancient Egypt. 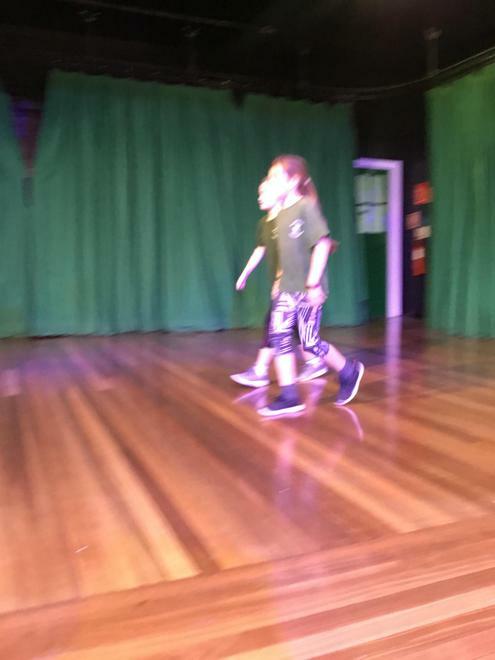 They focused on using twists and turns, changing height and direction as well as completing parts of their routines in cannon. 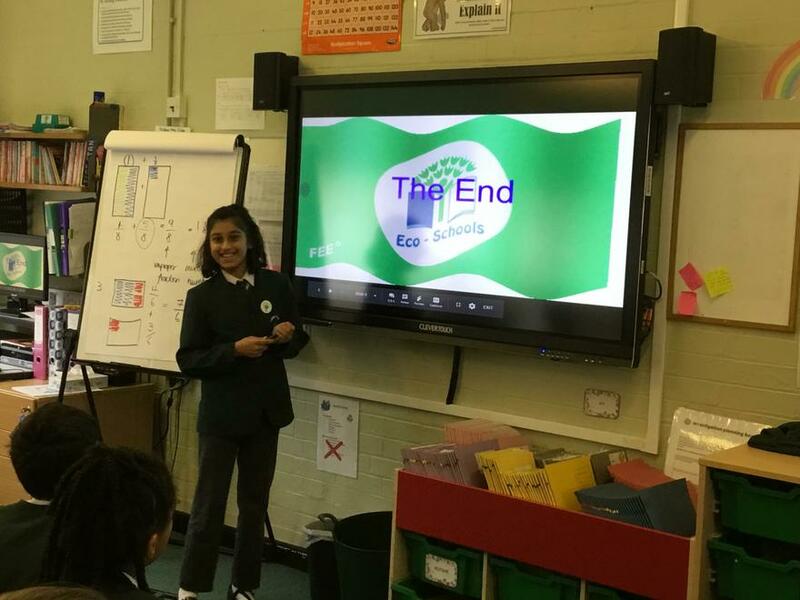 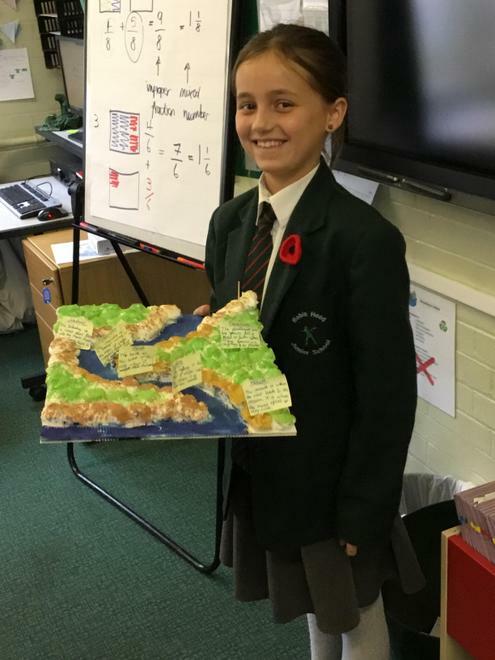 The results were fantastic - videos of all the groups can be found on the children's google classroom and are definitely worth watching! 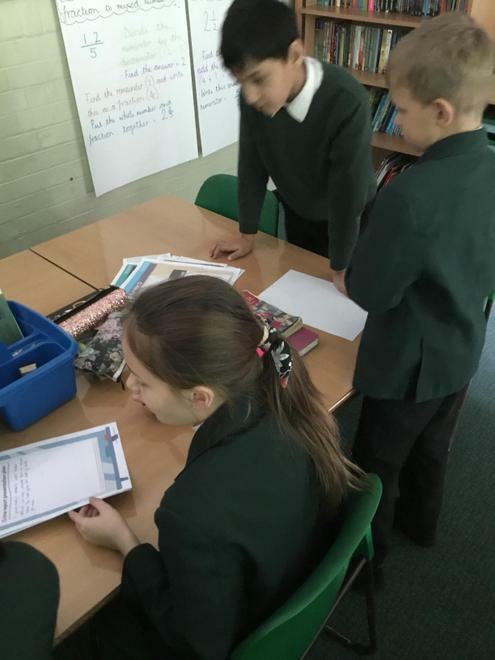 To celebrate European Day of Languages, Robin Hood Junior School took part by having a Spanish Day. 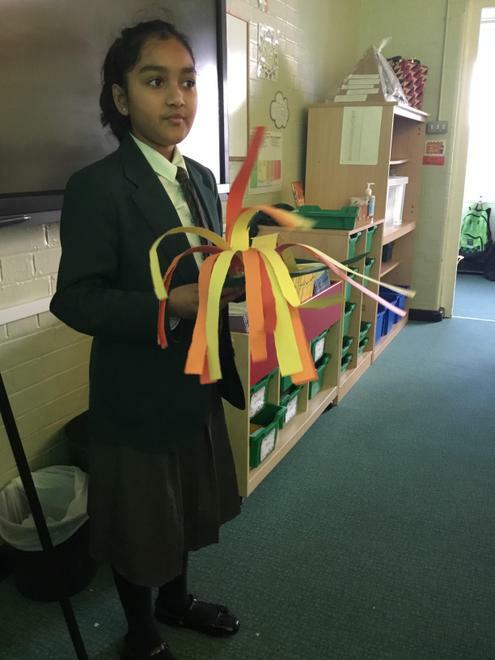 The children were able to wear the colours of the Spanish flag (red, yellow and black) this also included wearing traditional Spanish clothing or the football kit of any Spanish team. 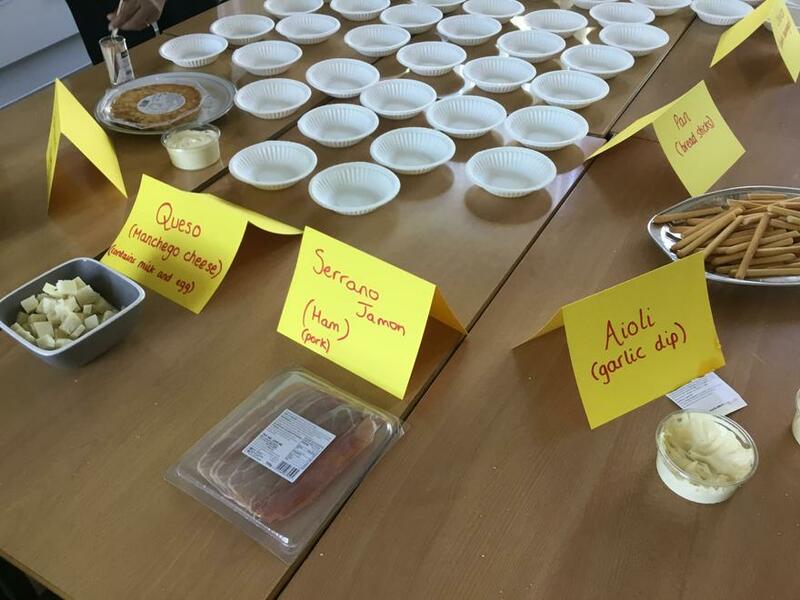 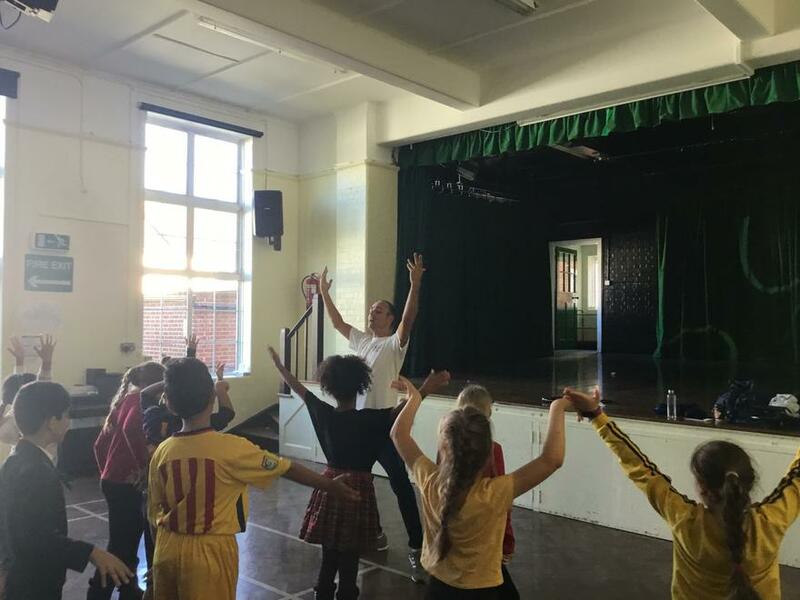 In addition to this, each child had the opportunity to learn flamenco dancing and spent time tasting traditional Spanish dishes such as aioli (garlic dip) and patatas (potatoes seasoned with paprika). 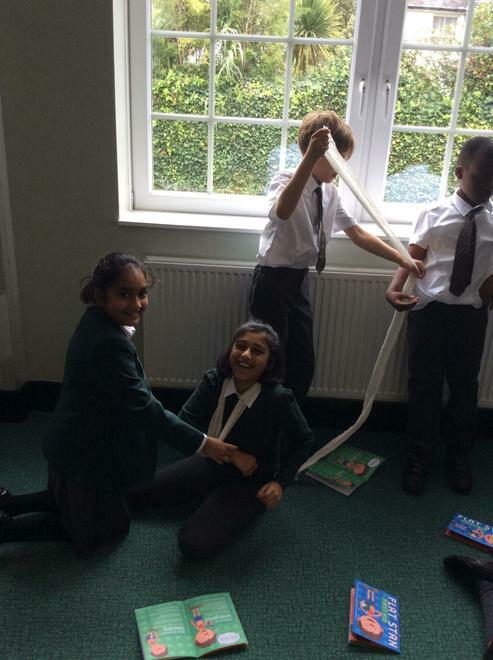 Some liked the food more than others, but they all had an enjoyable day. 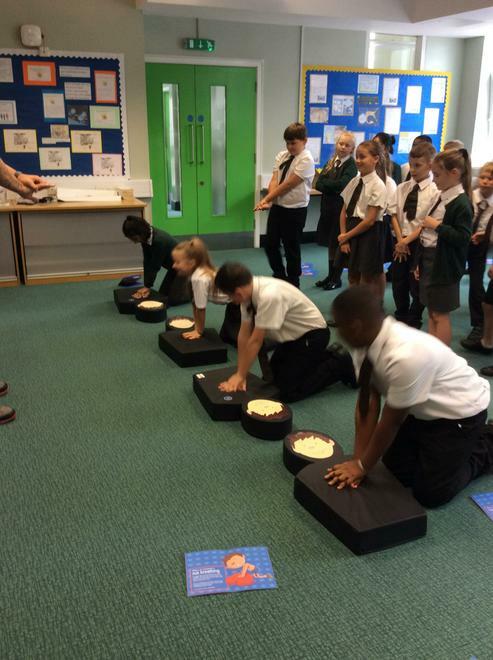 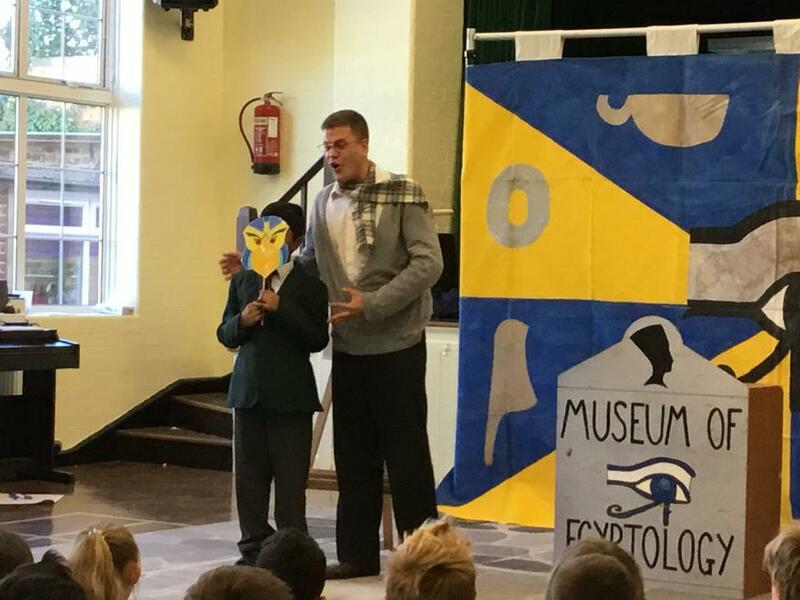 The children thoroughly enjoyed watching and taking part in an Egyptian workshop. 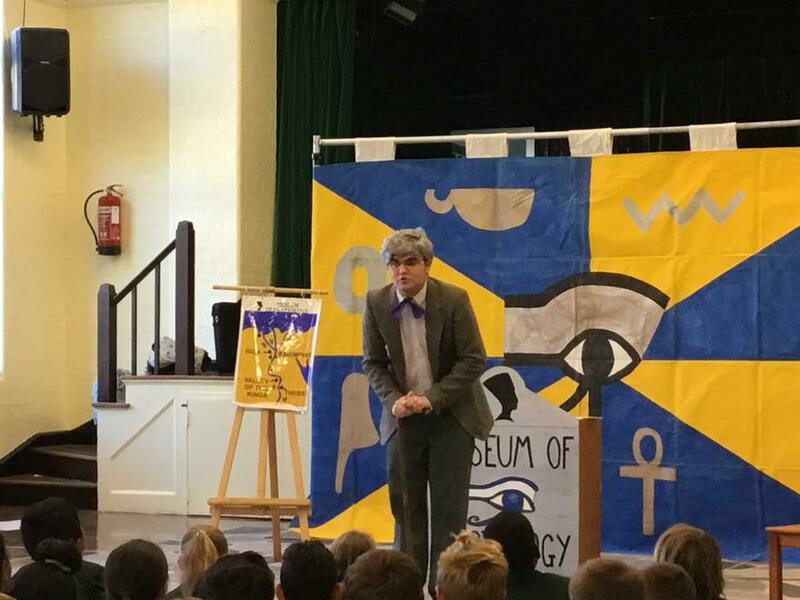 They were taught about Ancient Egyptians and their lifestyle. 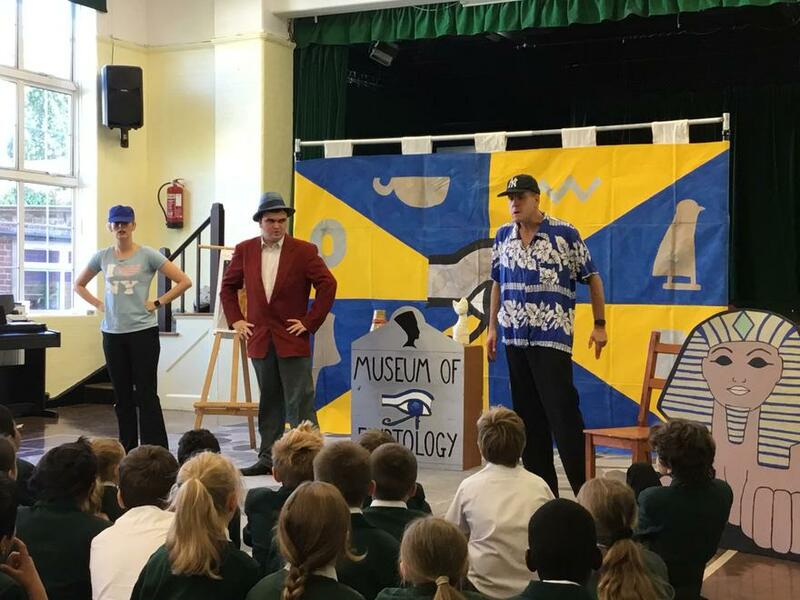 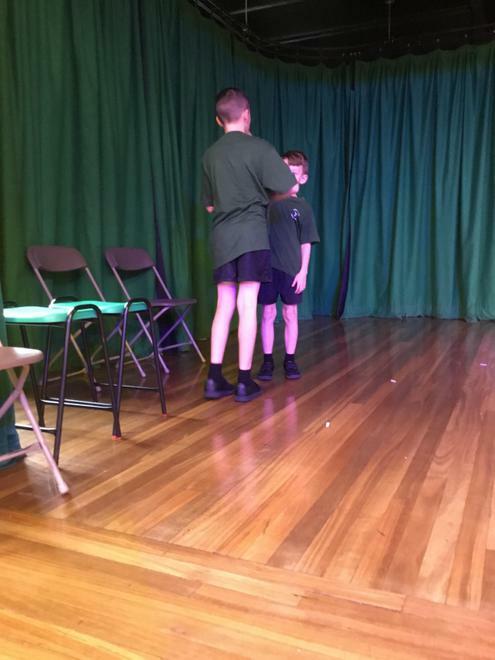 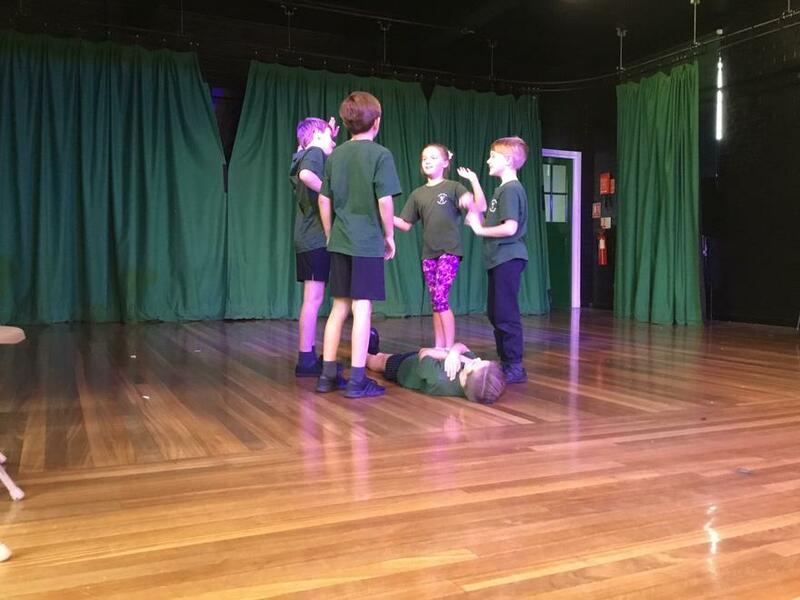 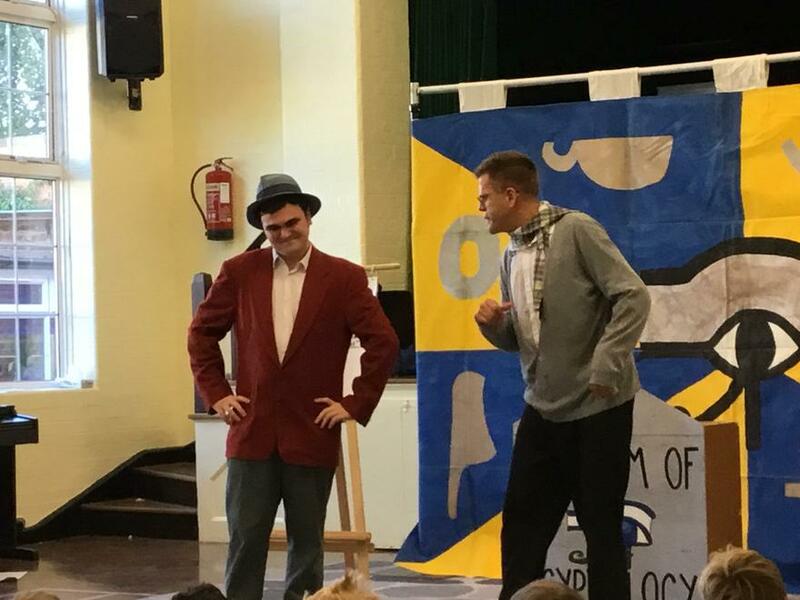 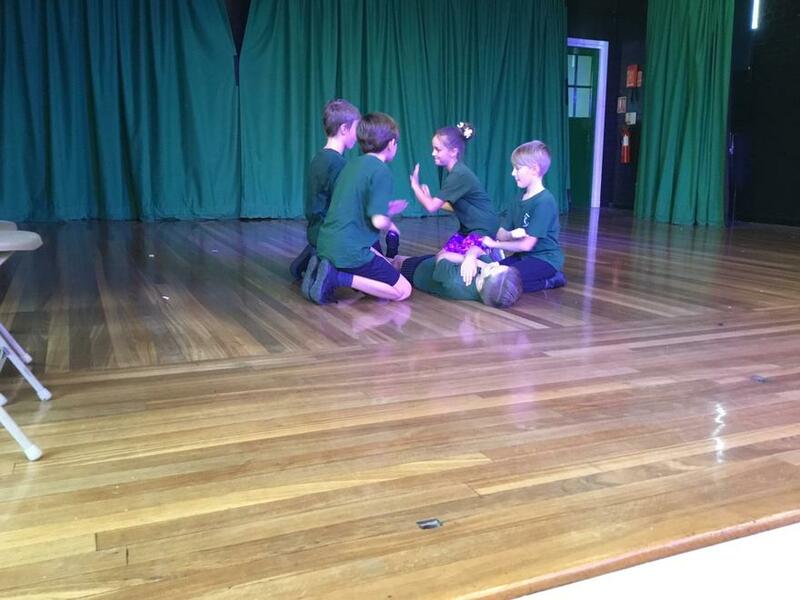 The workshop was highly interactive and the some members of the year group were asked to take part during the play. 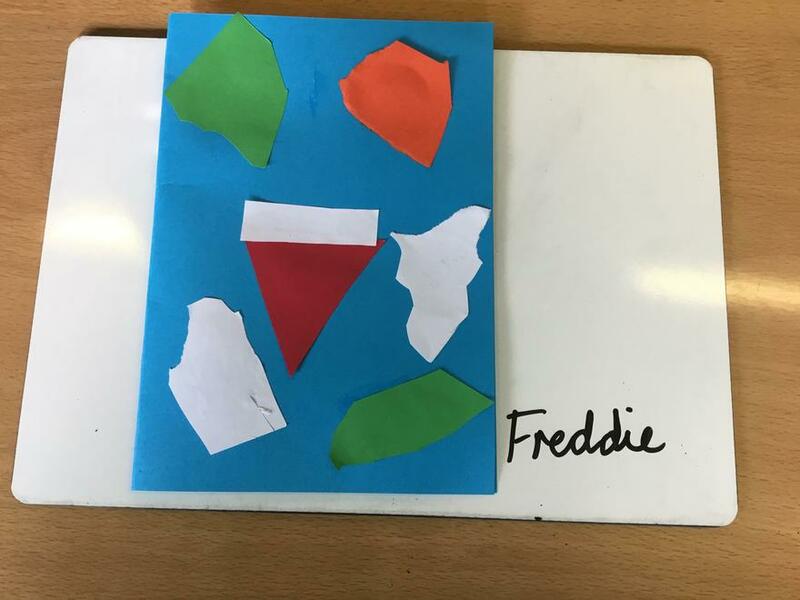 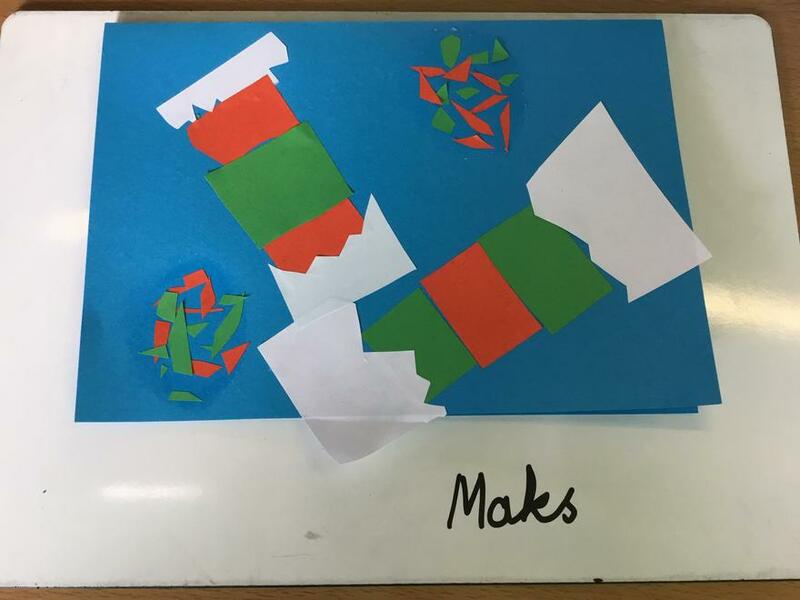 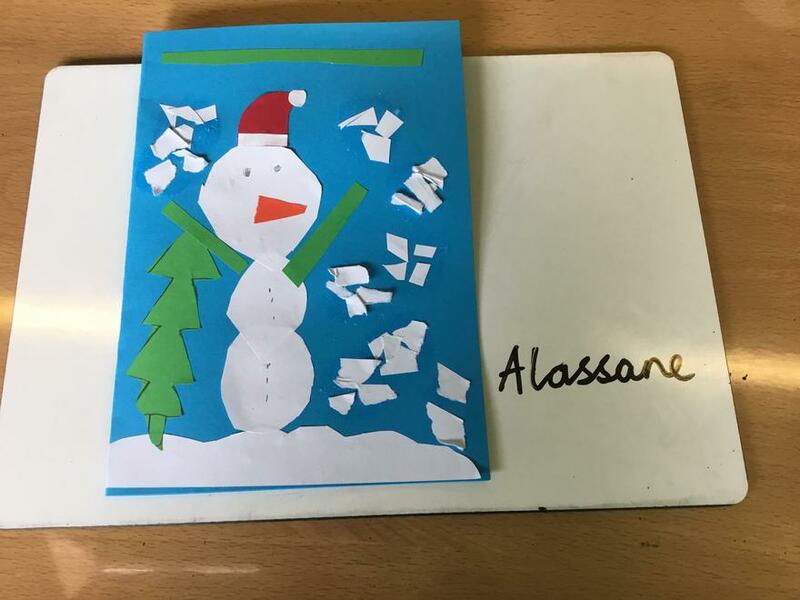 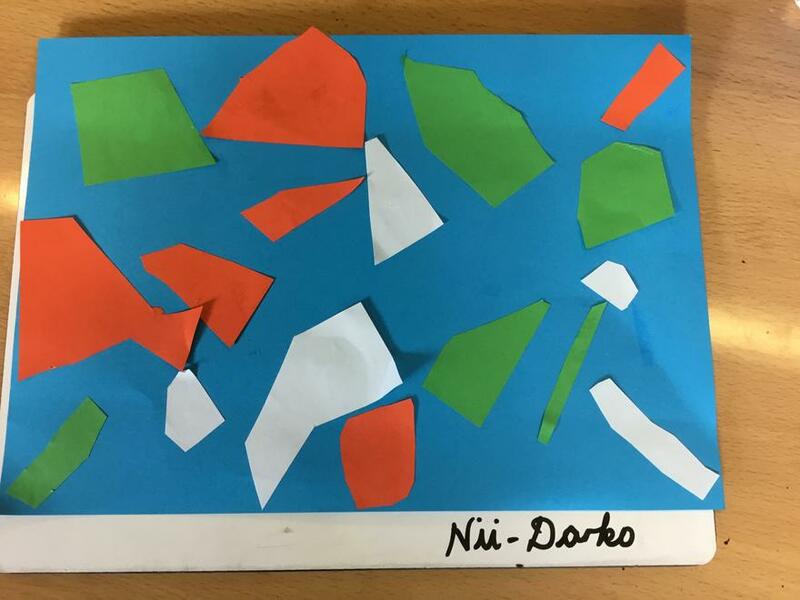 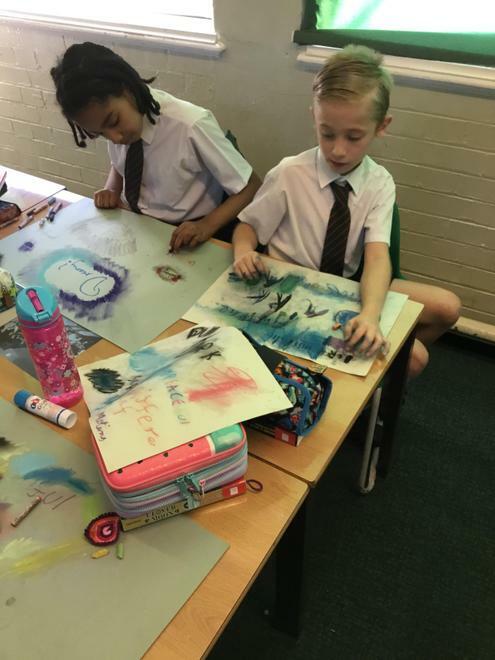 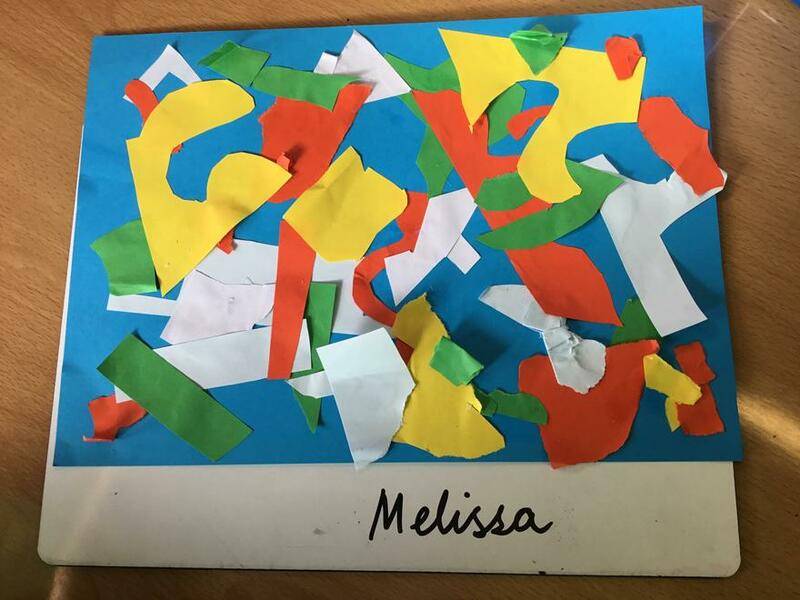 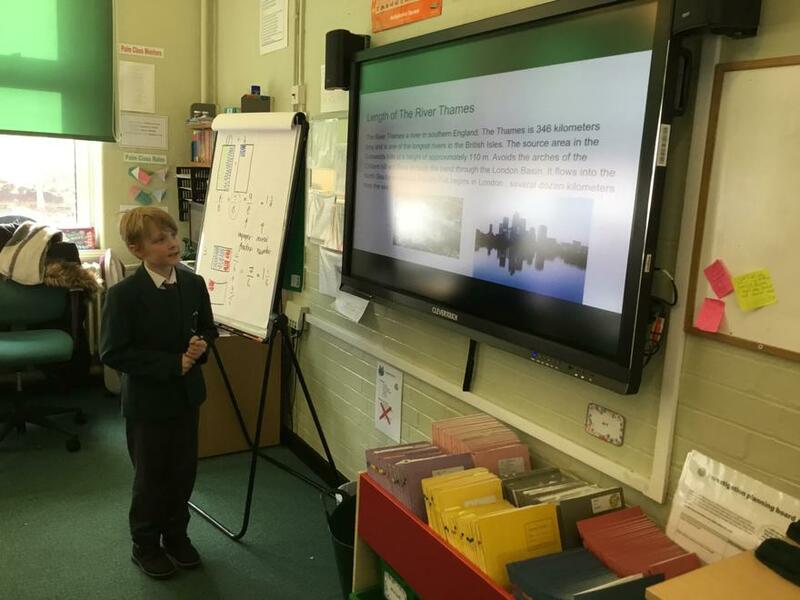 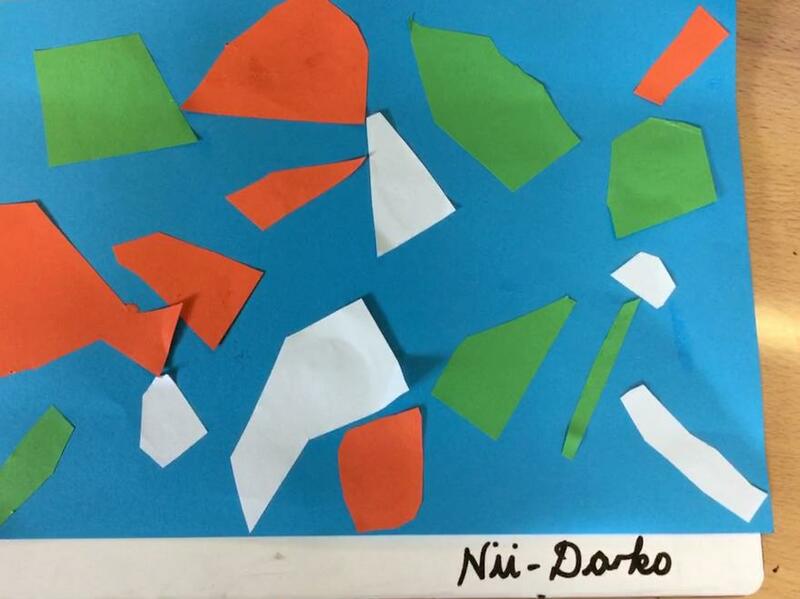 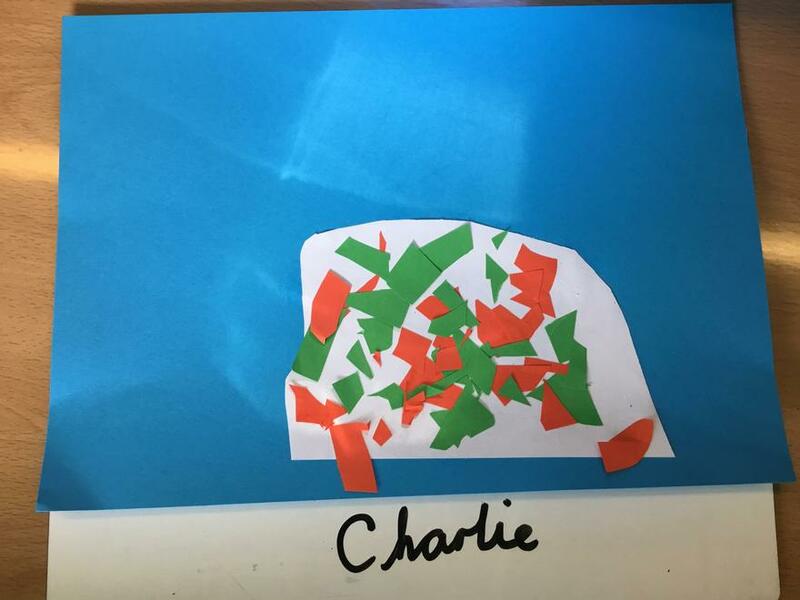 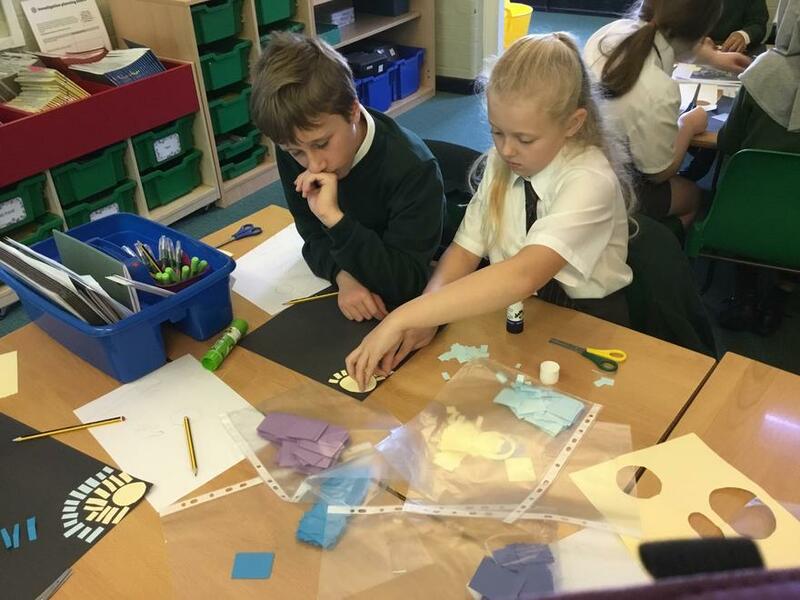 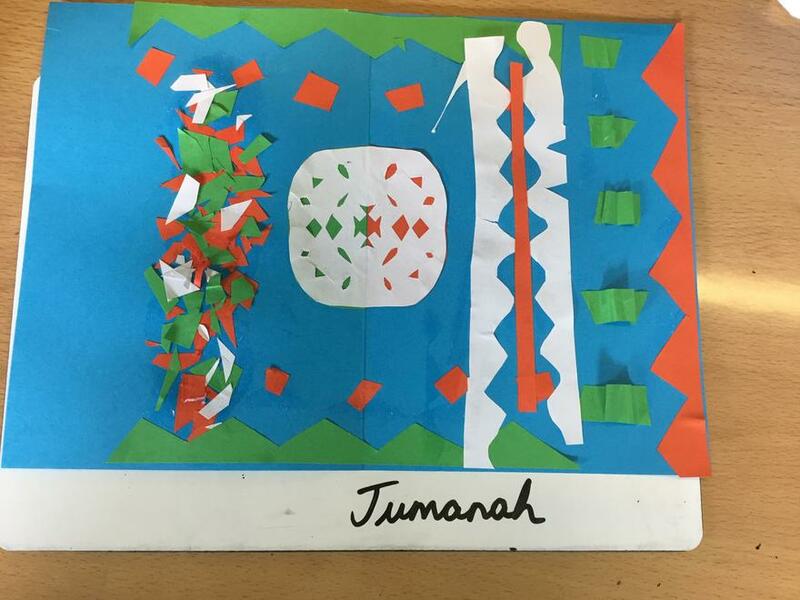 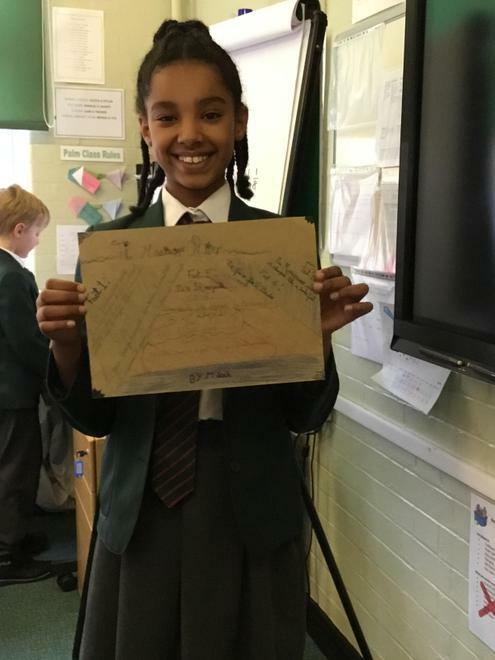 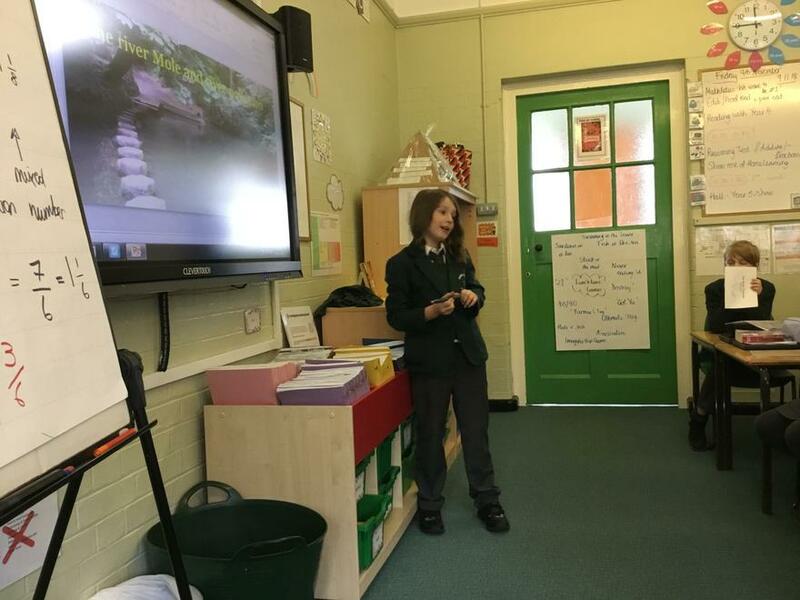 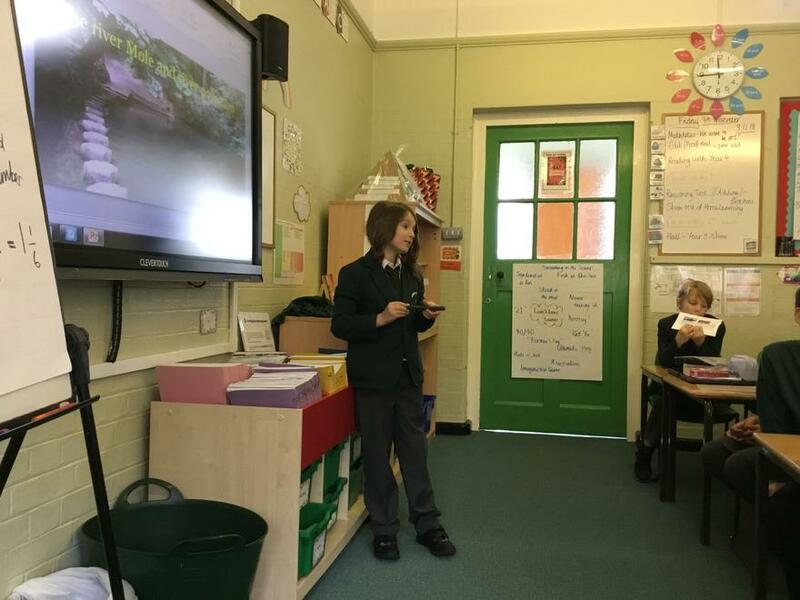 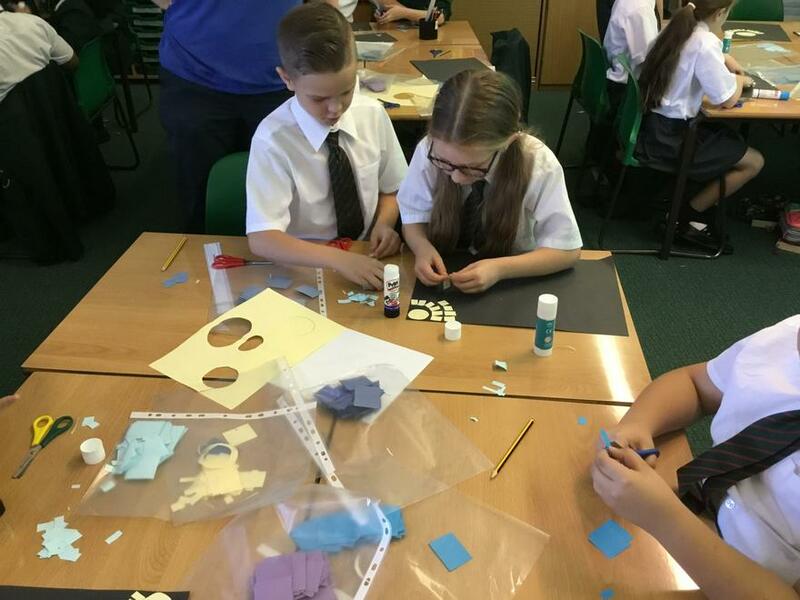 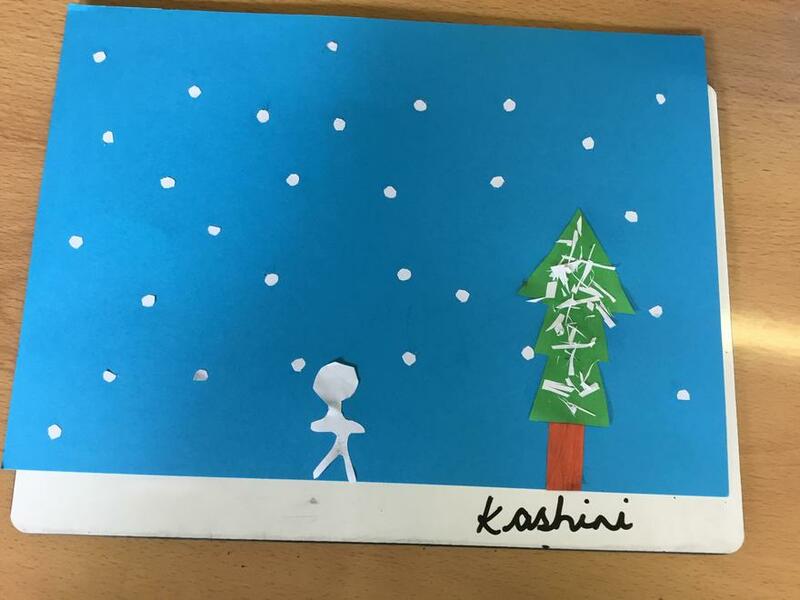 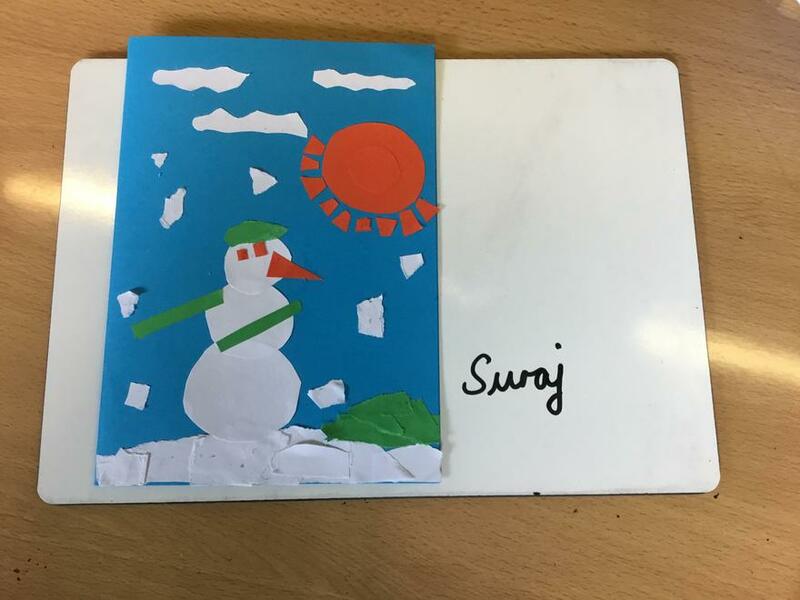 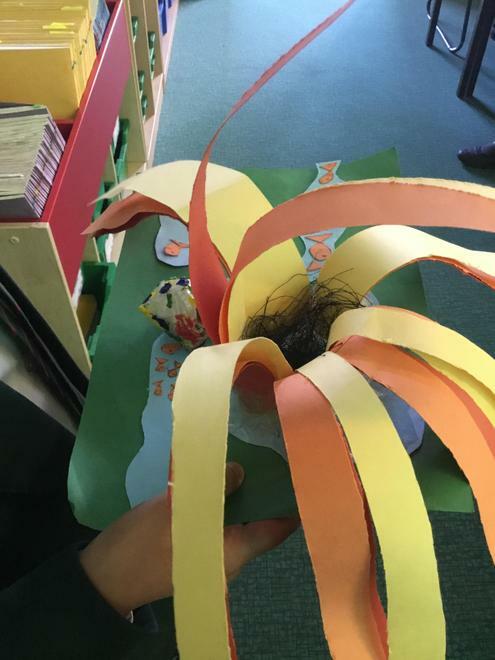 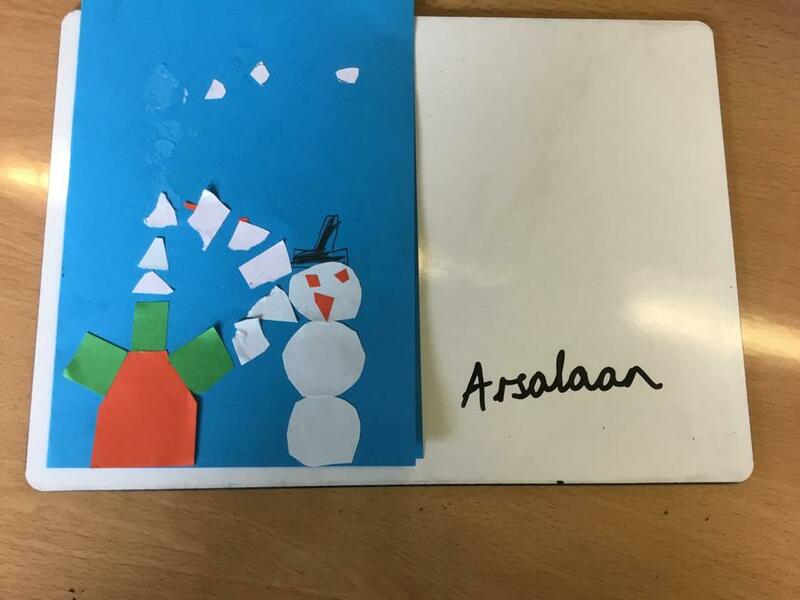 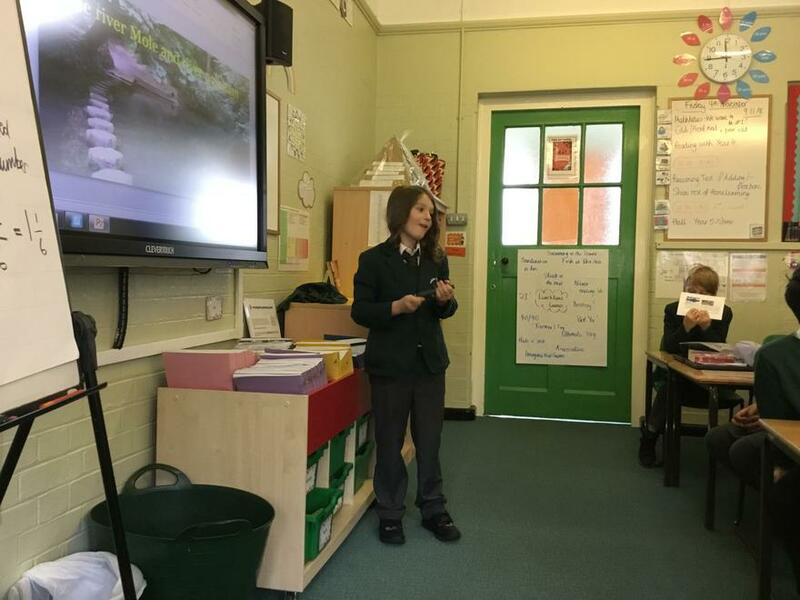 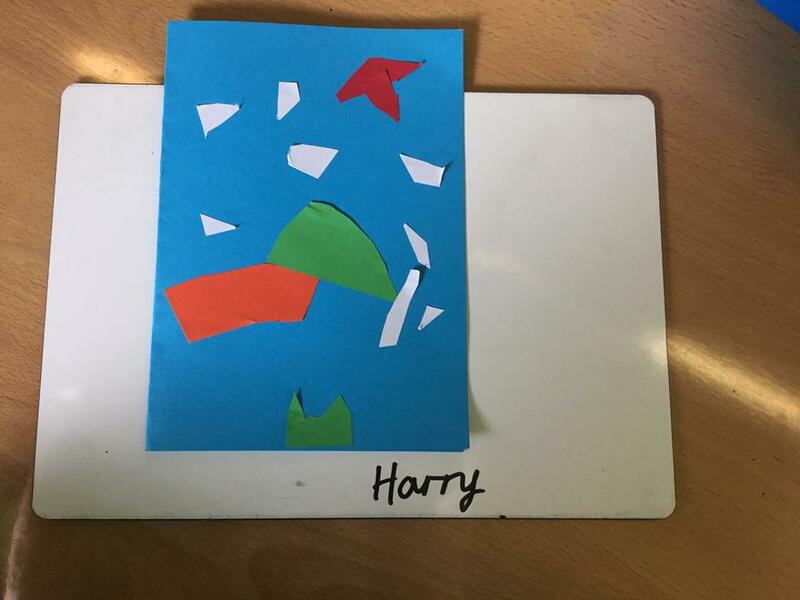 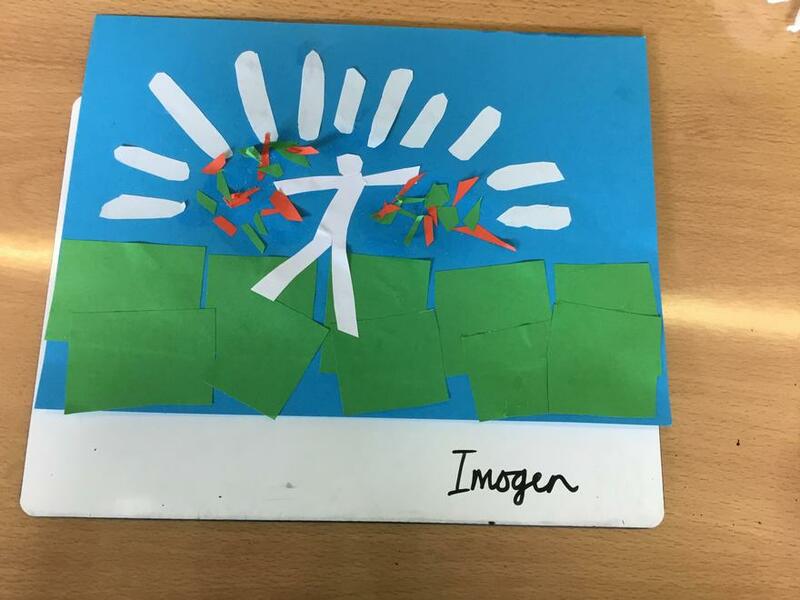 During the workshop the children were asked to make various different freeze frames and had to use their knowledge of the Ancient Egyptians to include as many aspects as possible. 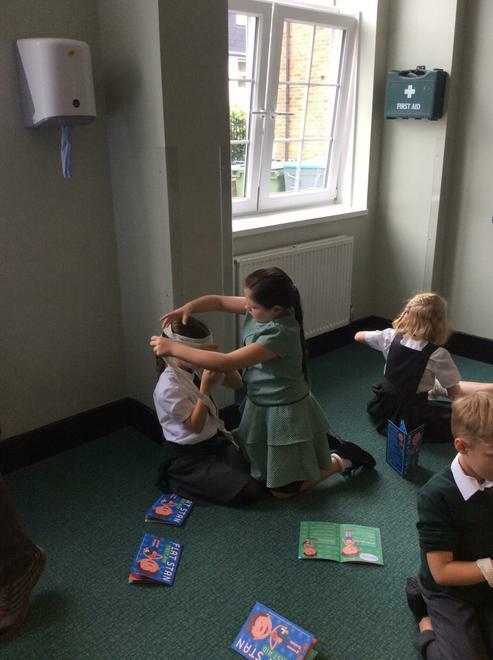 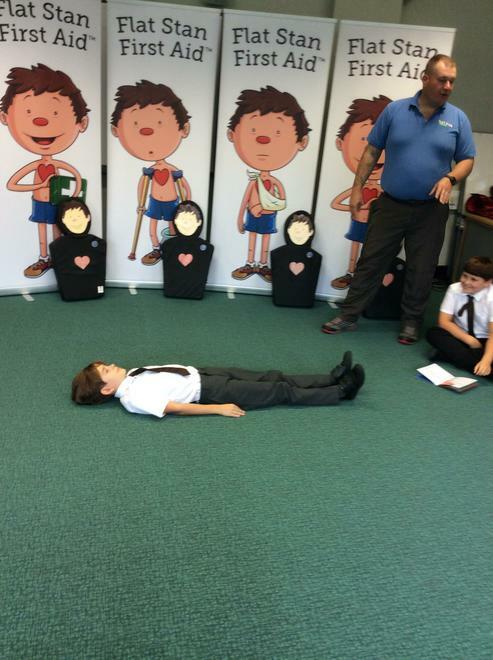 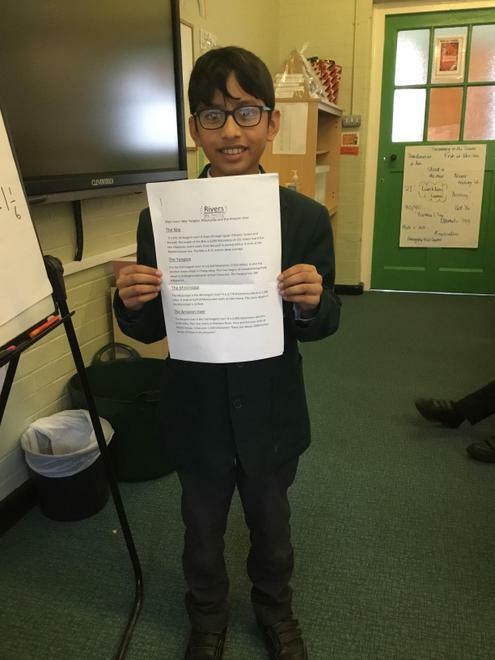 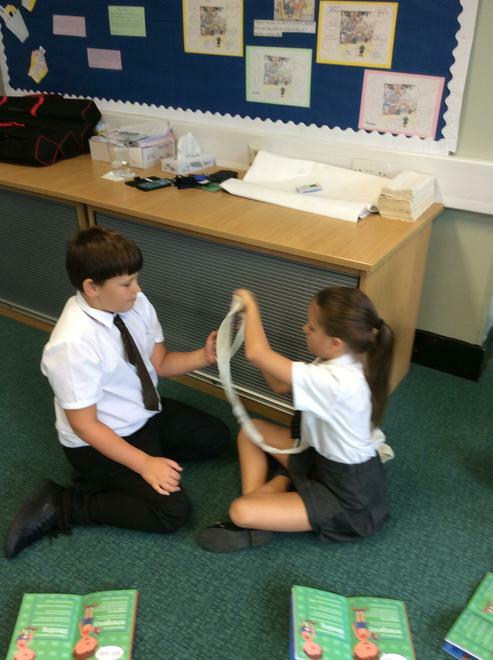 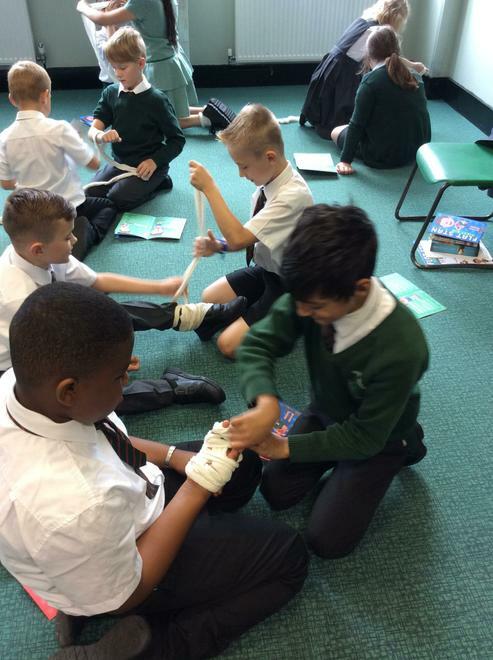 The children spent their first aid session practicing applying bandages, basic first aid skills and learning the importance of knowing what to do in an emergency. 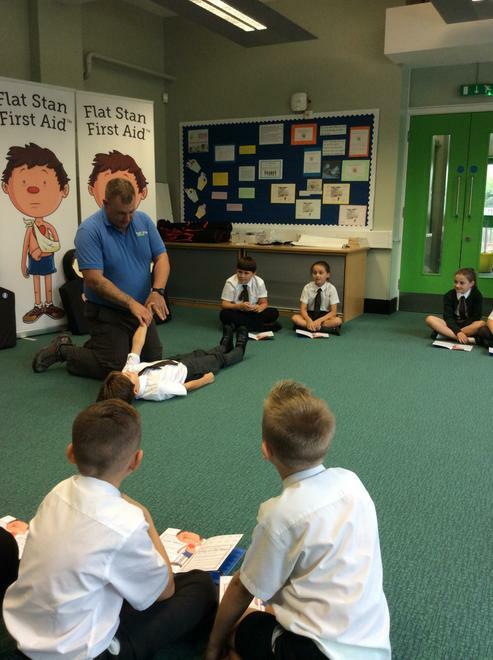 The whole session was enjoyed by all and has taught the children some valuable life skills to keep themselves safe.